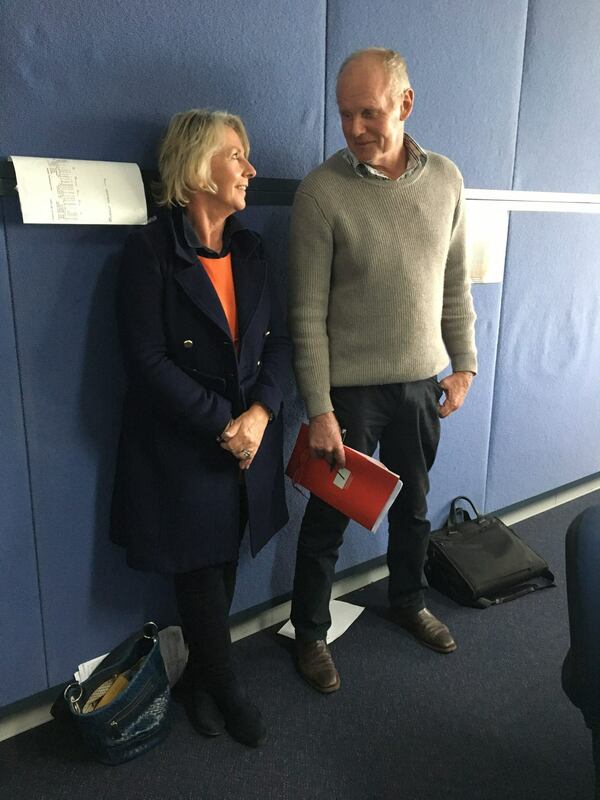 This page is not printer-friendly. 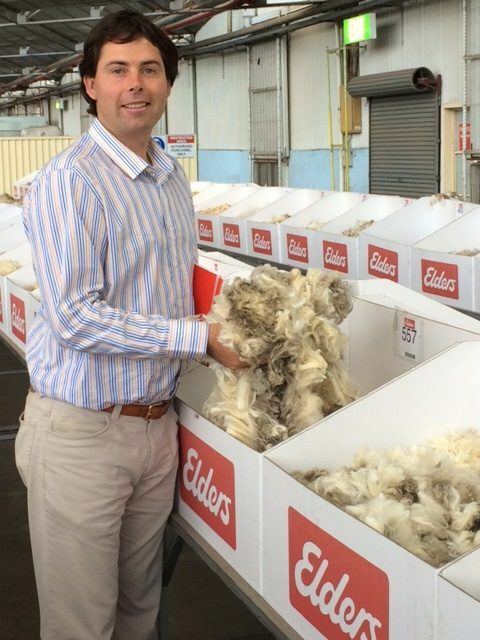 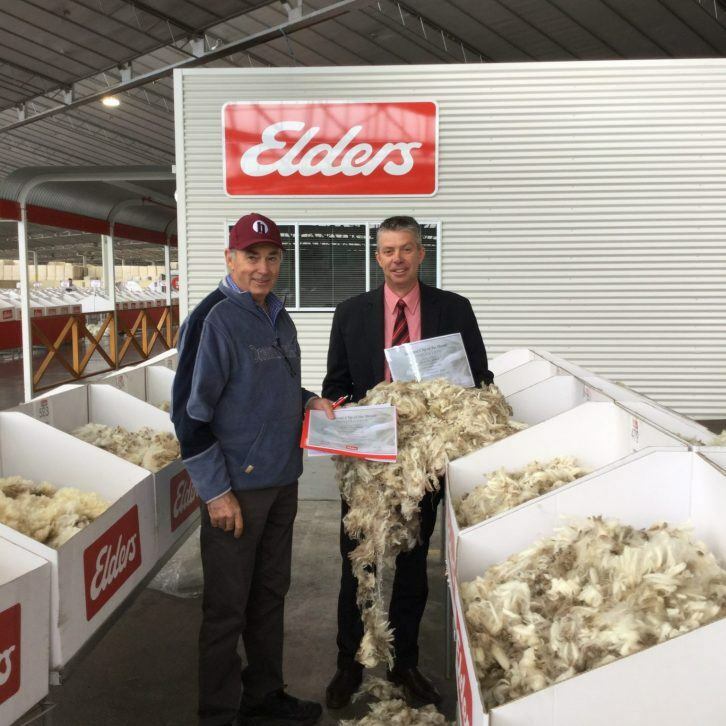 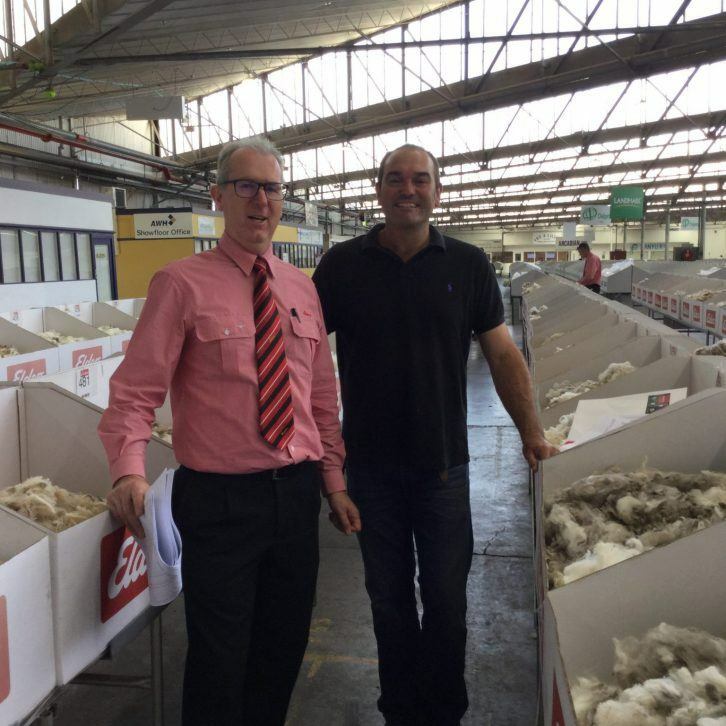 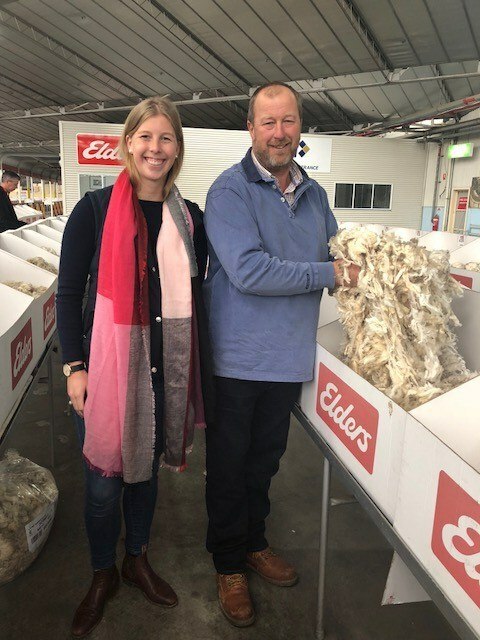 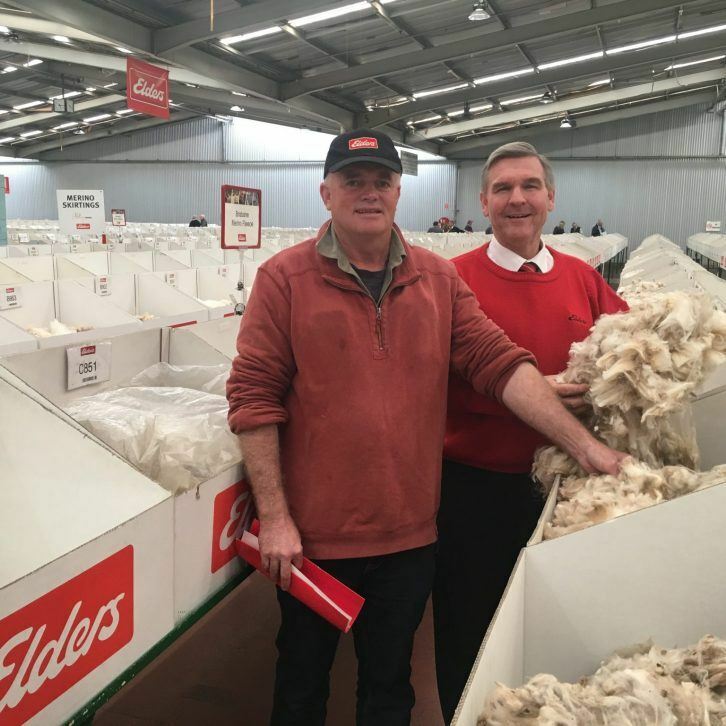 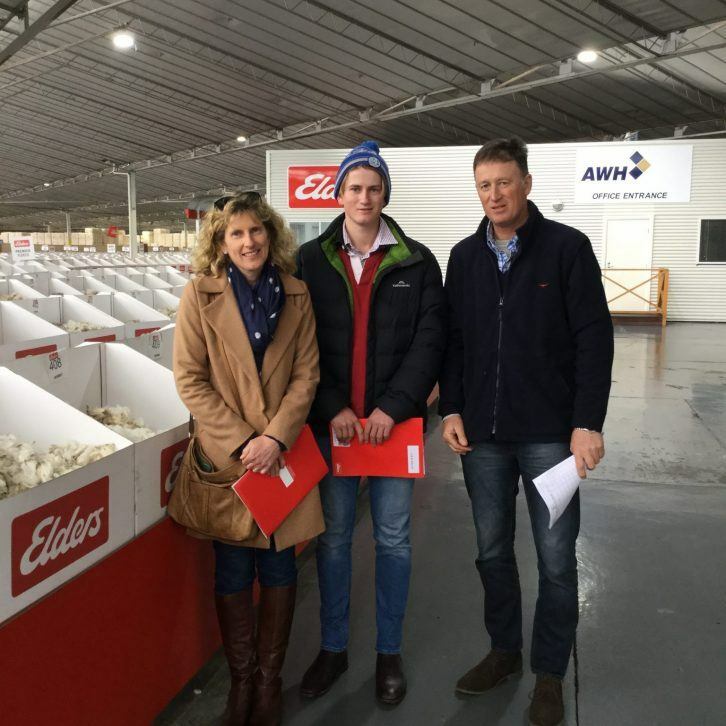 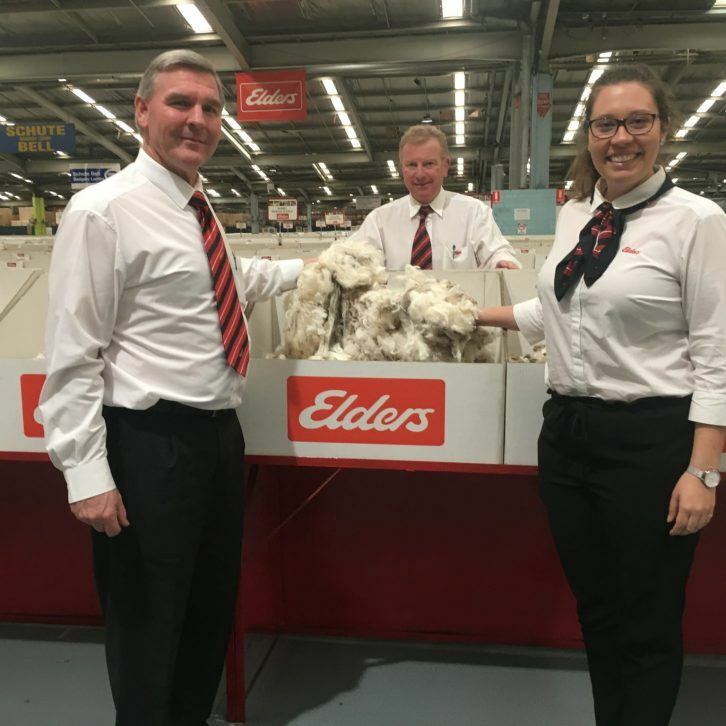 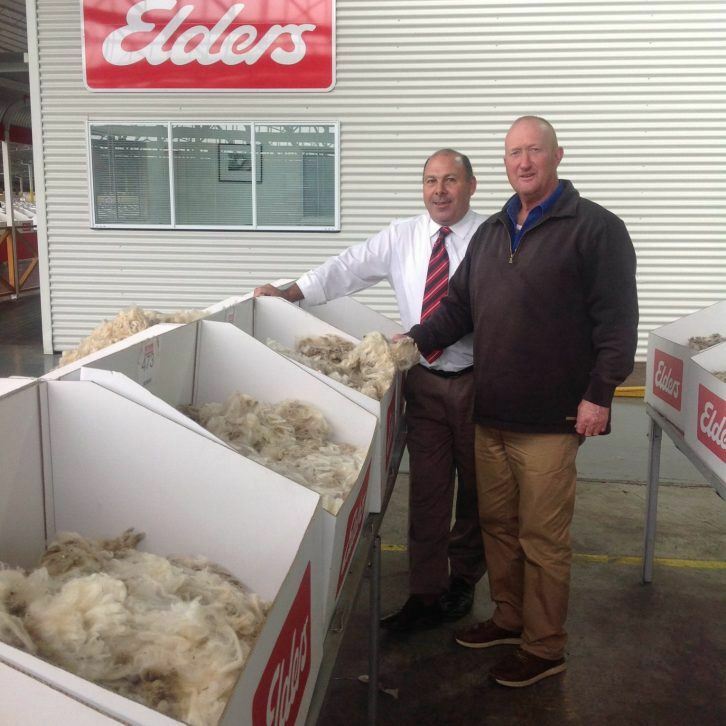 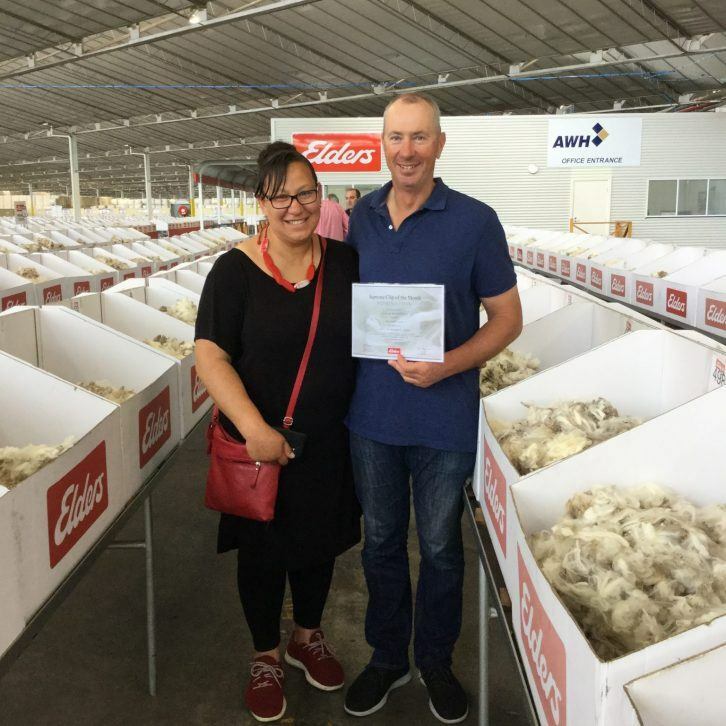 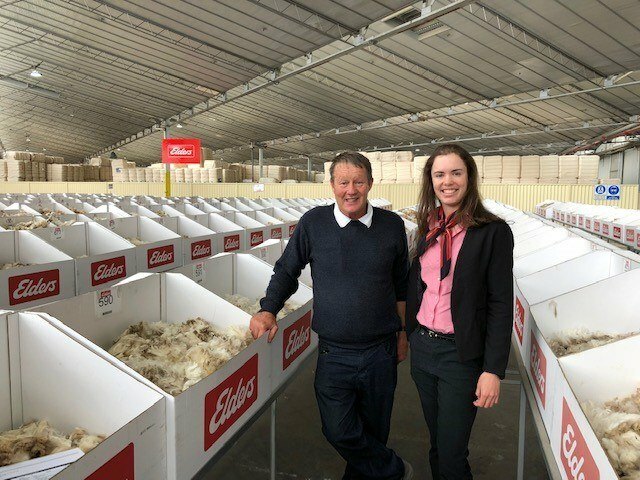 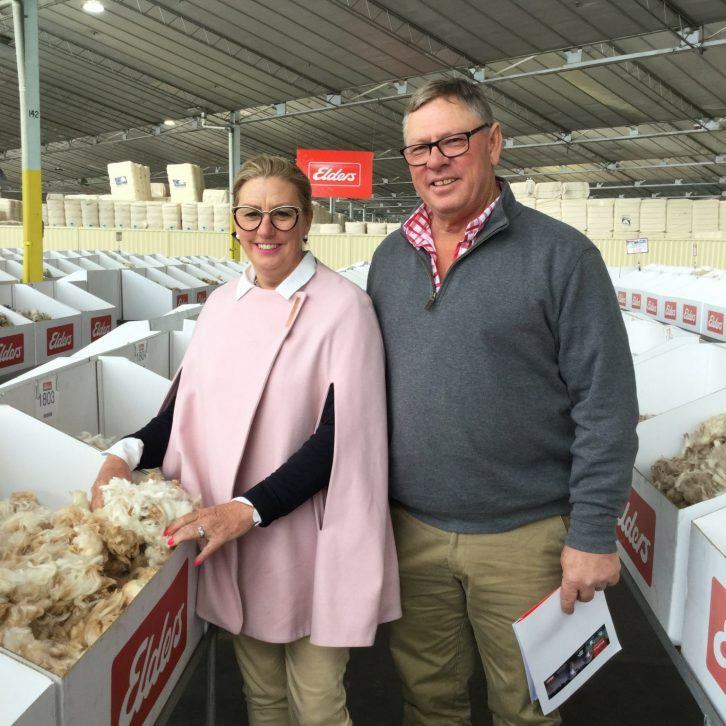 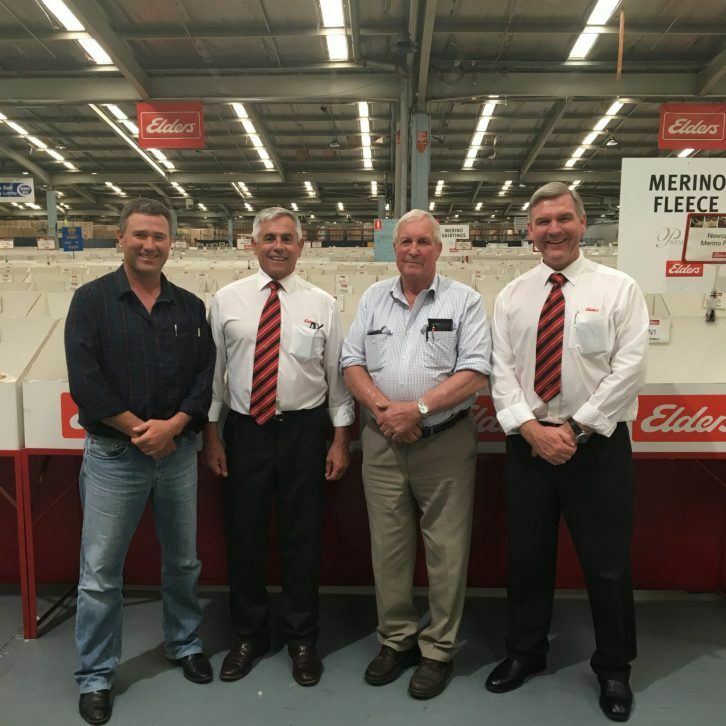 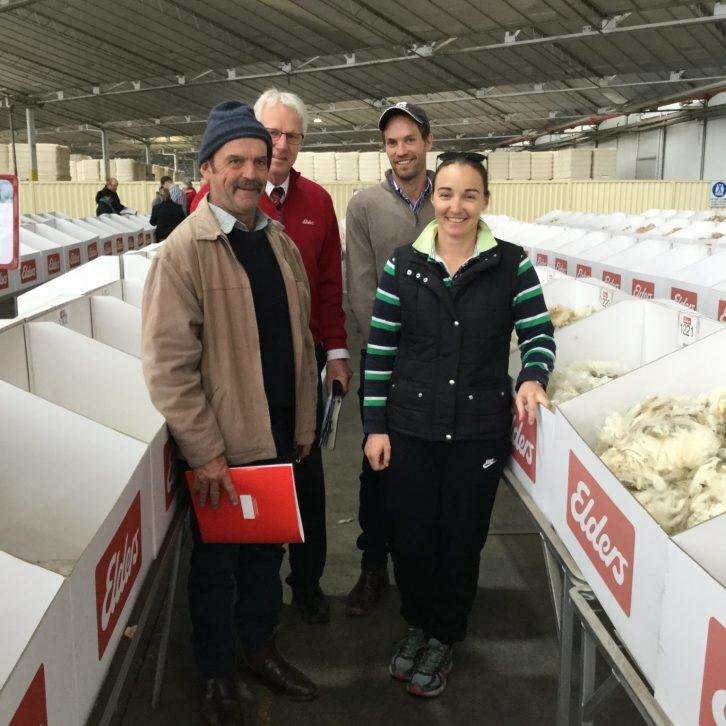 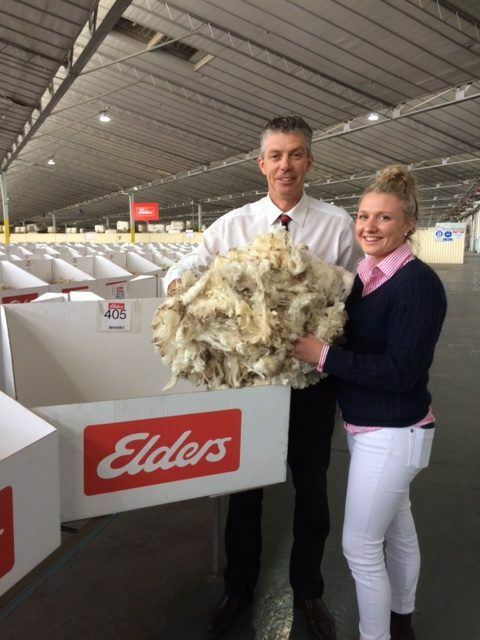 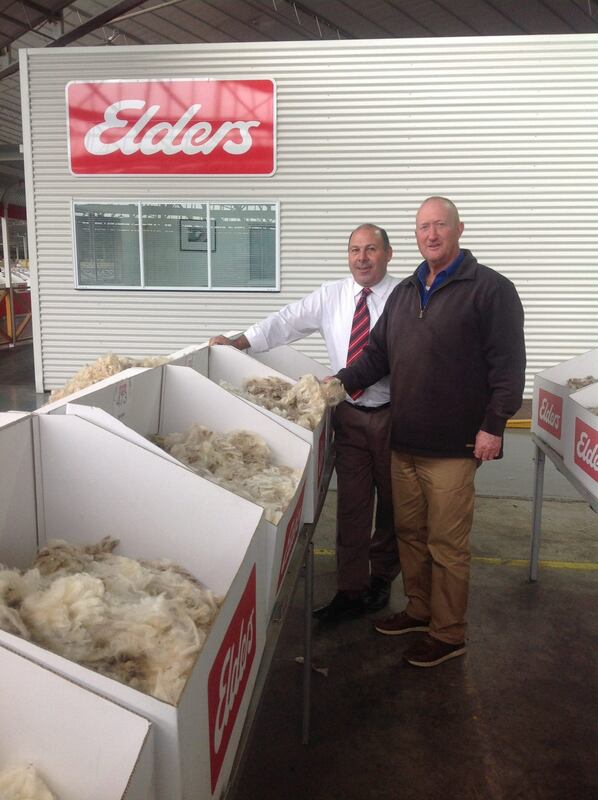 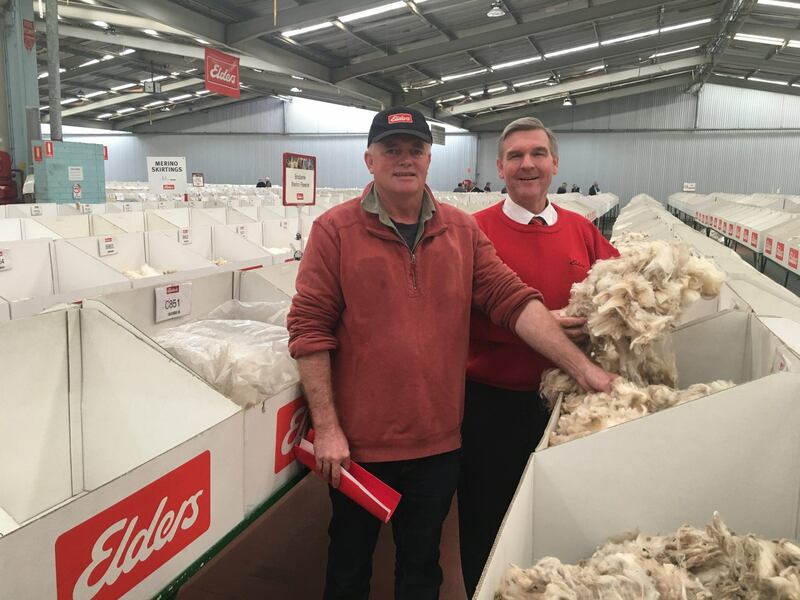 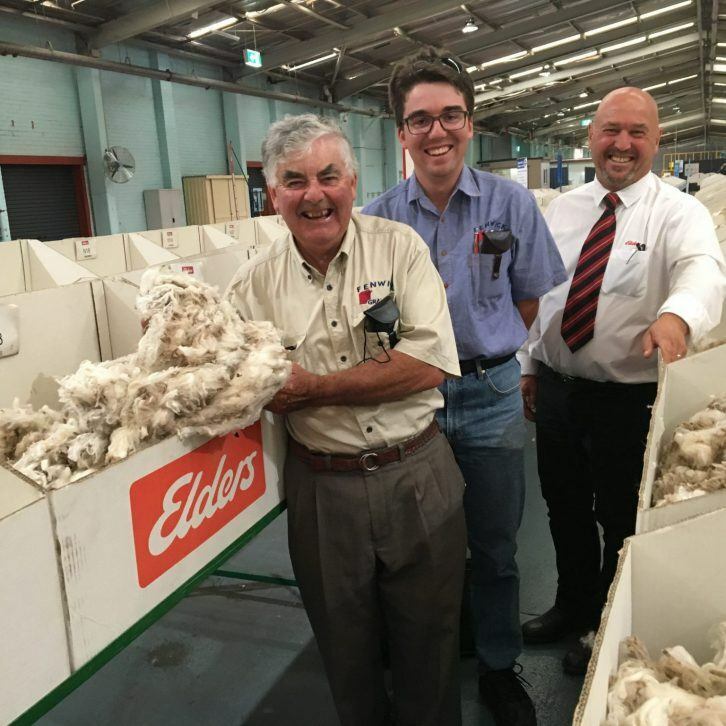 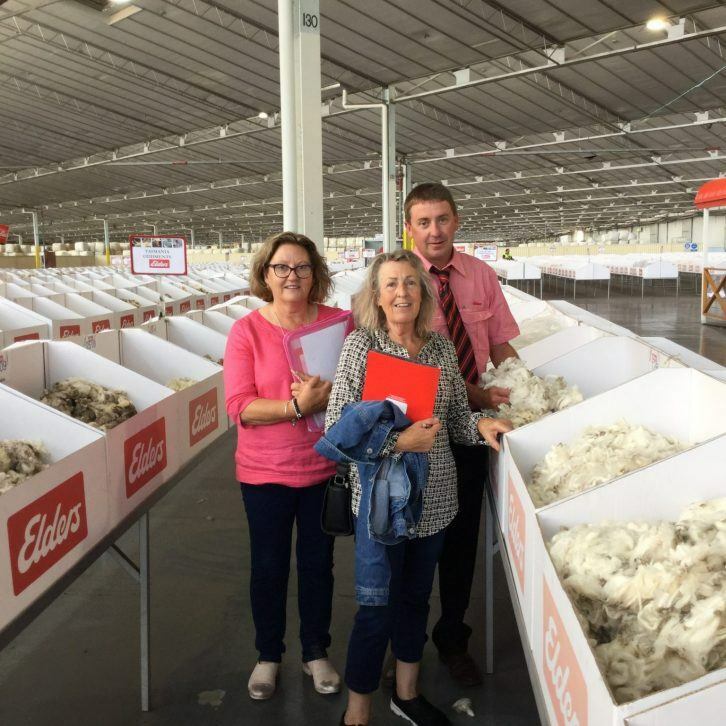 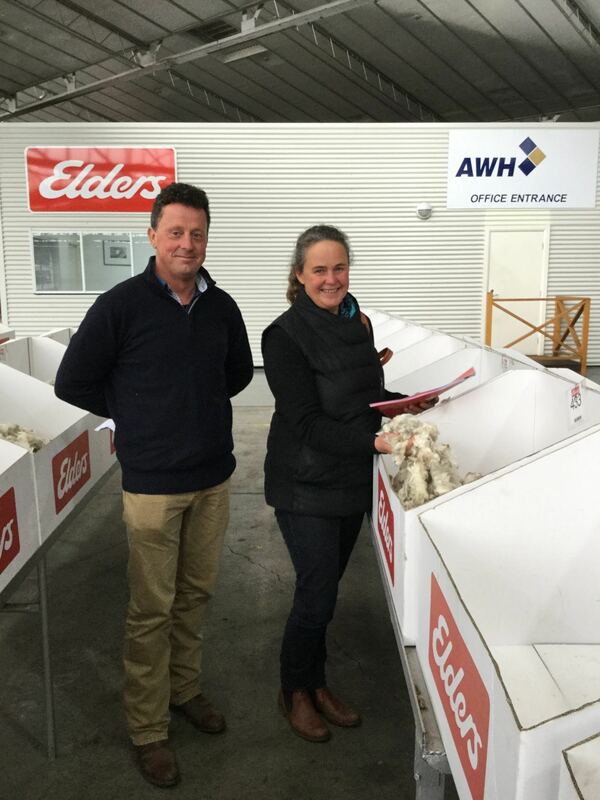 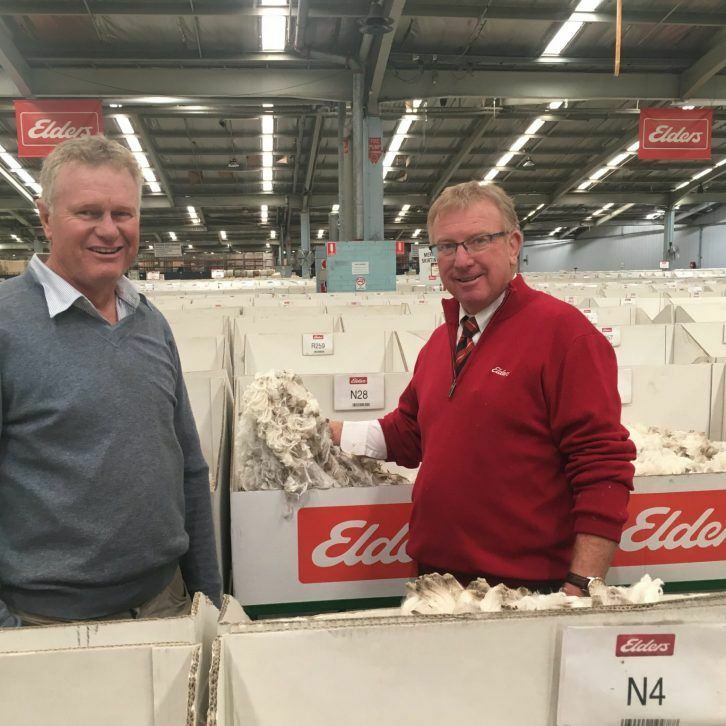 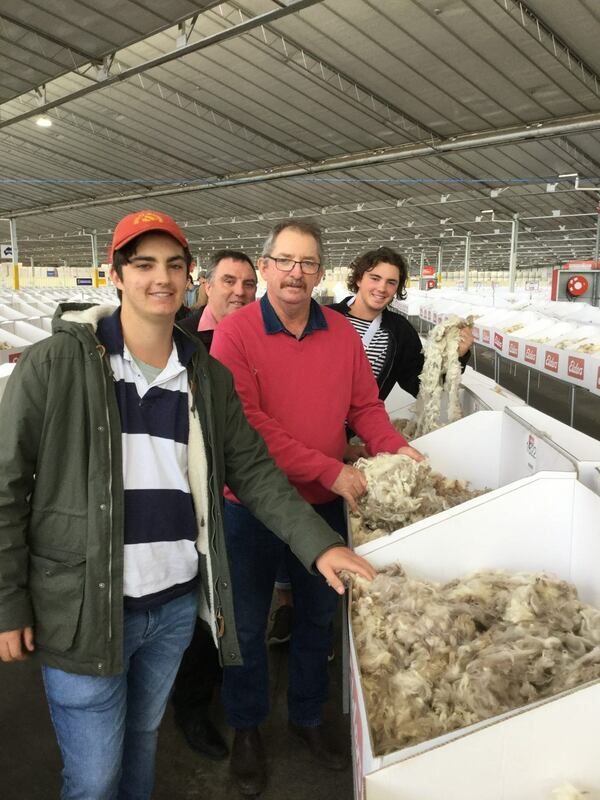 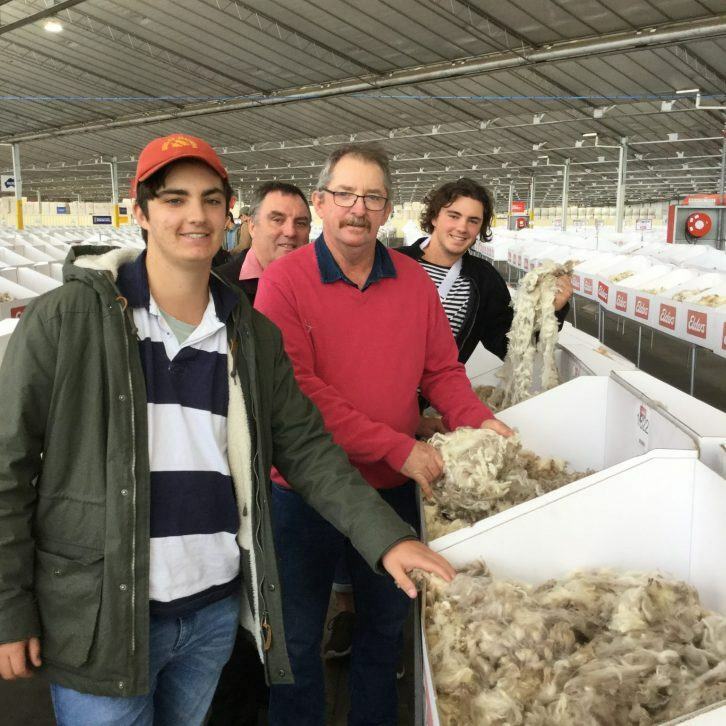 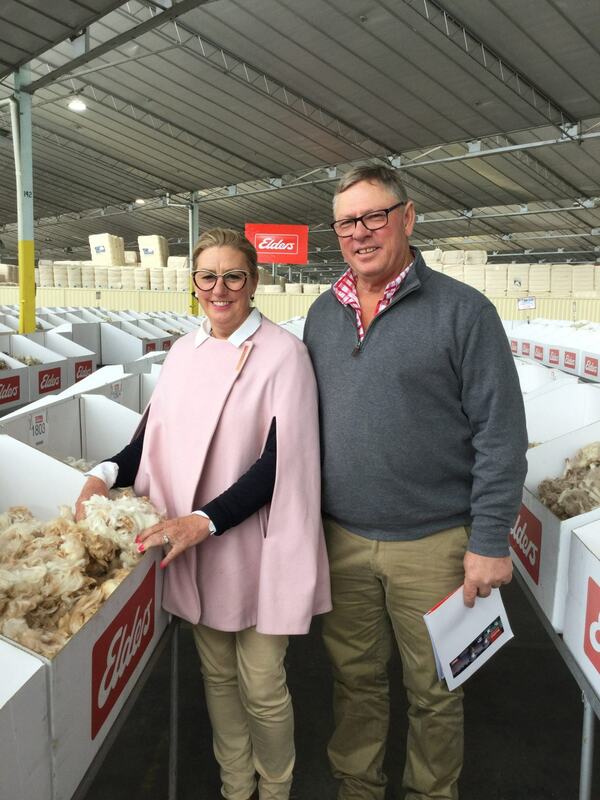 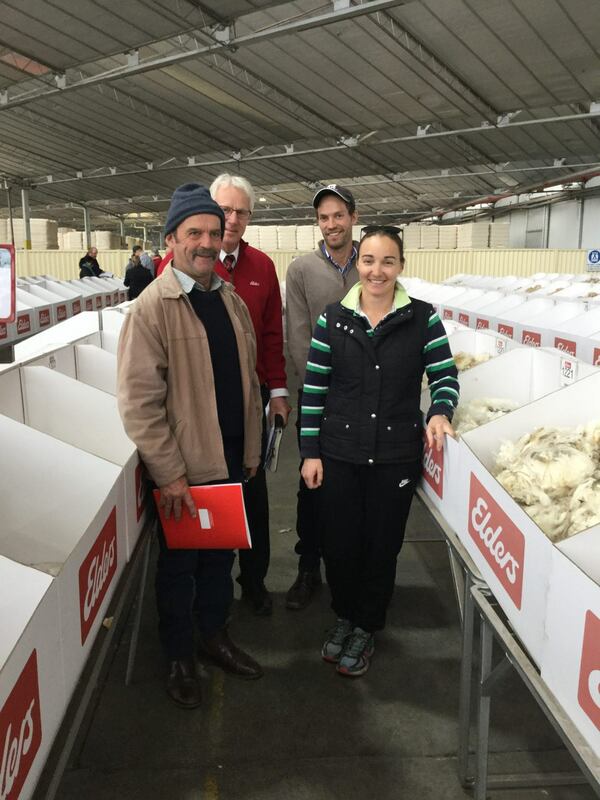 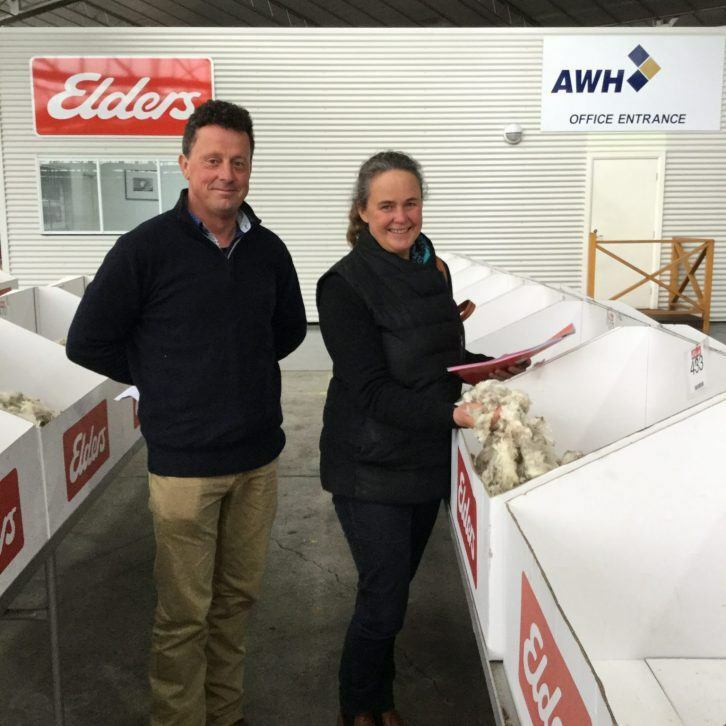 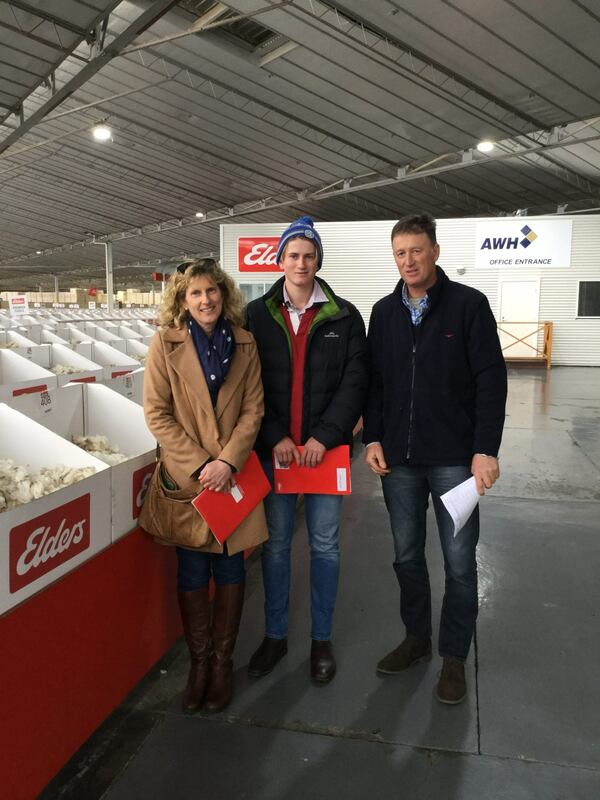 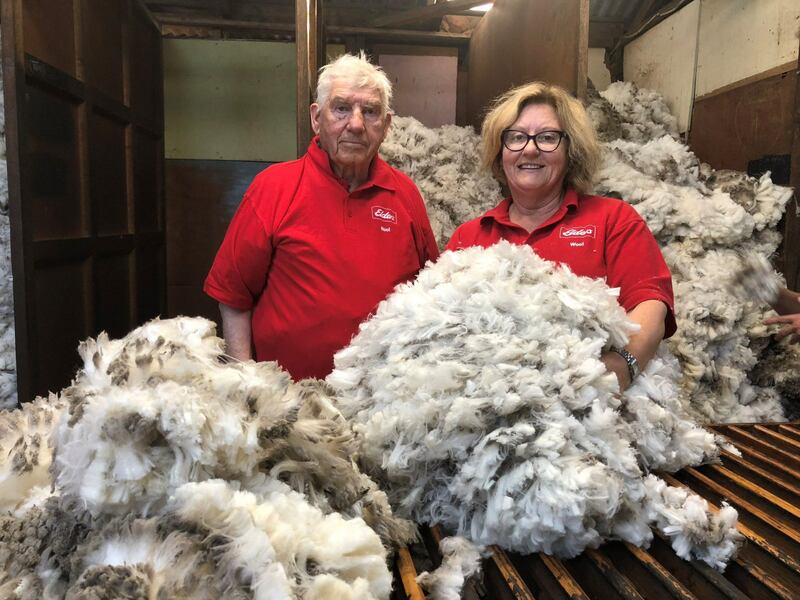 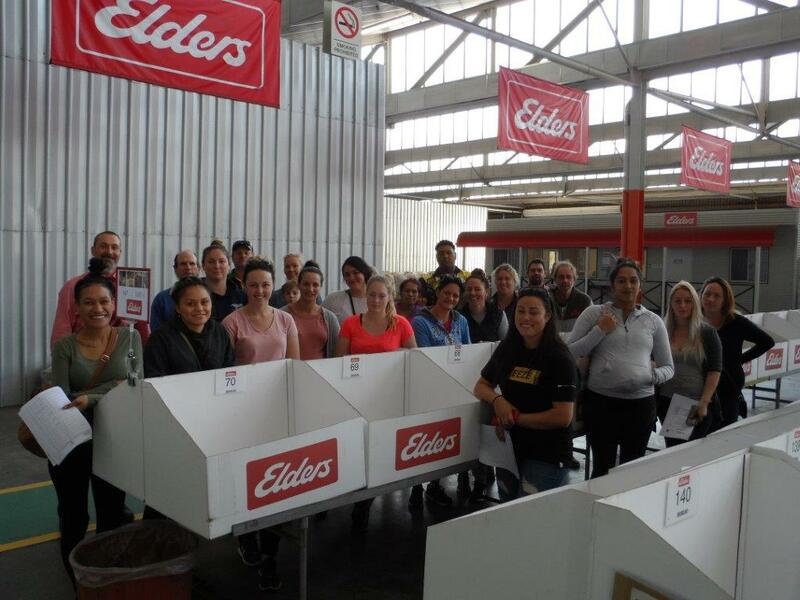 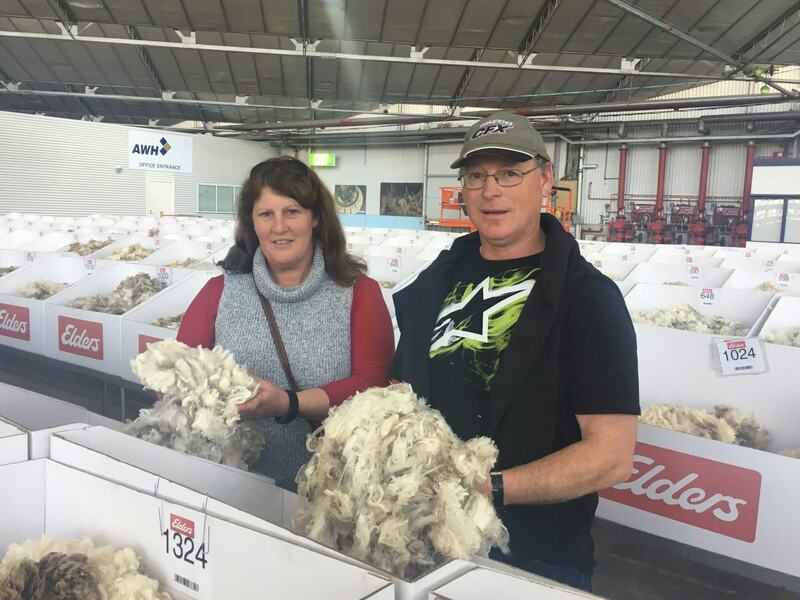 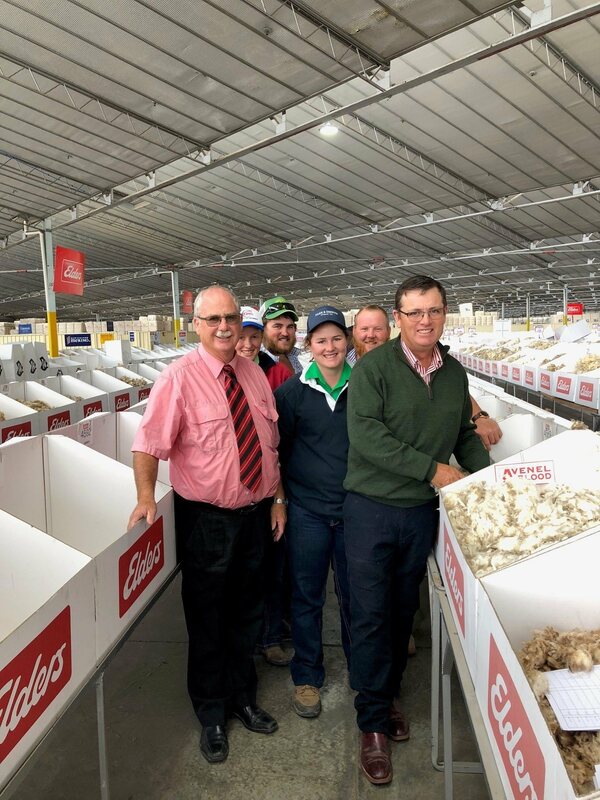 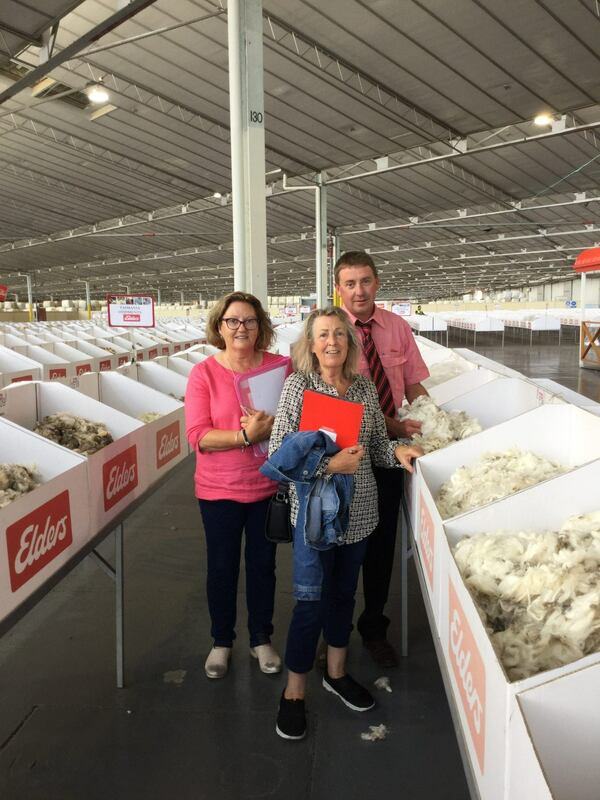 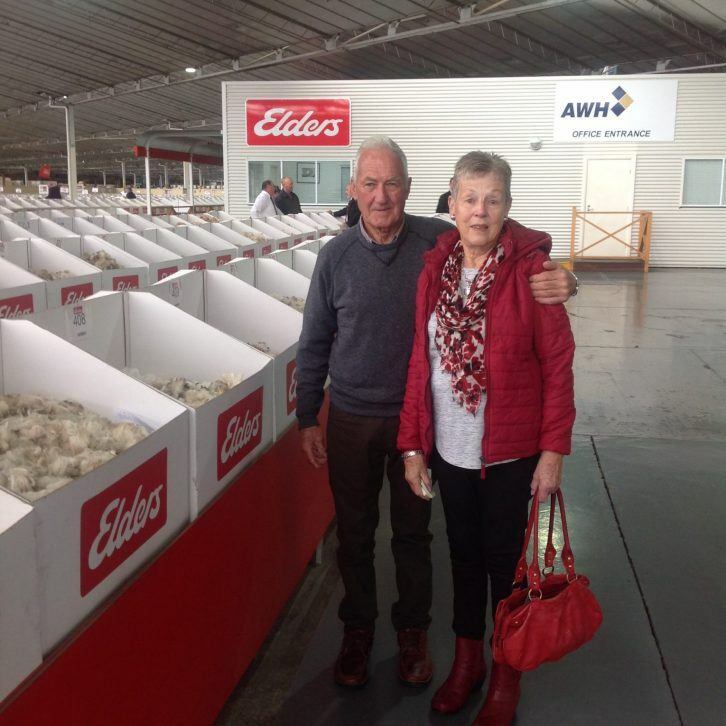 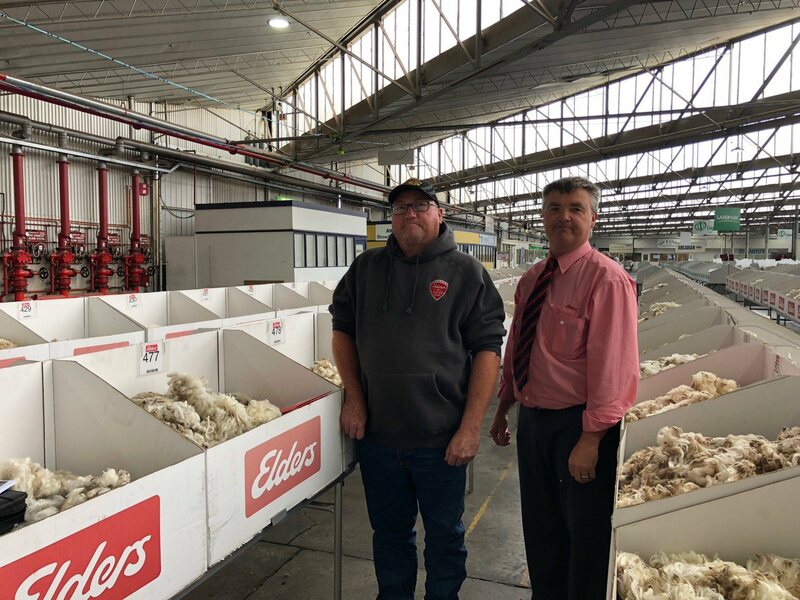 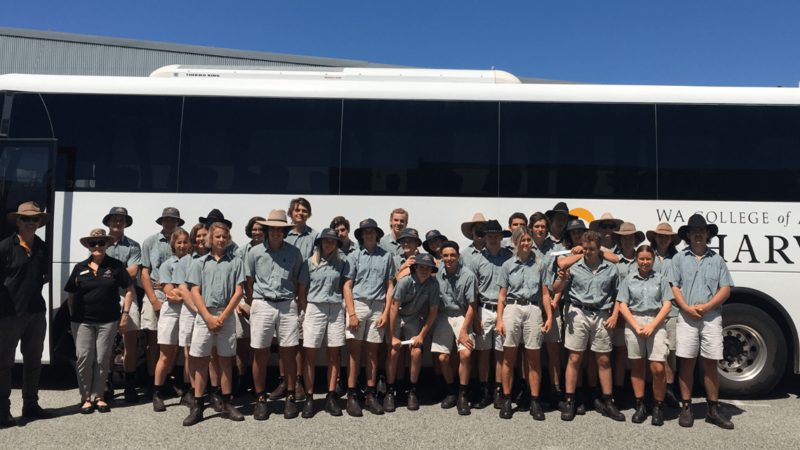 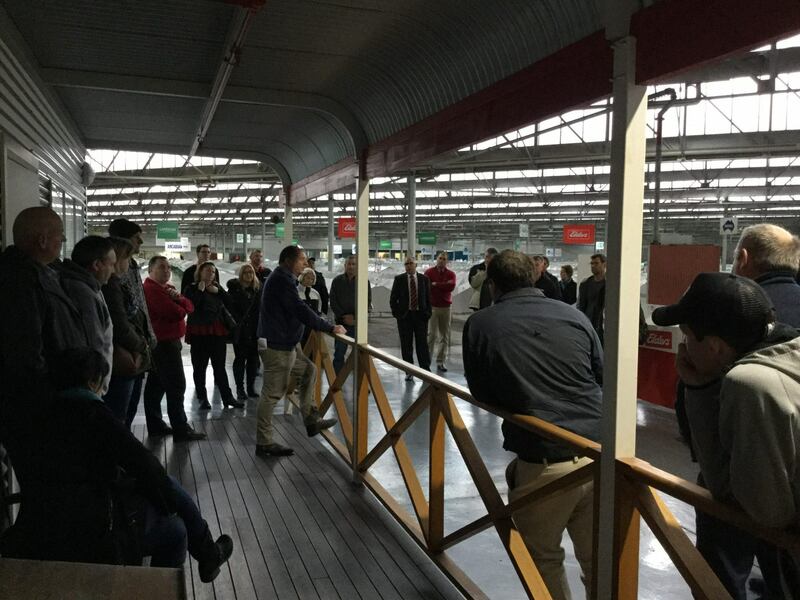 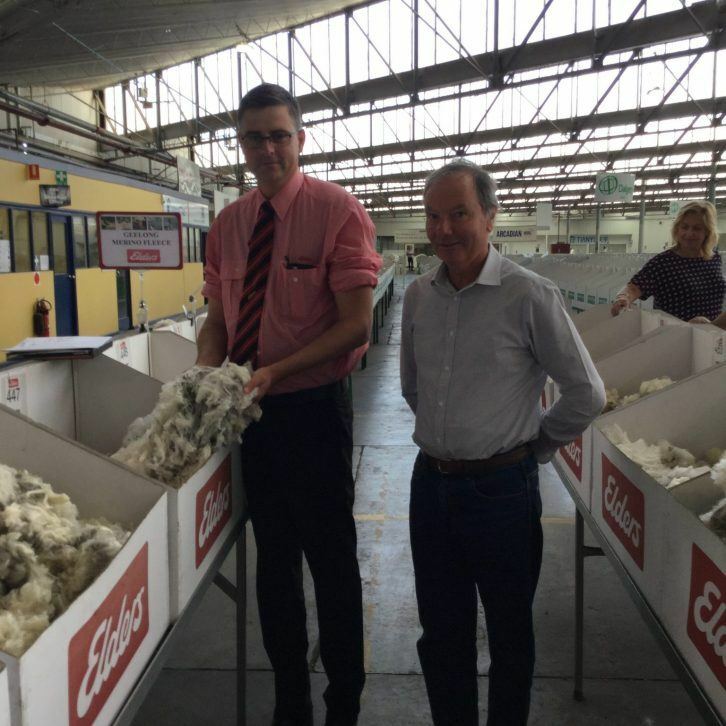 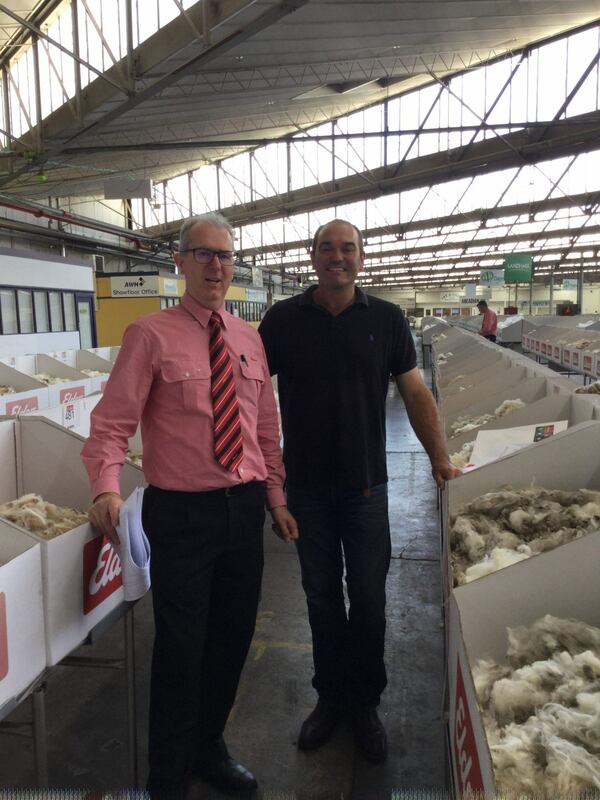 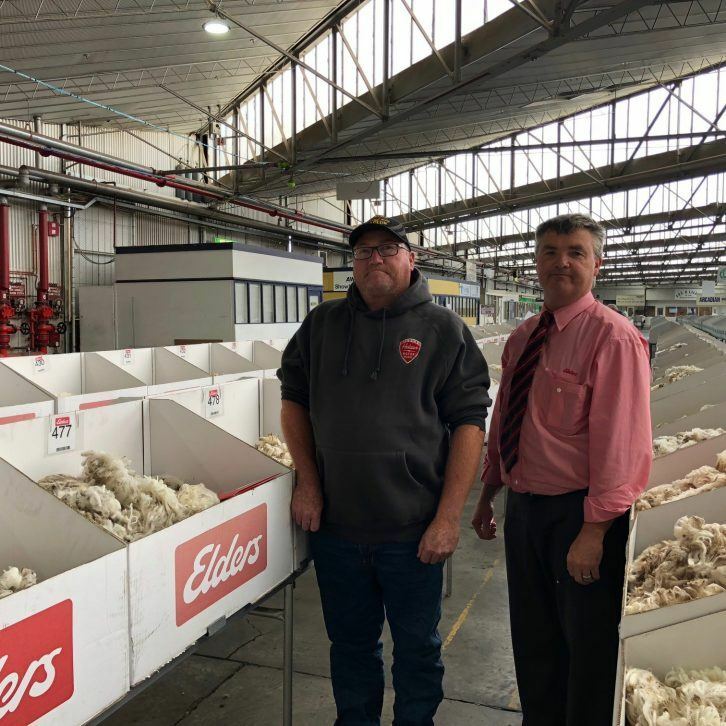 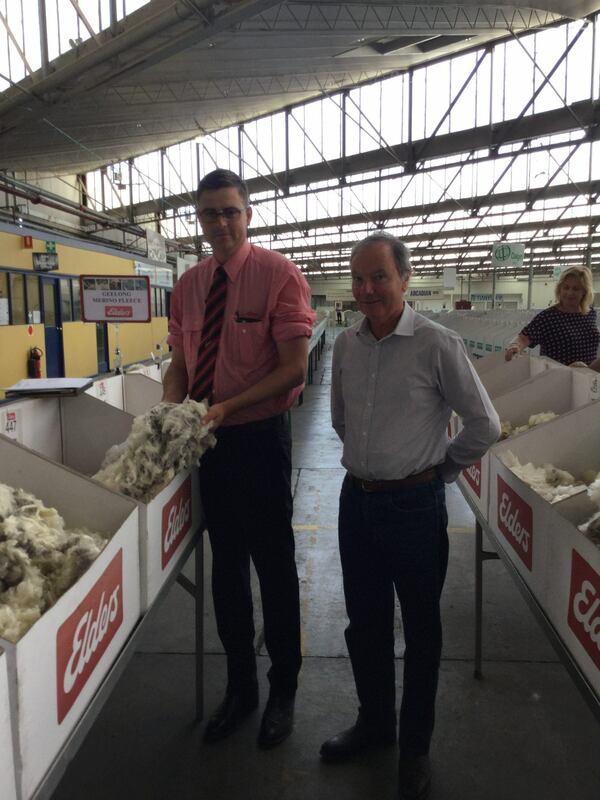 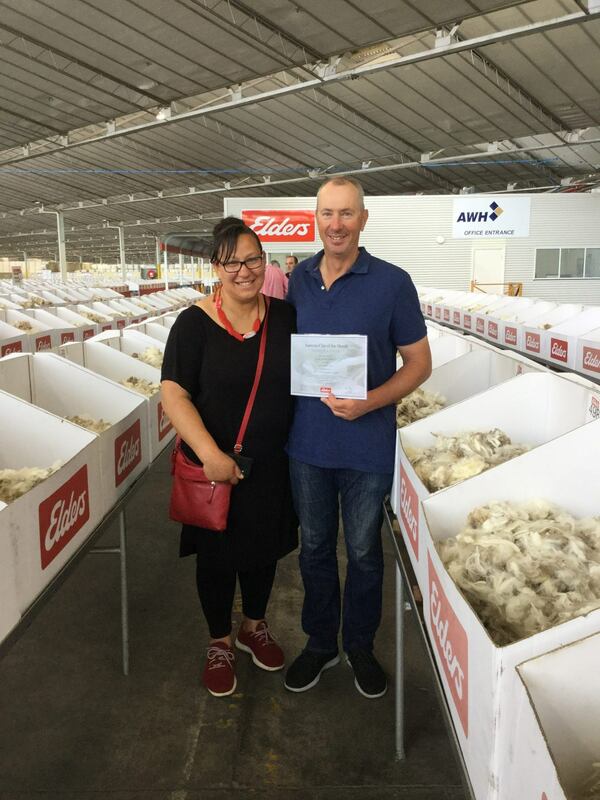 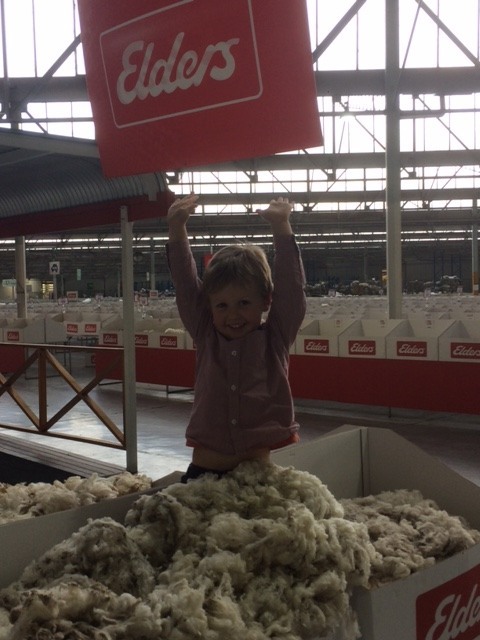 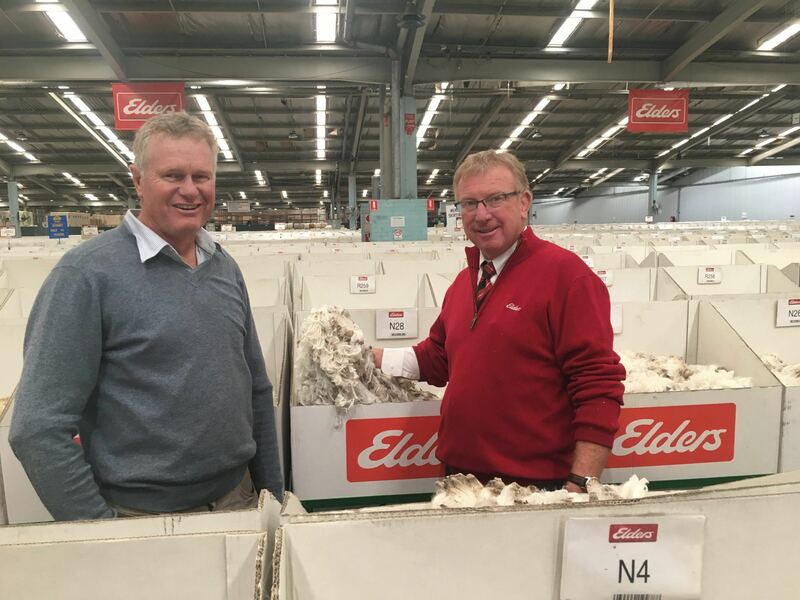 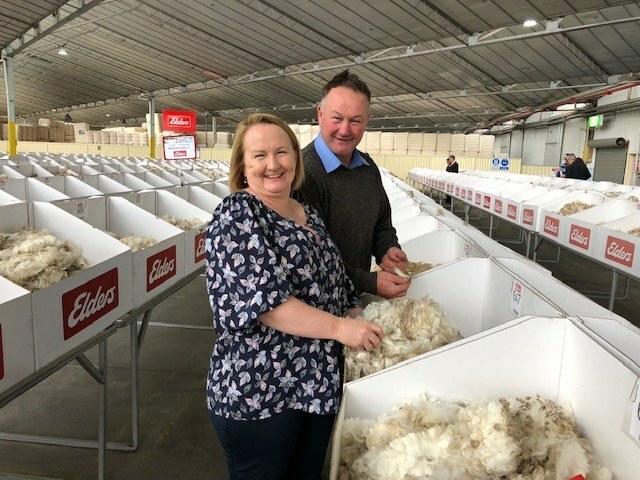 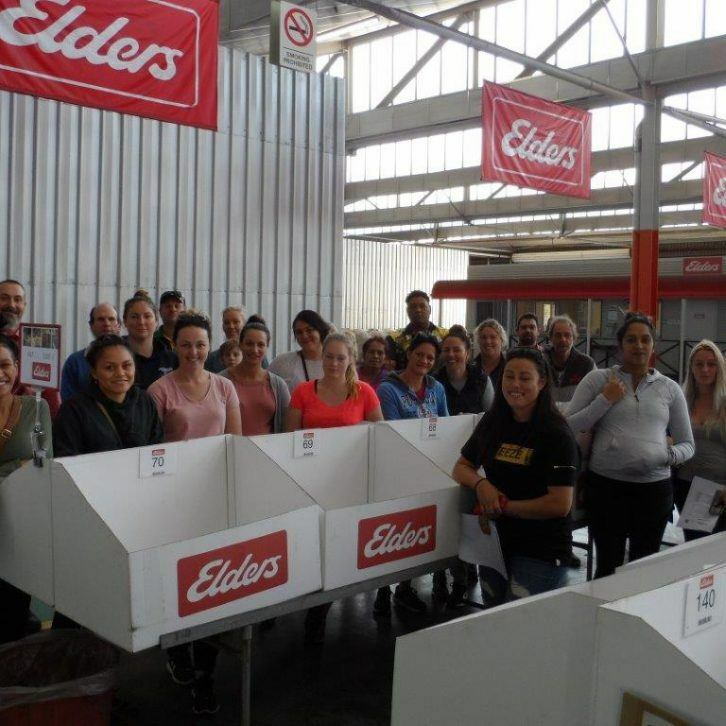 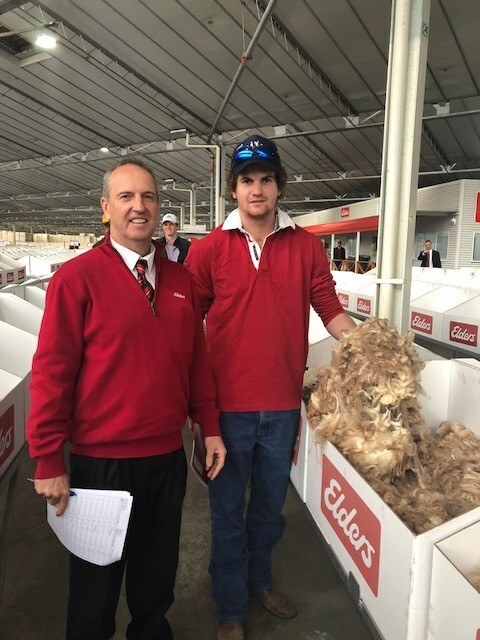 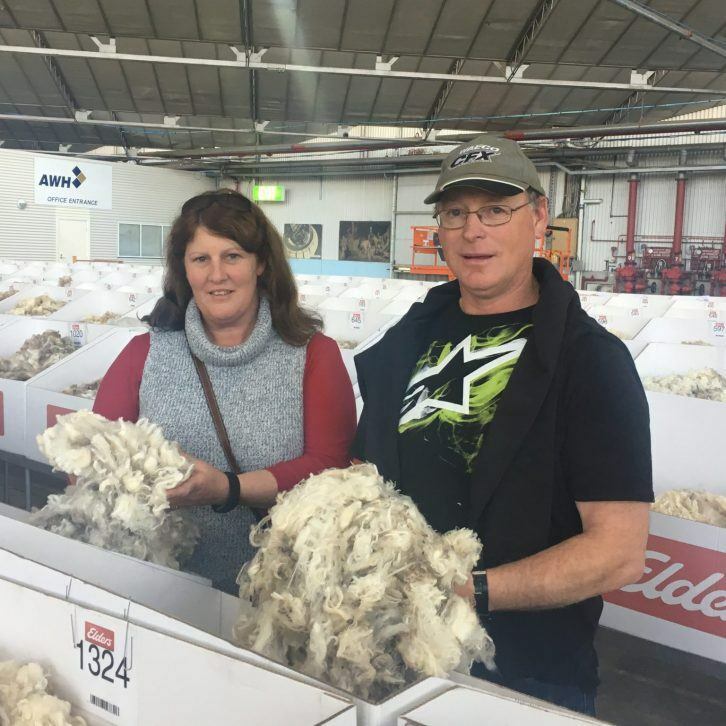 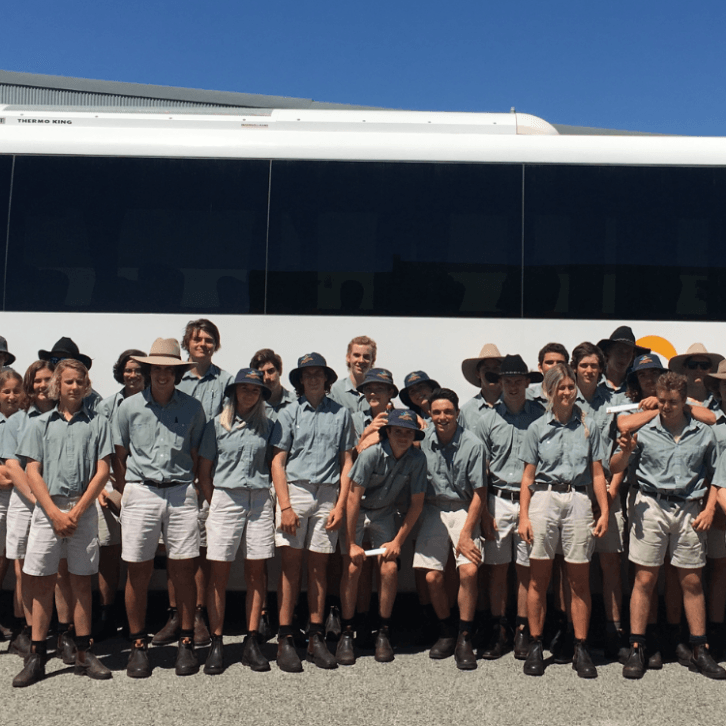 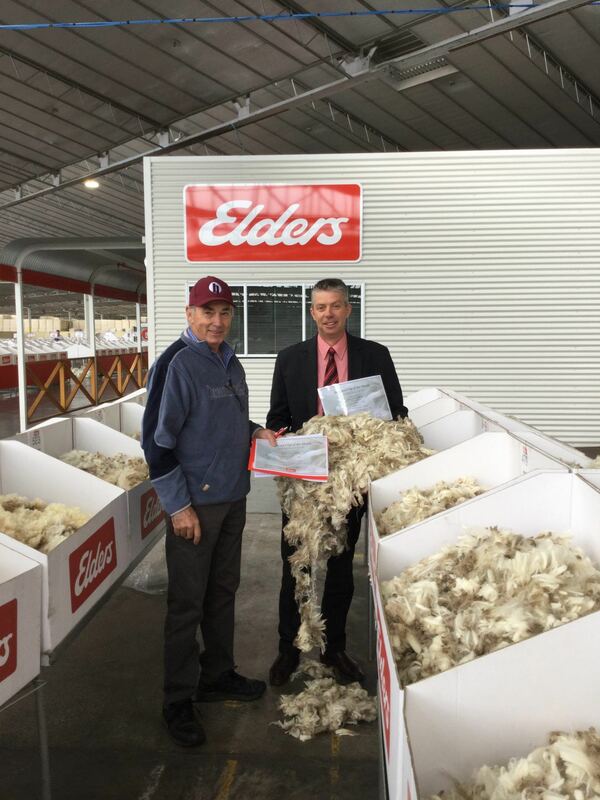 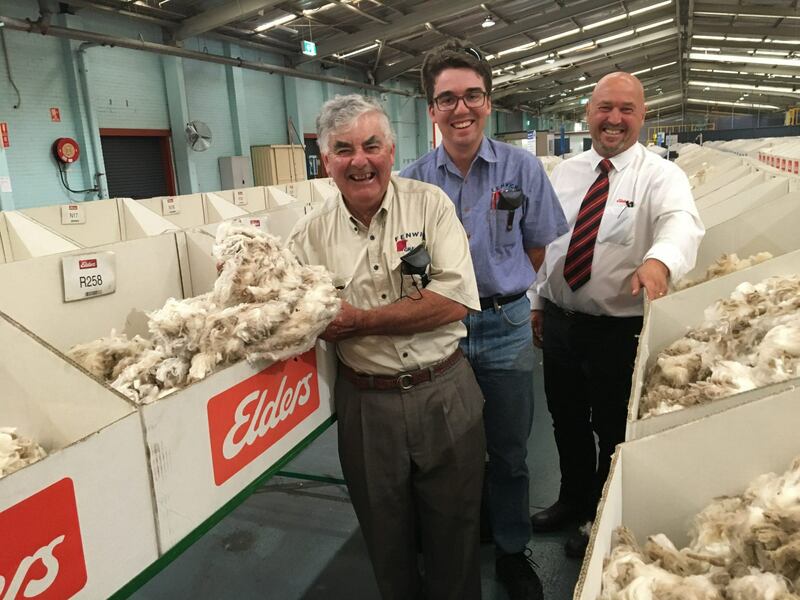 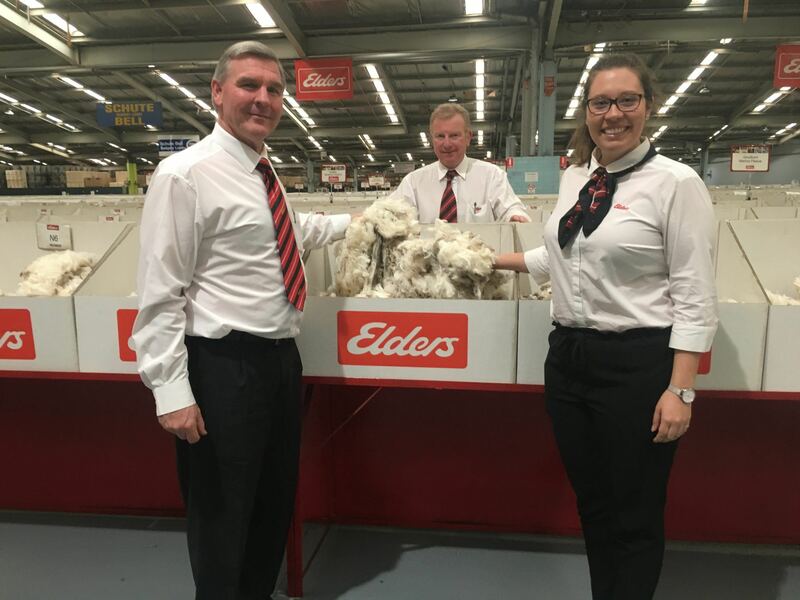 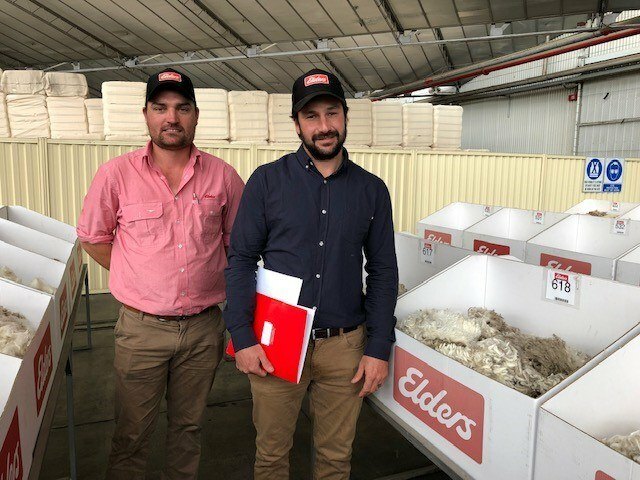 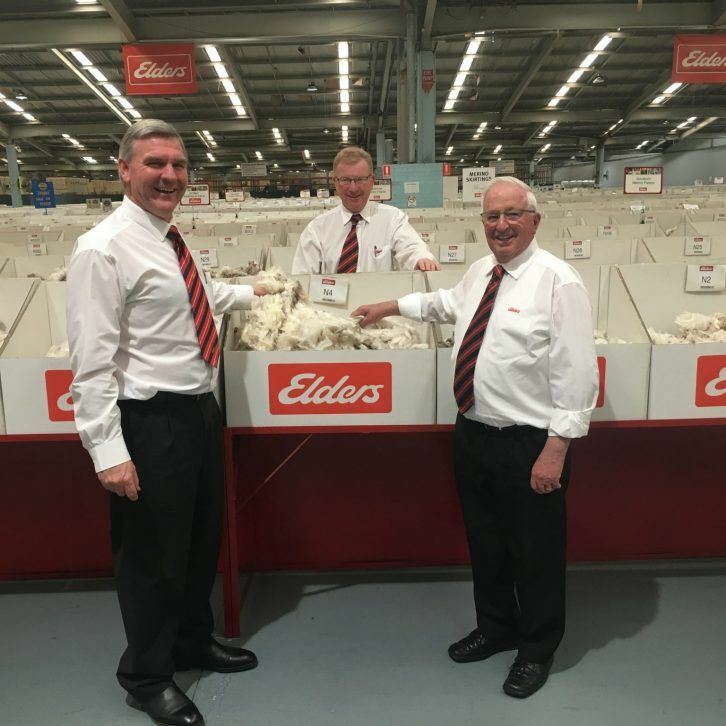 See the latest photos from the Elders Wool team (Click thumbnails to view). 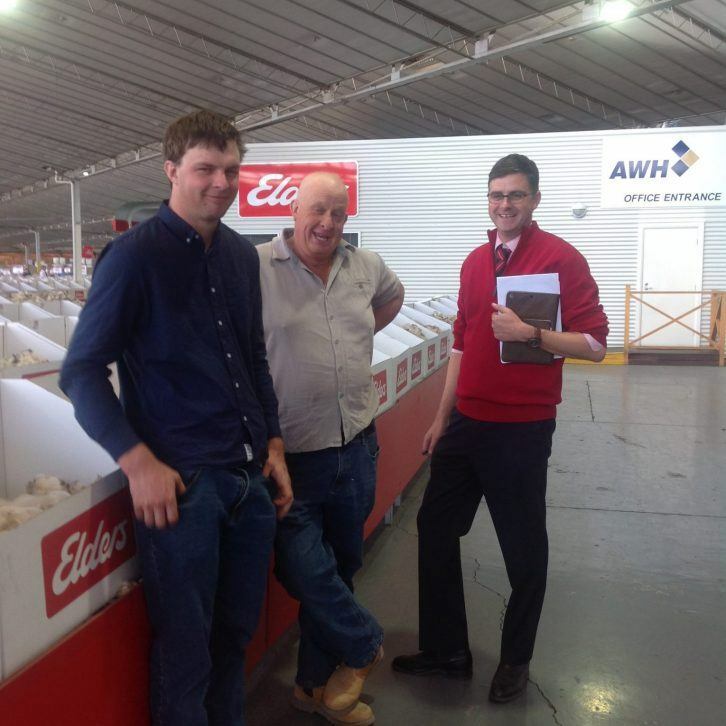 Adam Millard with Peter and Mathew Hurse (Carisbrook, VIC). 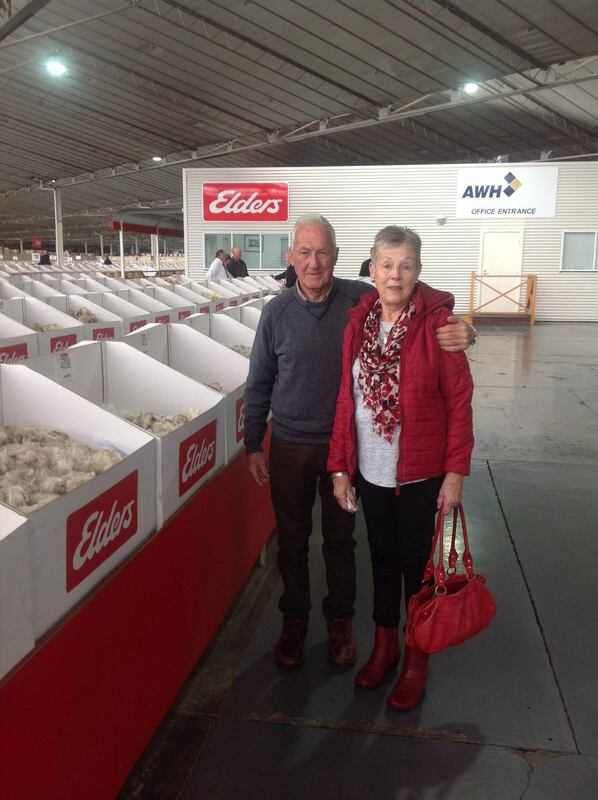 Monica and James Rentsch (Croxton East, VIC). 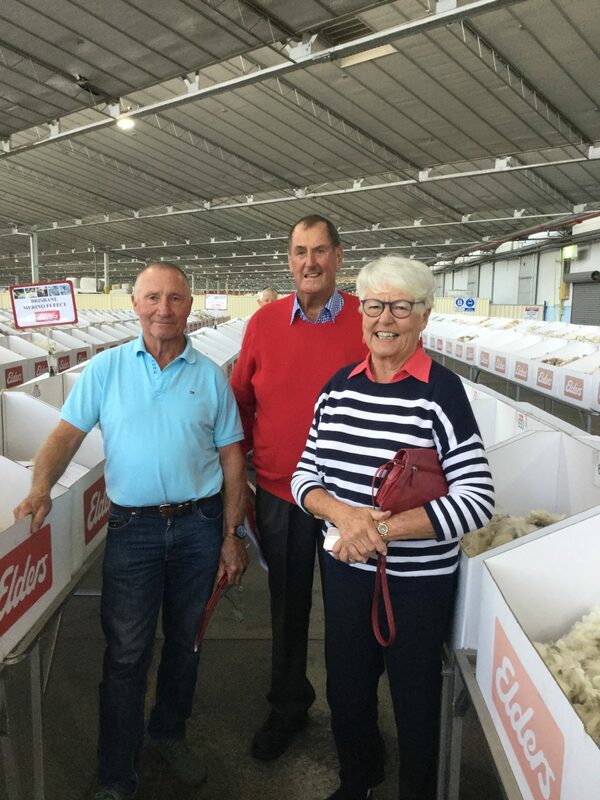 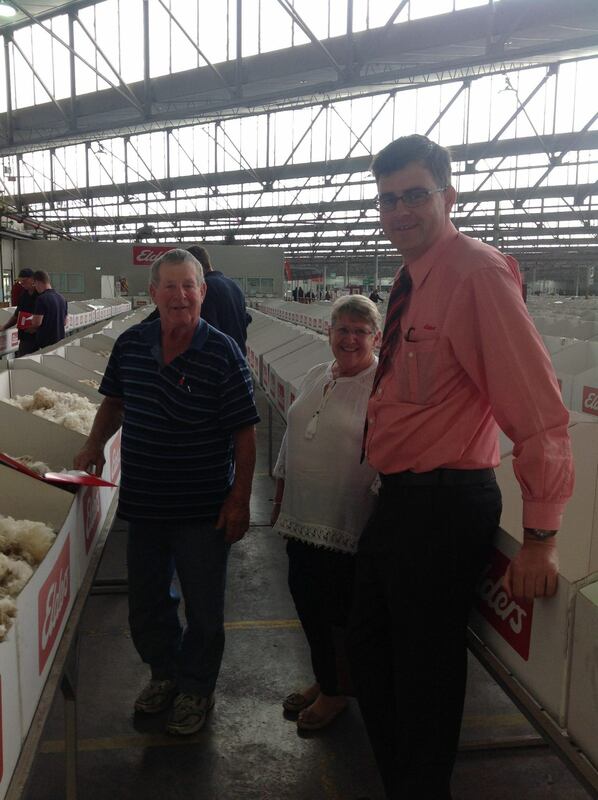 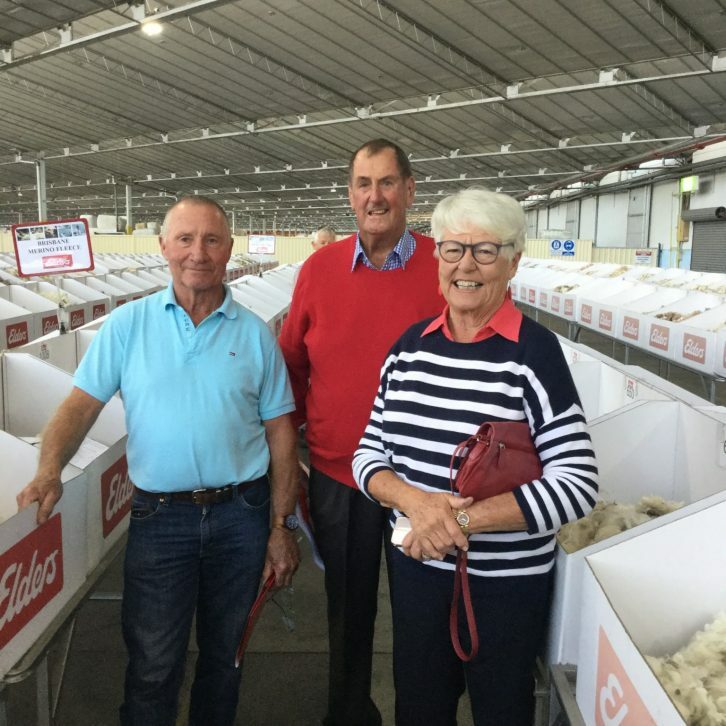 David and Glenis Tink (Serviceton, VIC) with Roly Coutts. 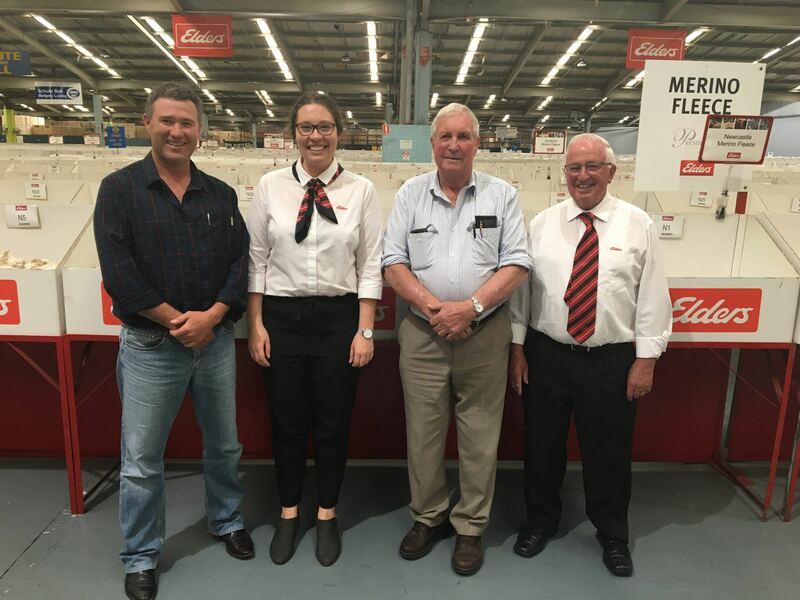 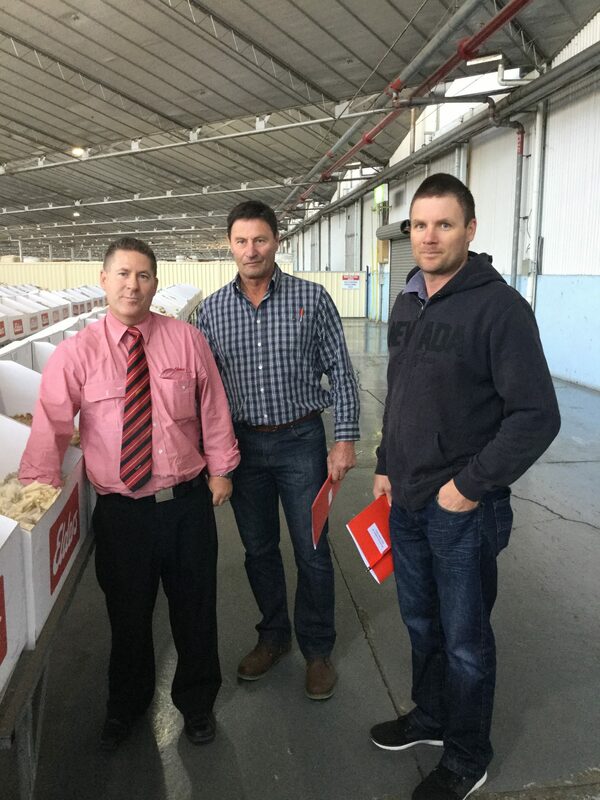 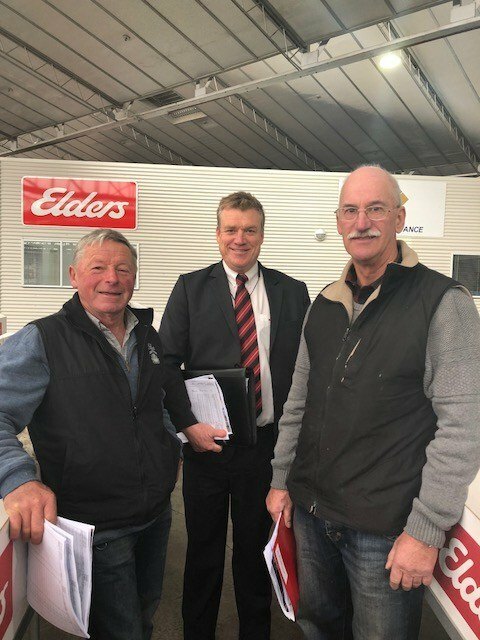 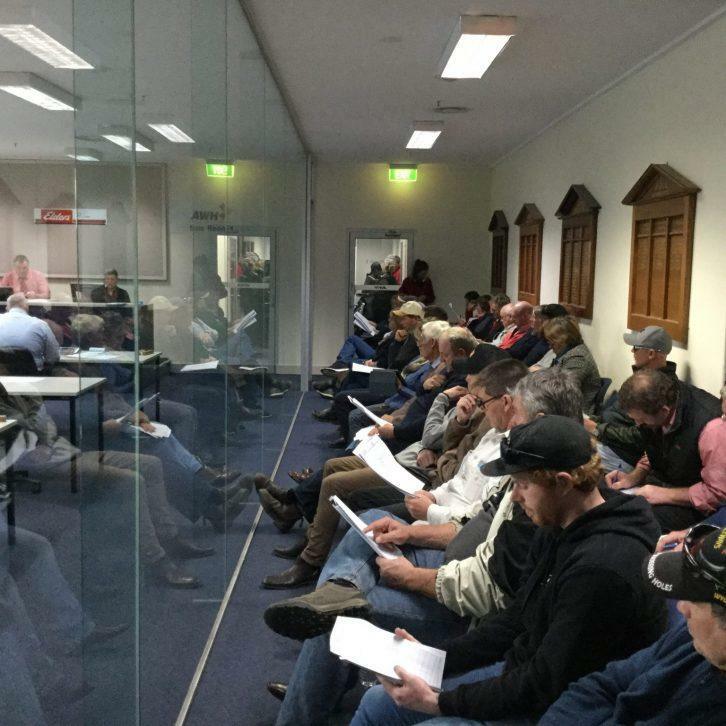 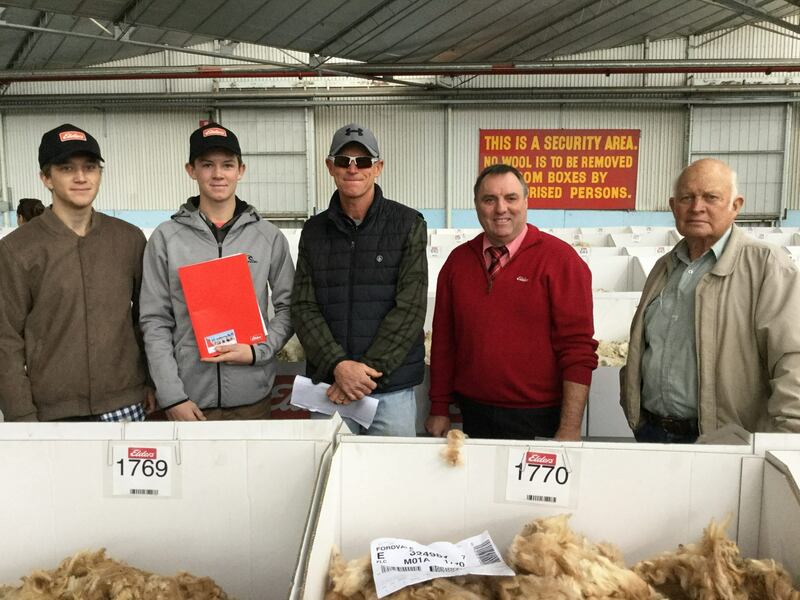 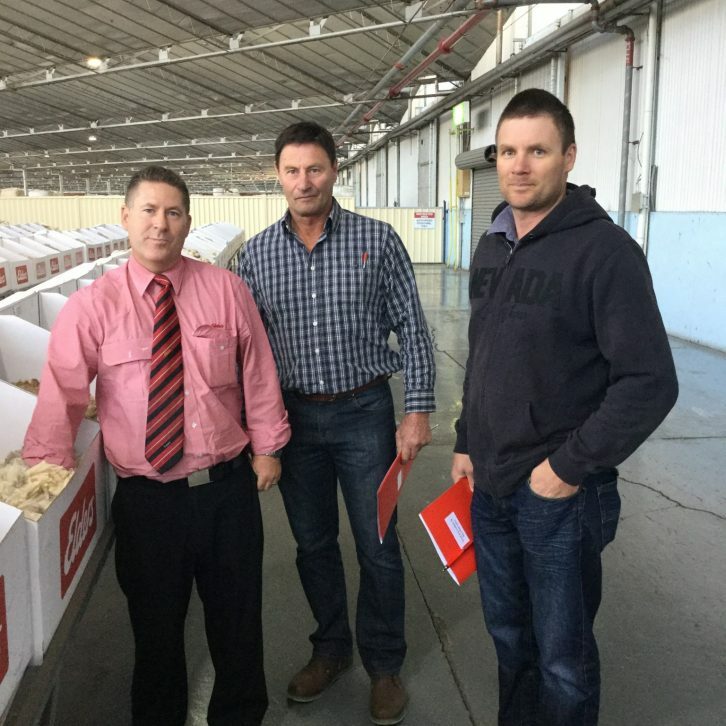 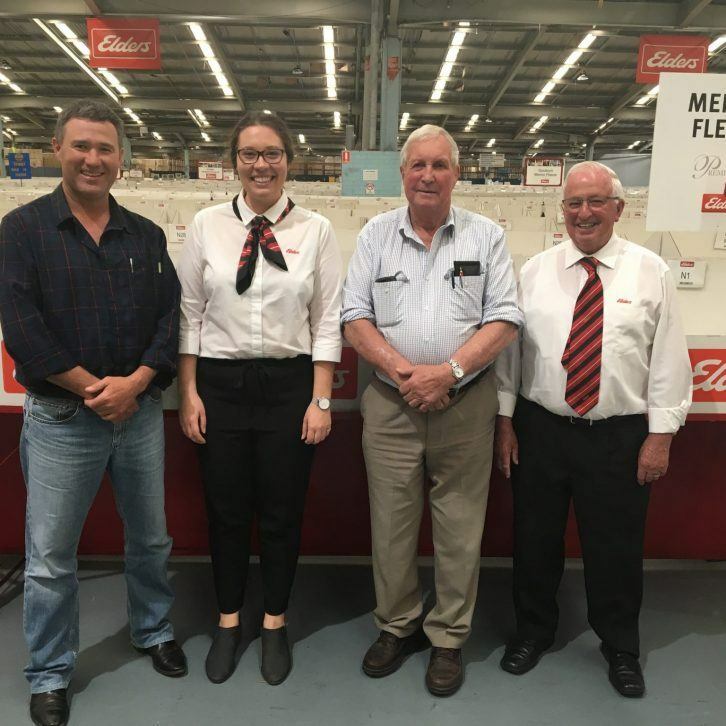 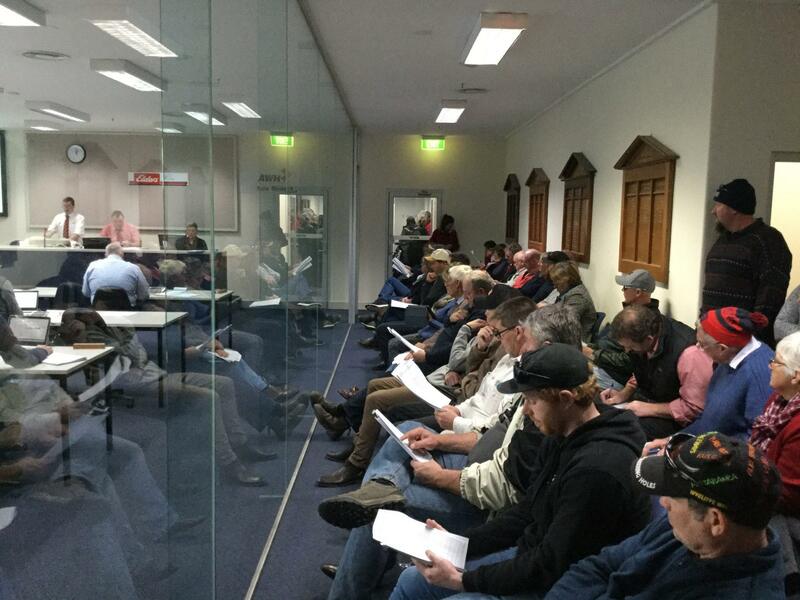 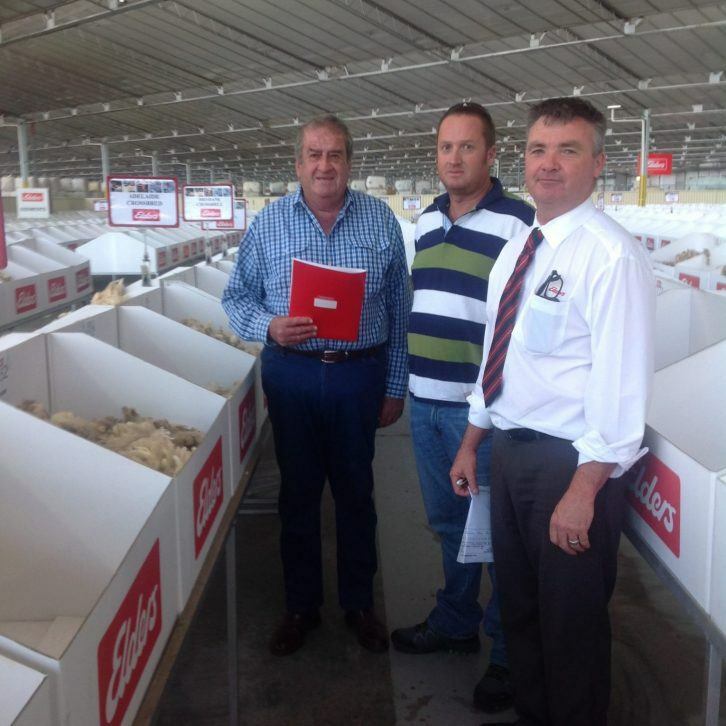 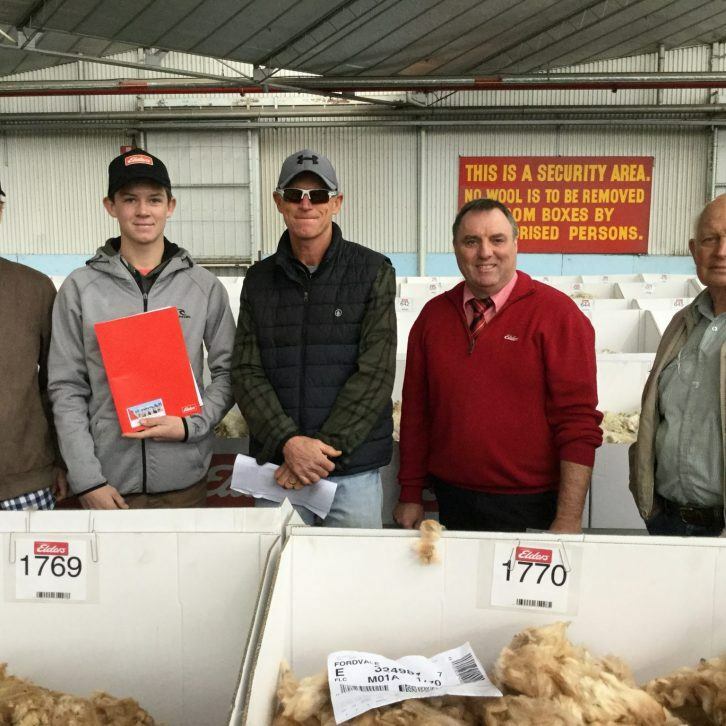 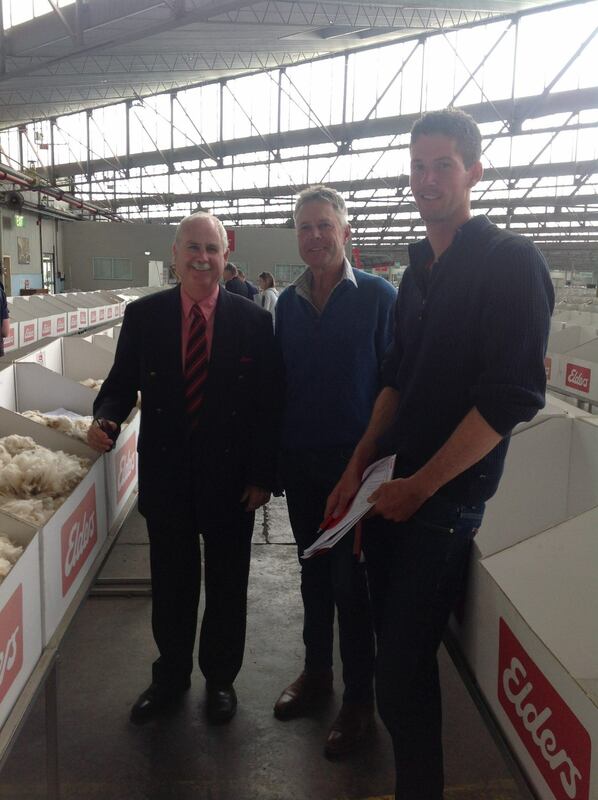 Clyde McKenzie with Craig McCulloch and James Kirby (Deniliquin, NSW). 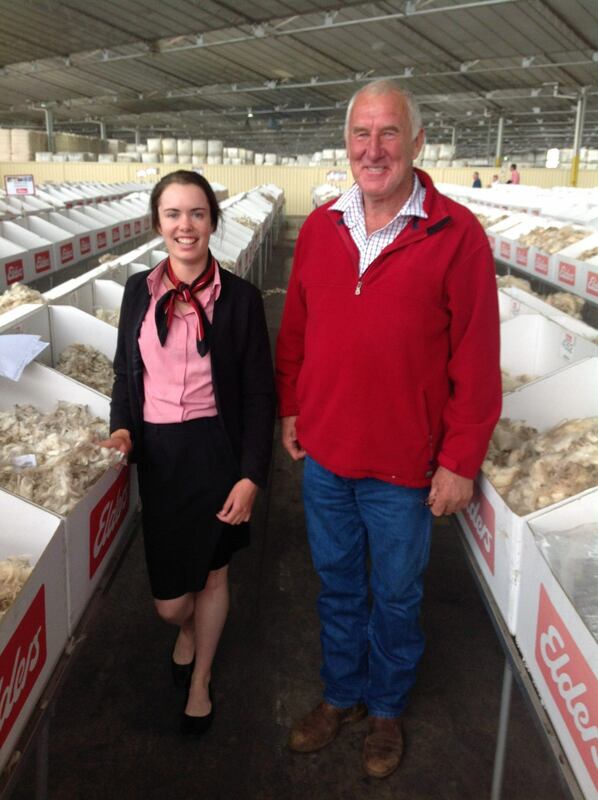 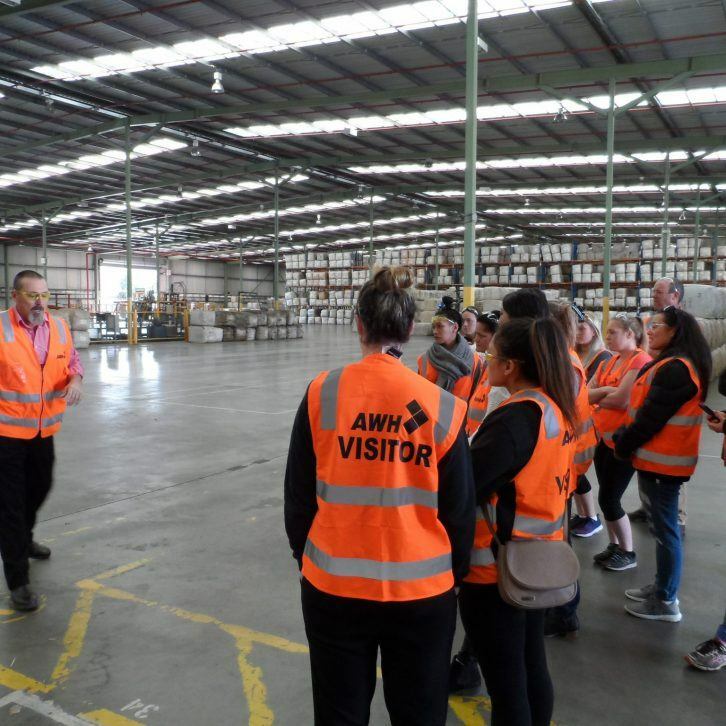 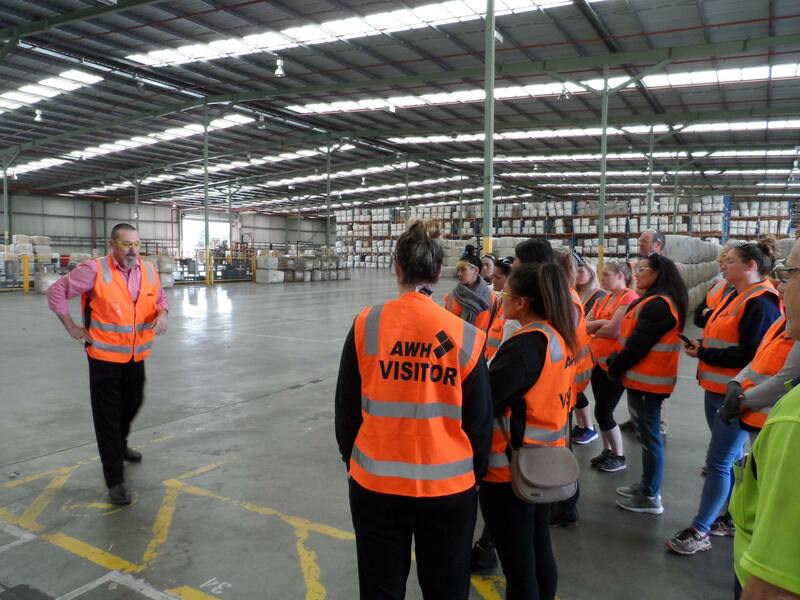 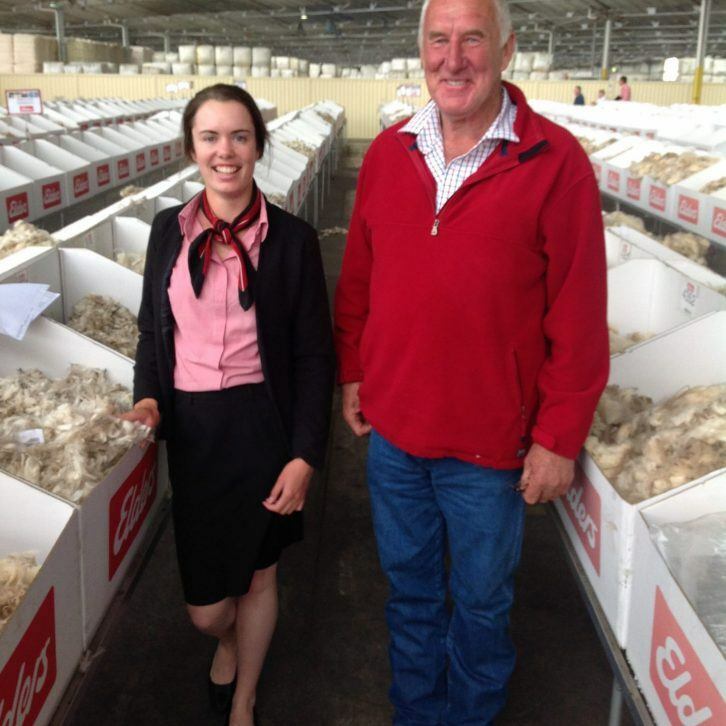 Amy Carpenter with Neil Sambell (Ozenkadnook, VIC). 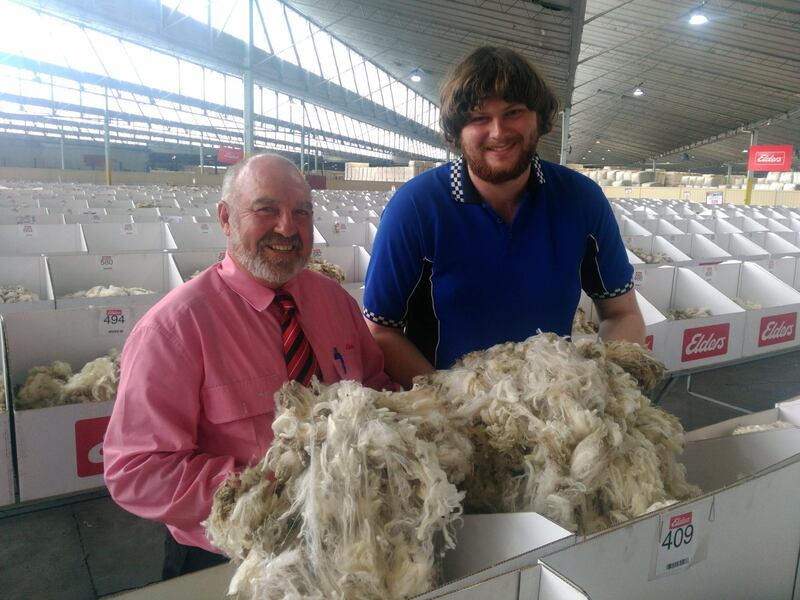 Craig Potter with Alec Allender (Buangor, VIC). 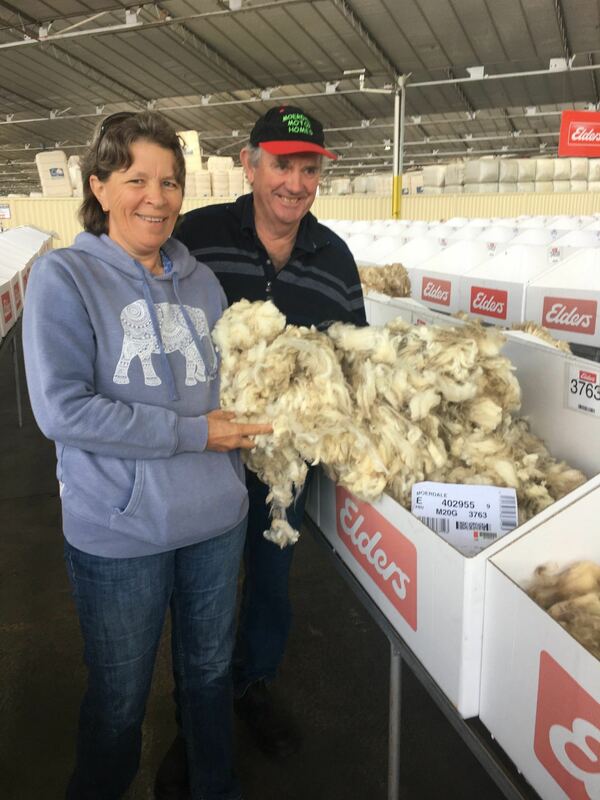 Pete Docking & Kaye Main (Kalangadoo, SA). 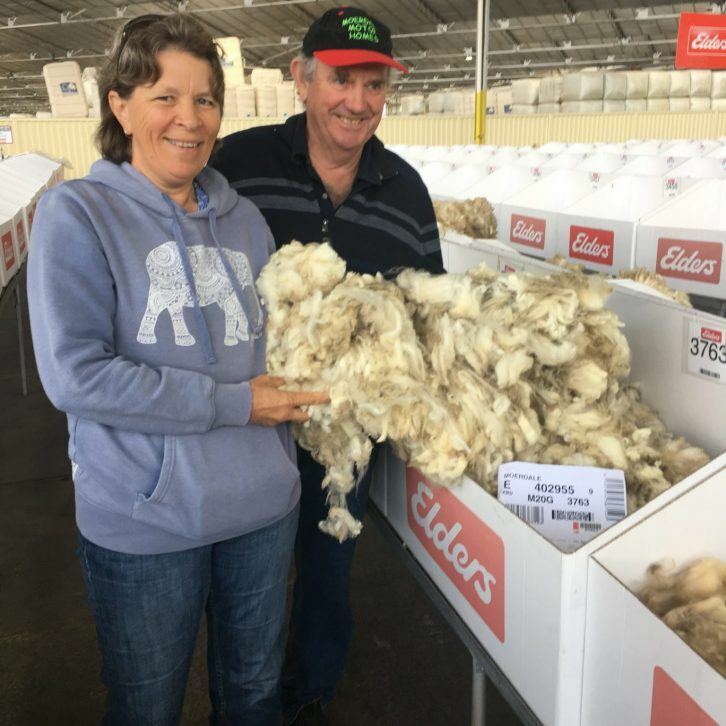 Sonya and James Irwin (Burra, SA). 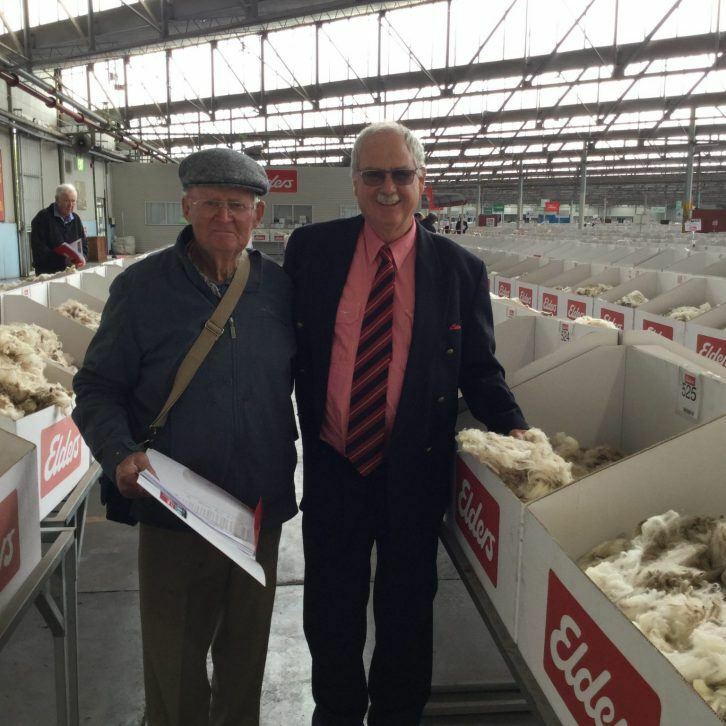 John Christie (Byaduk, VIC) with Andrew Howells. 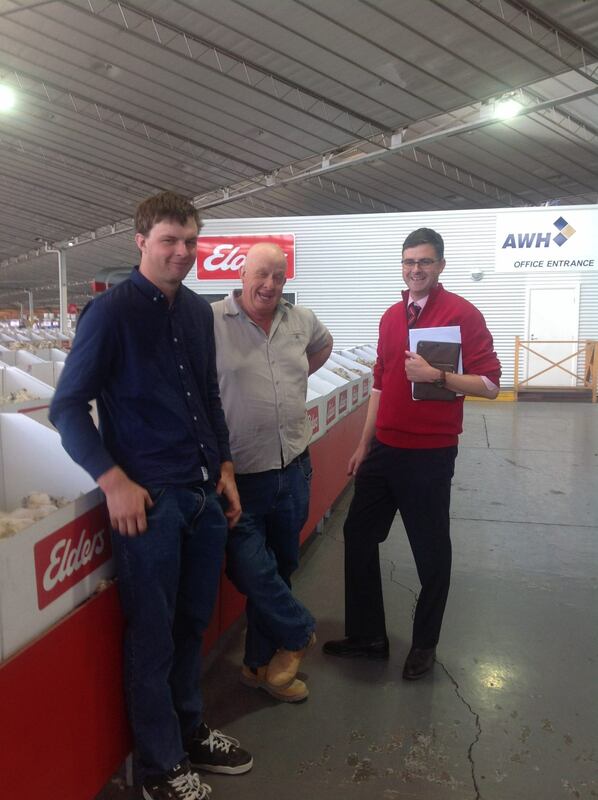 Noel and Phillip Edwards (Yerong Creek, NSW) with Patrick Garraway. 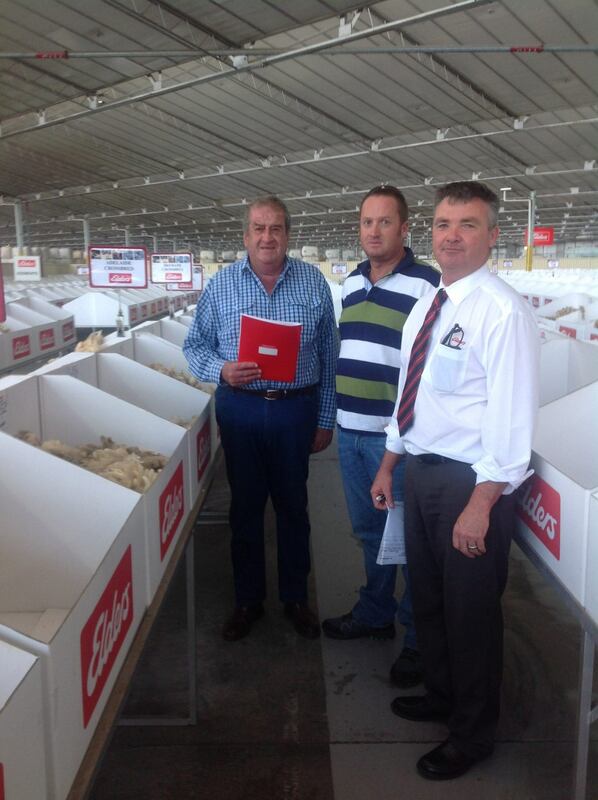 Ian and Nathan Klowss (Vectis, VIC) with Roly Coutts. 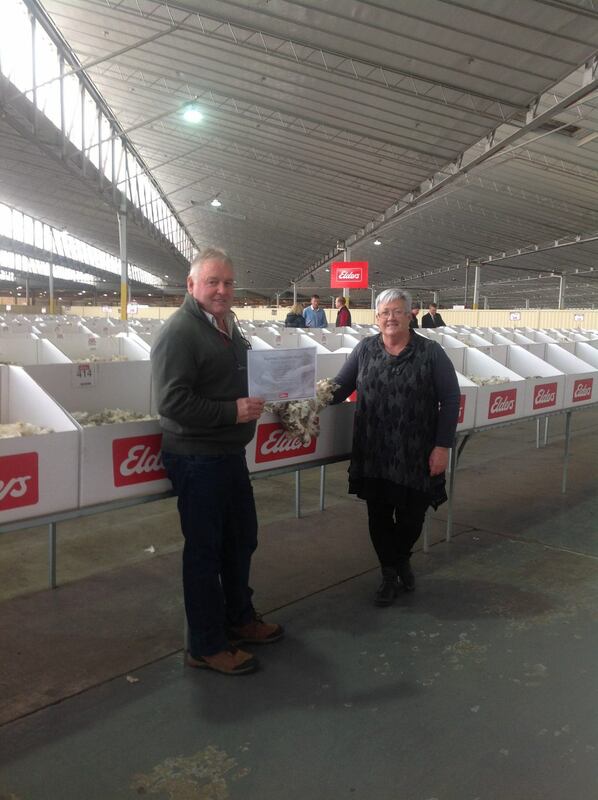 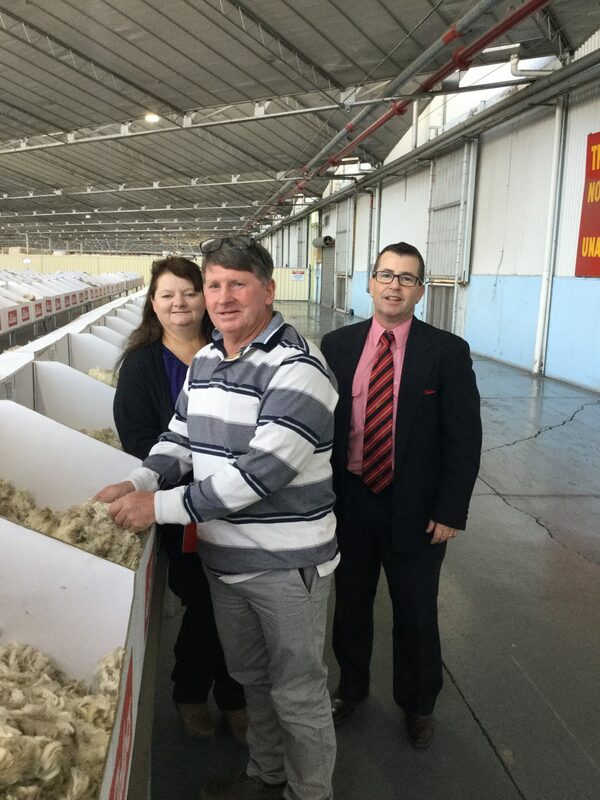 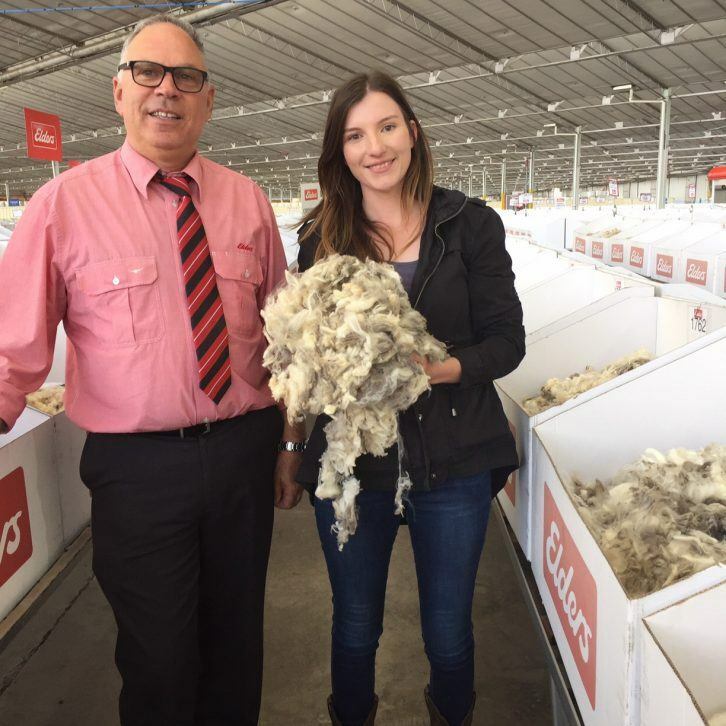 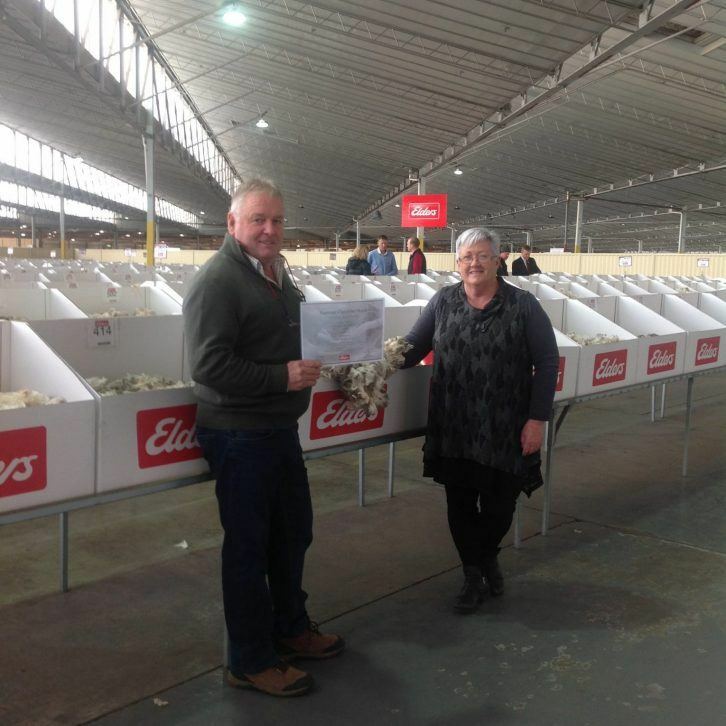 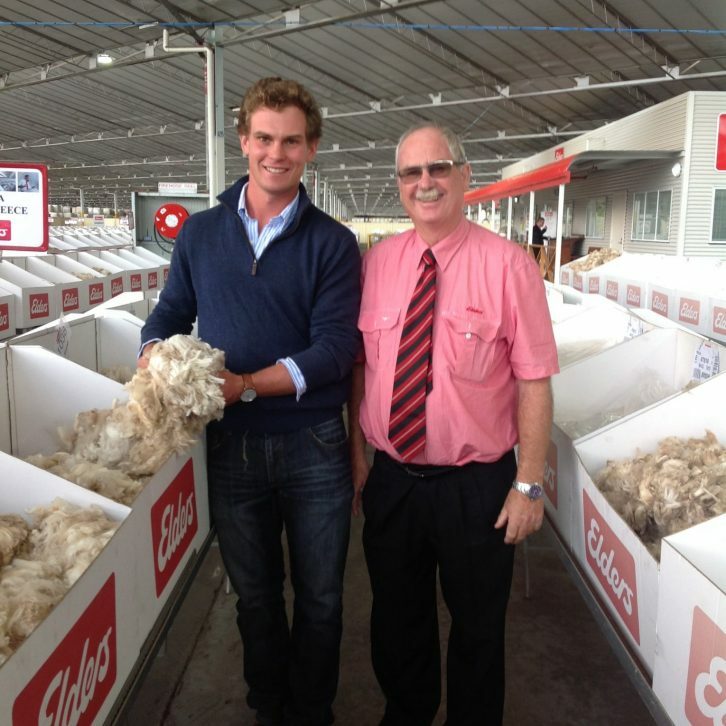 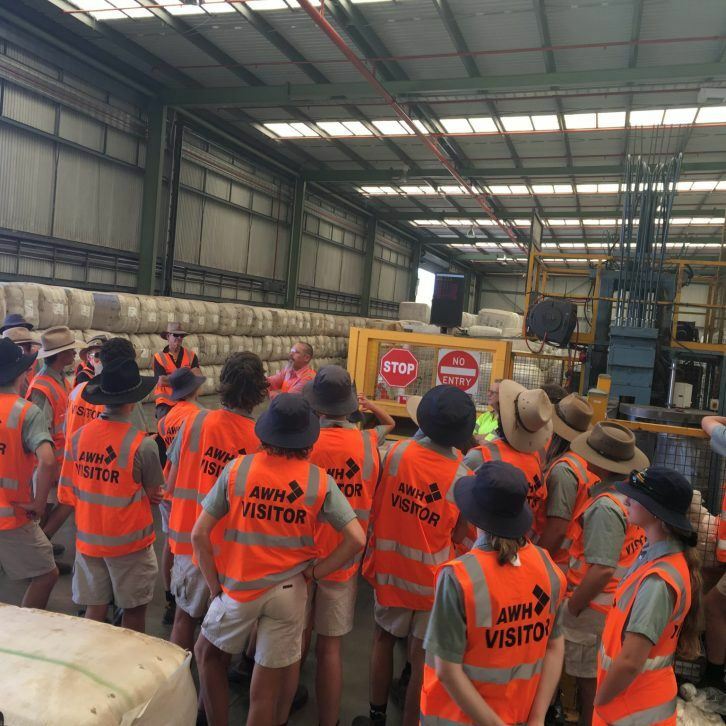 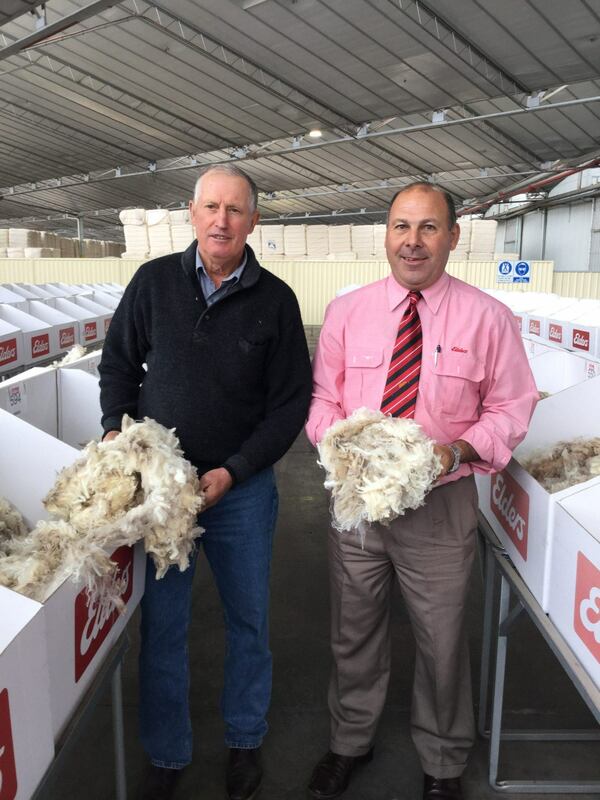 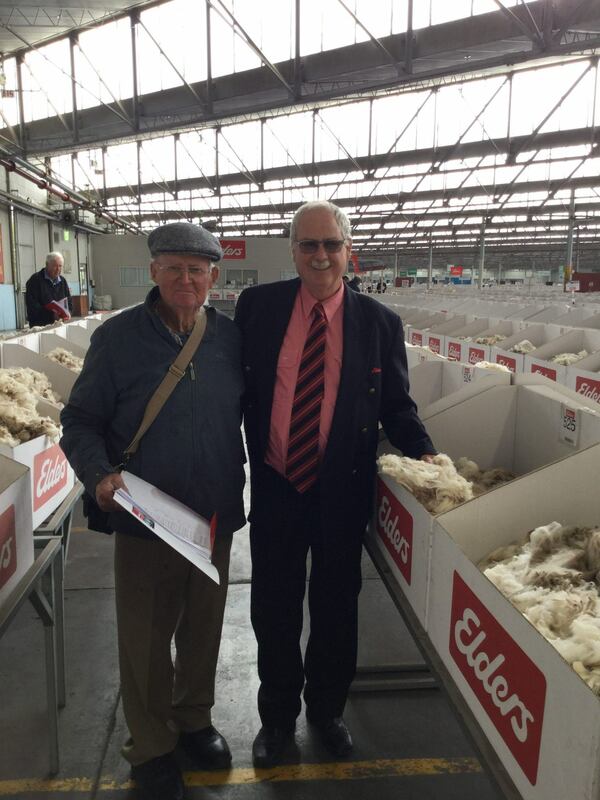 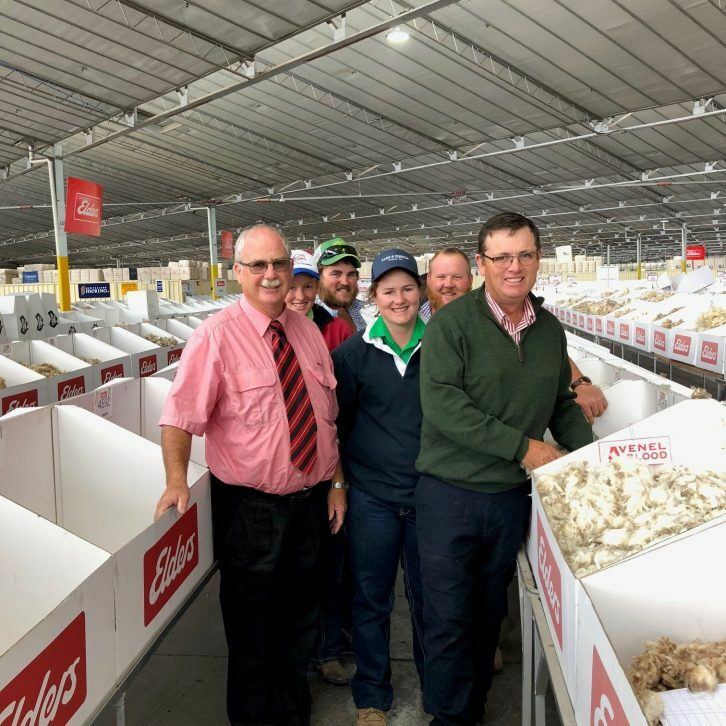 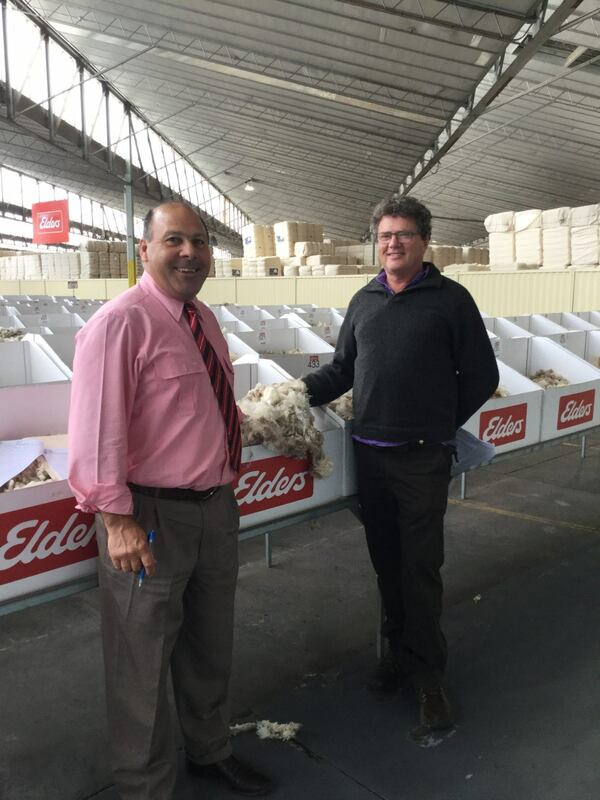 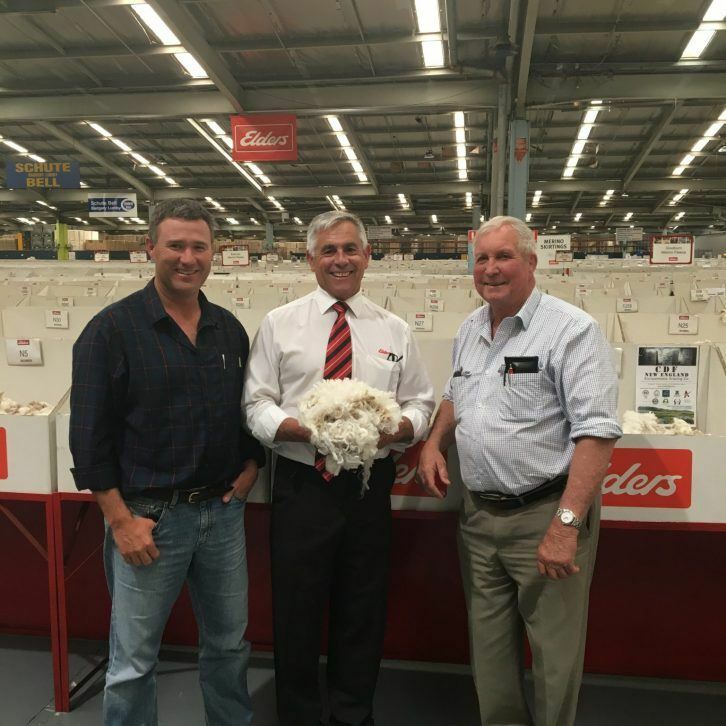 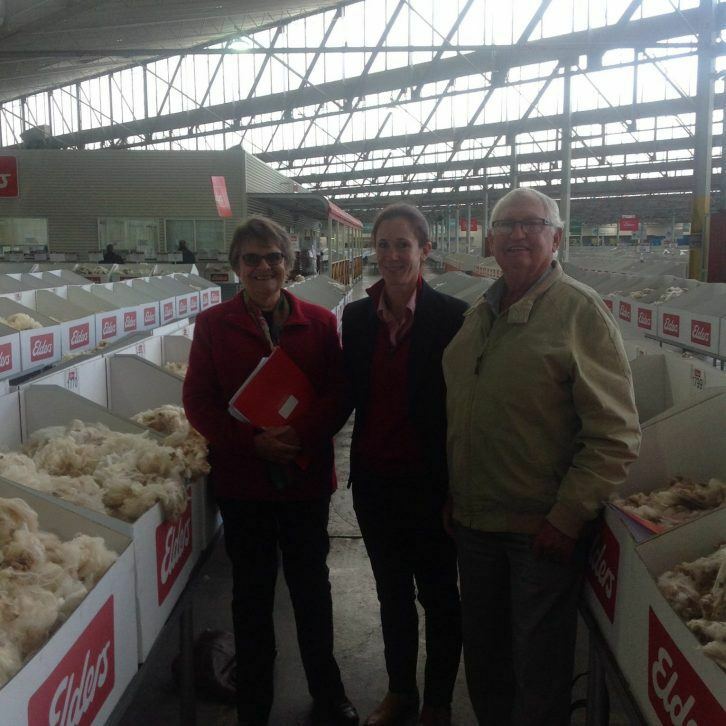 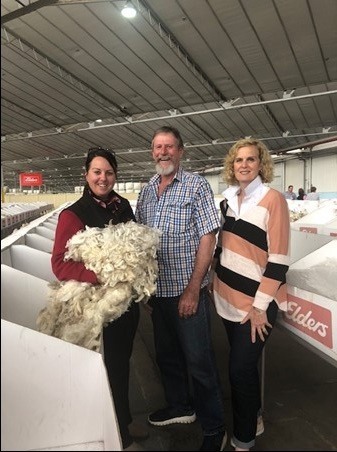 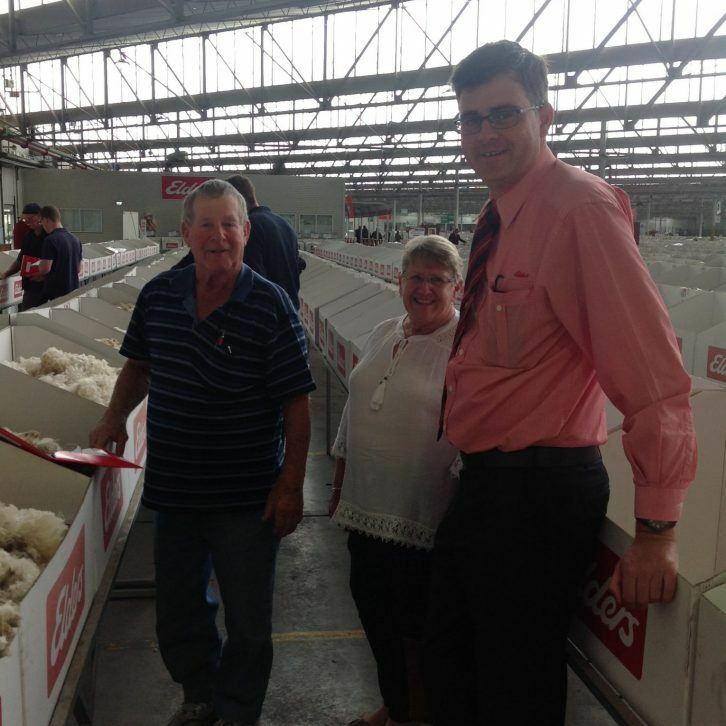 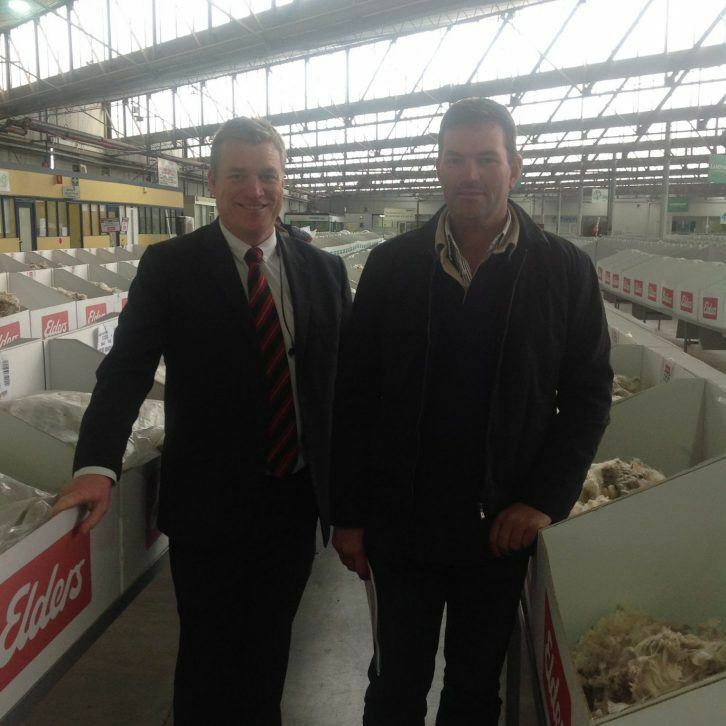 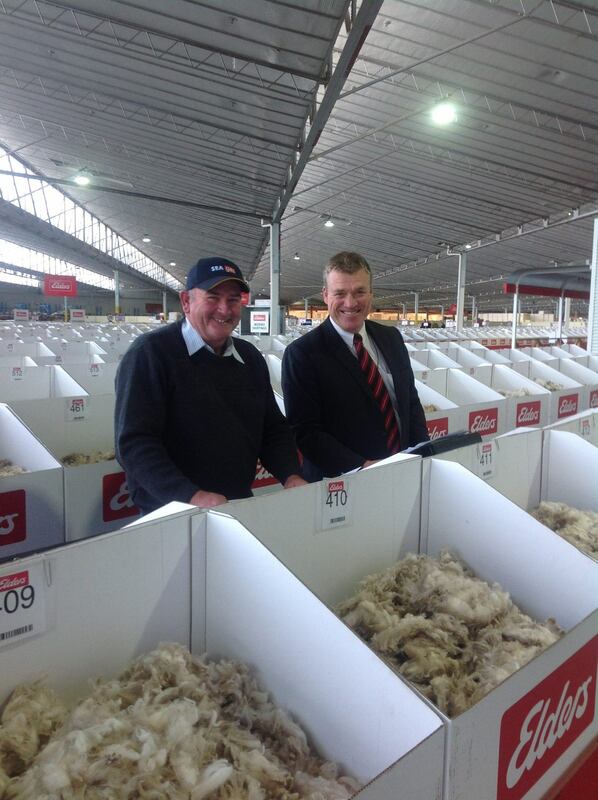 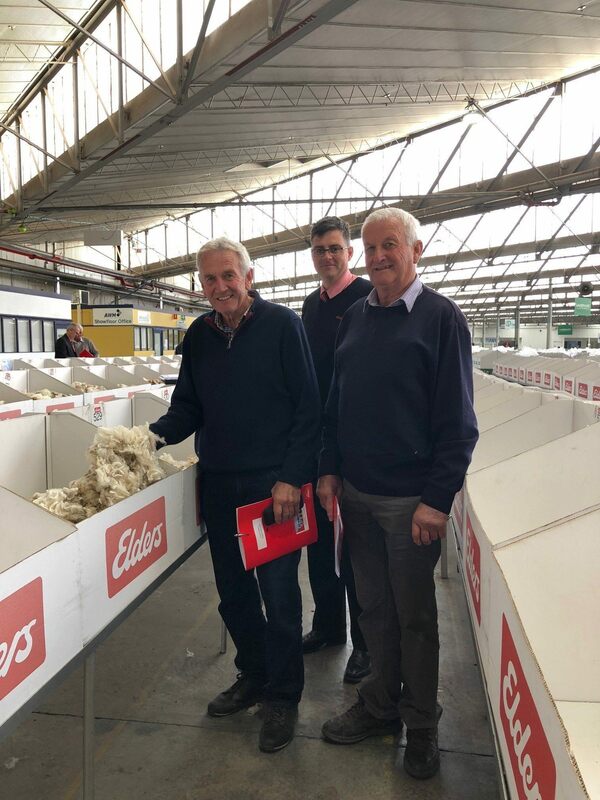 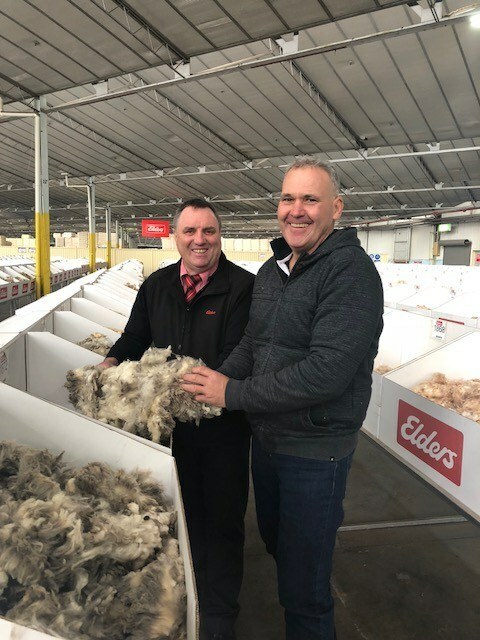 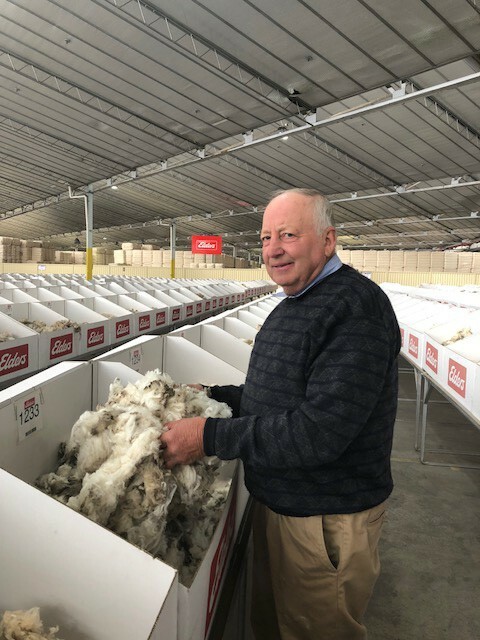 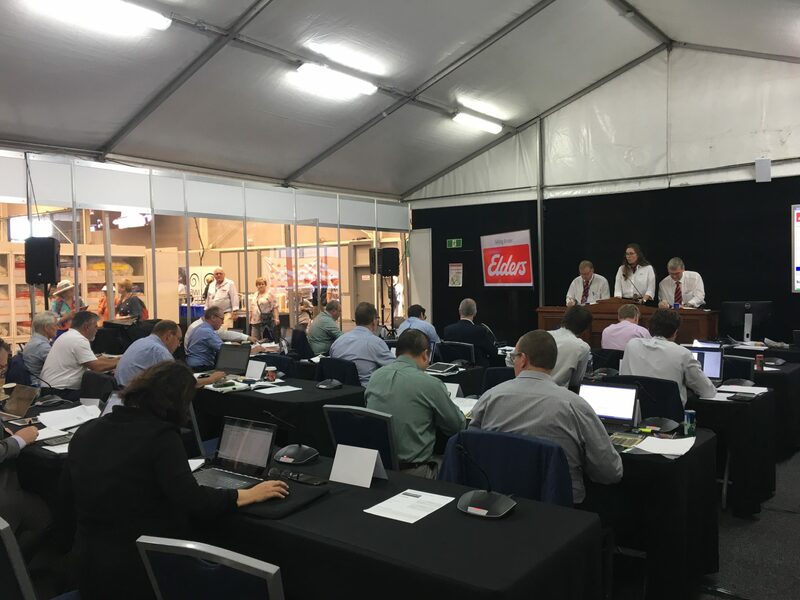 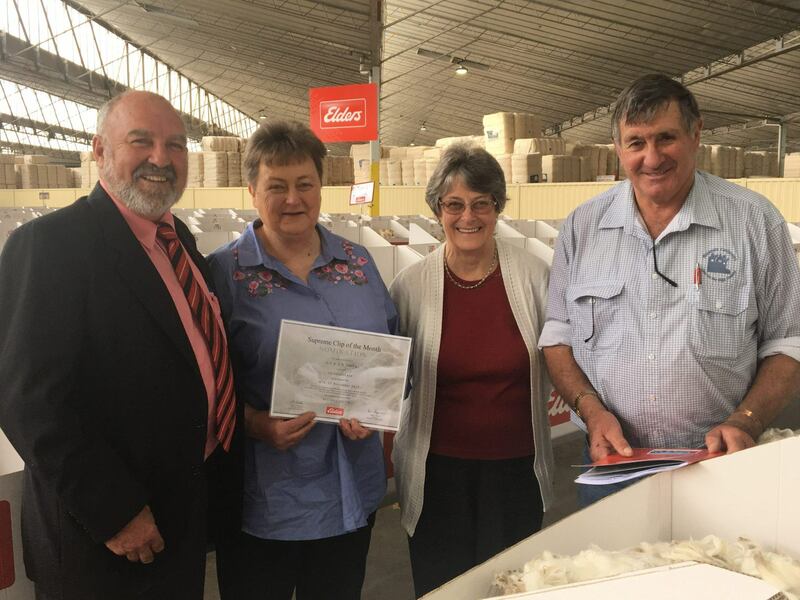 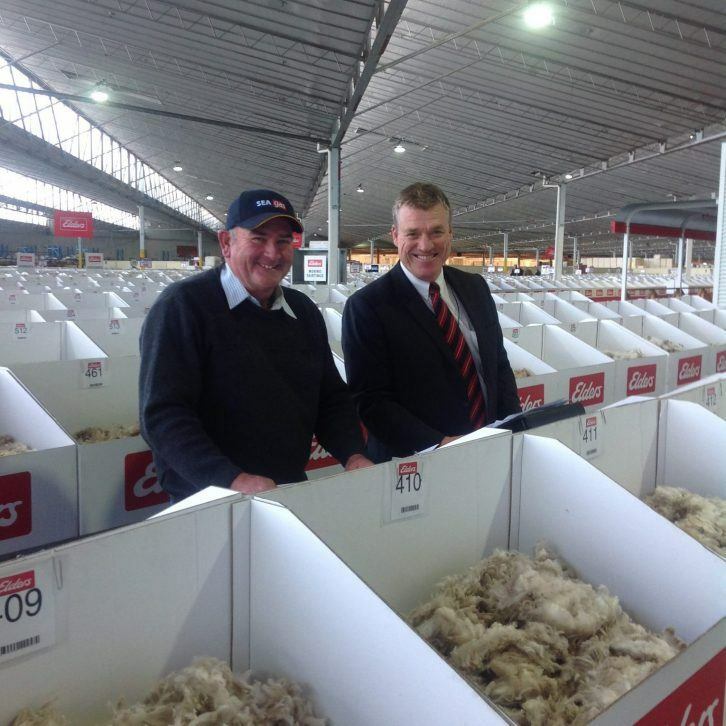 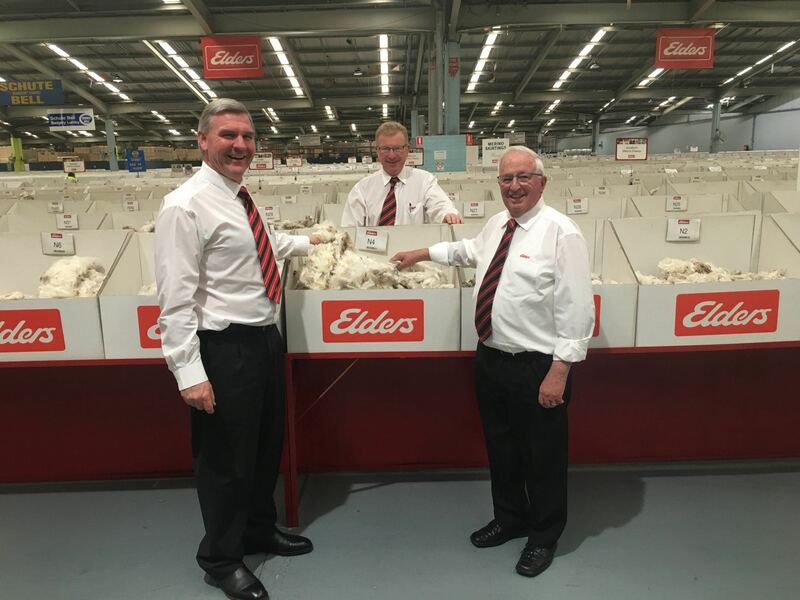 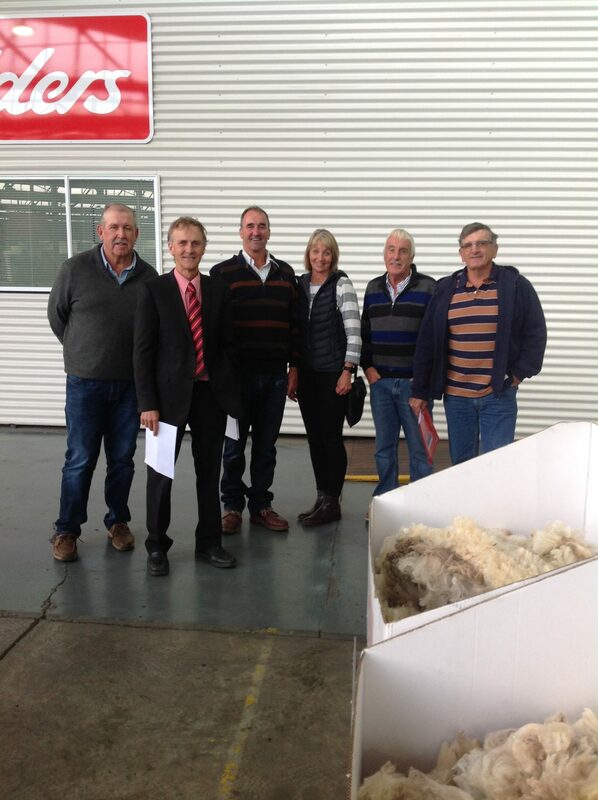 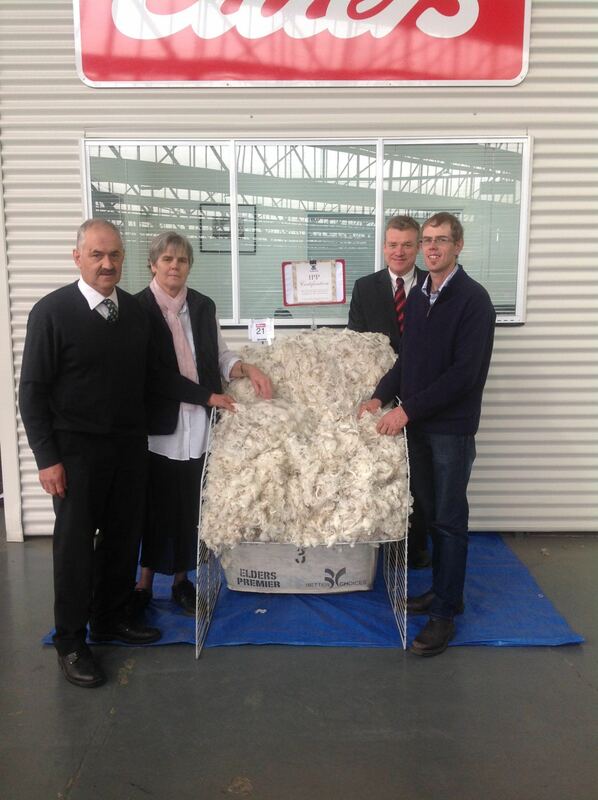 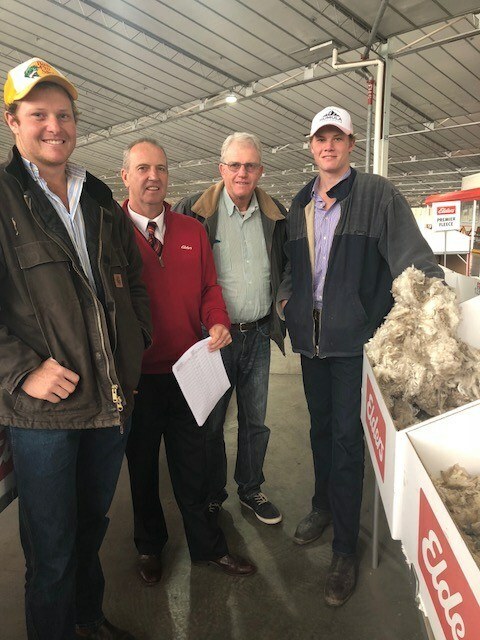 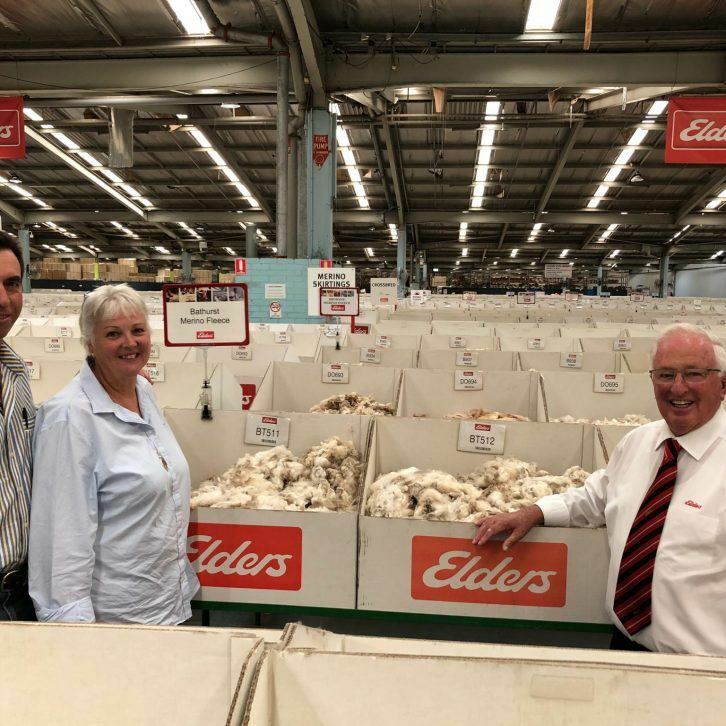 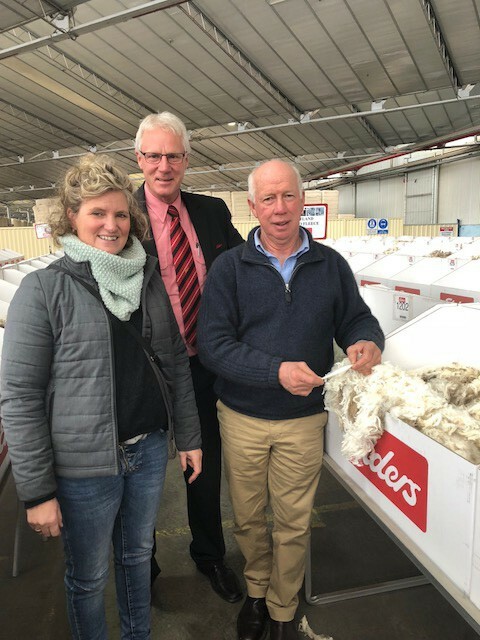 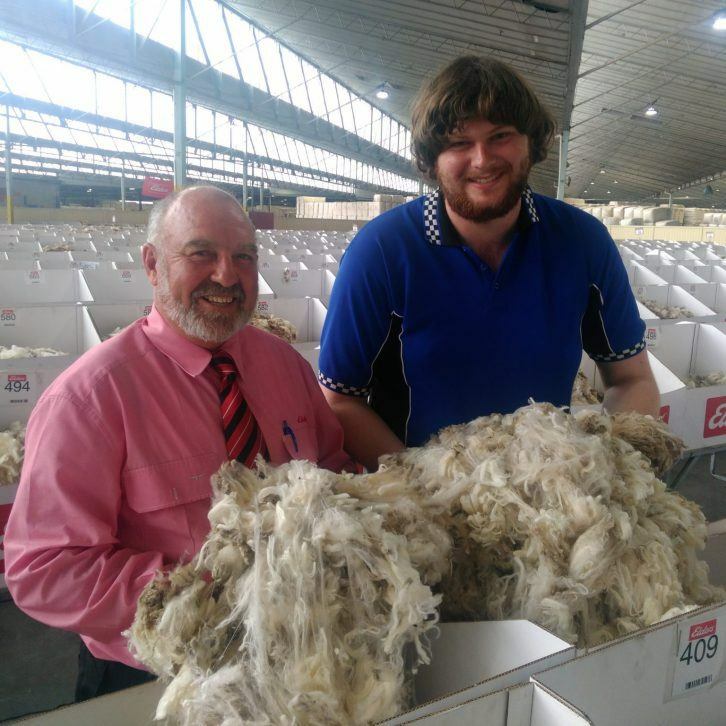 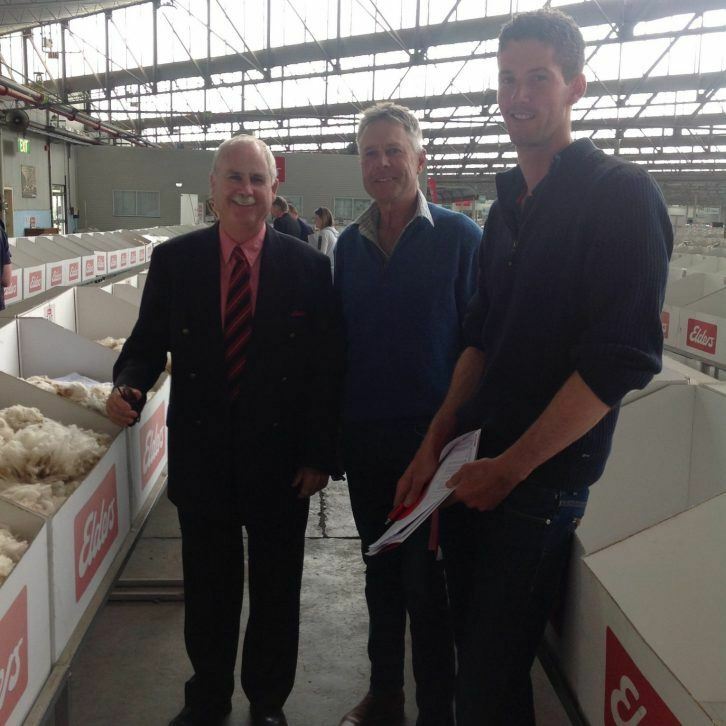 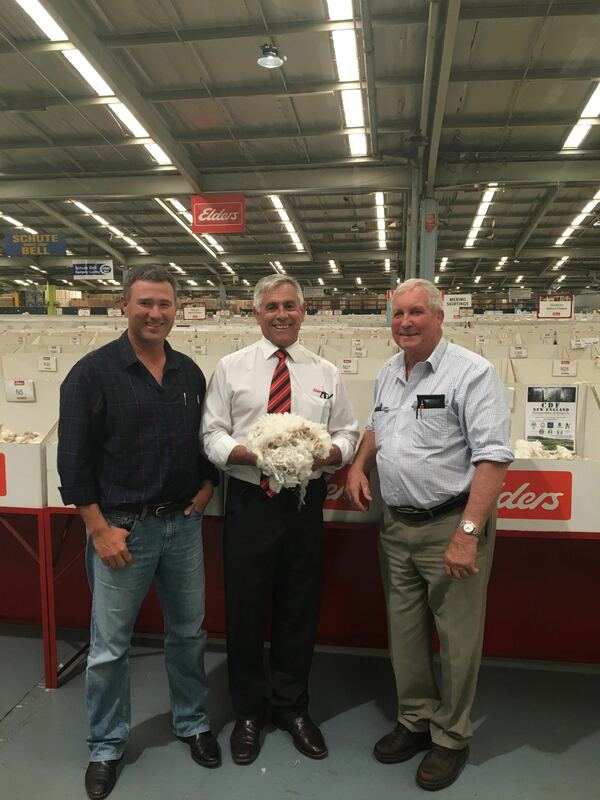 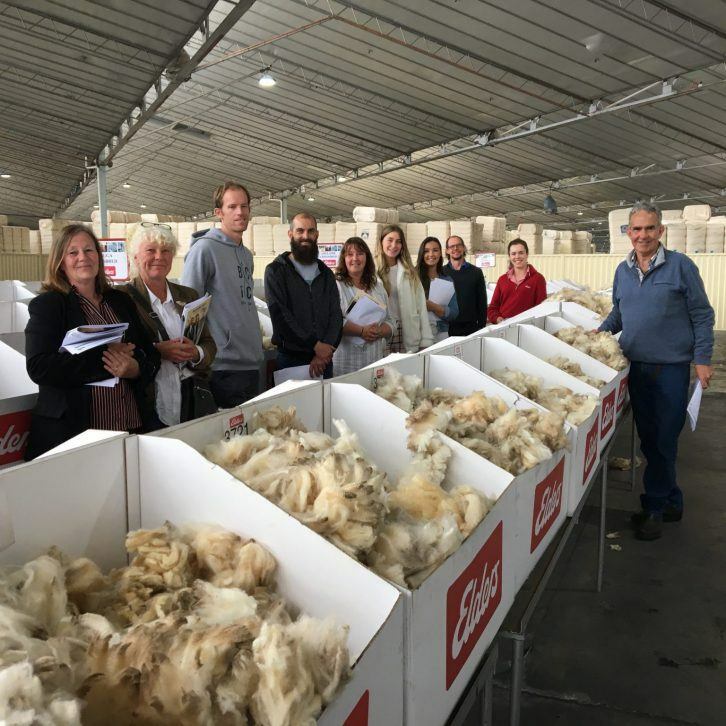 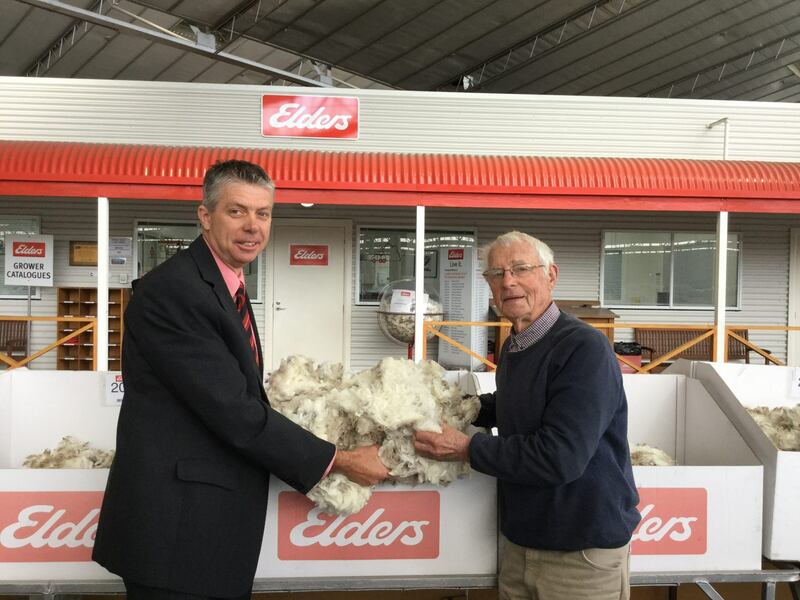 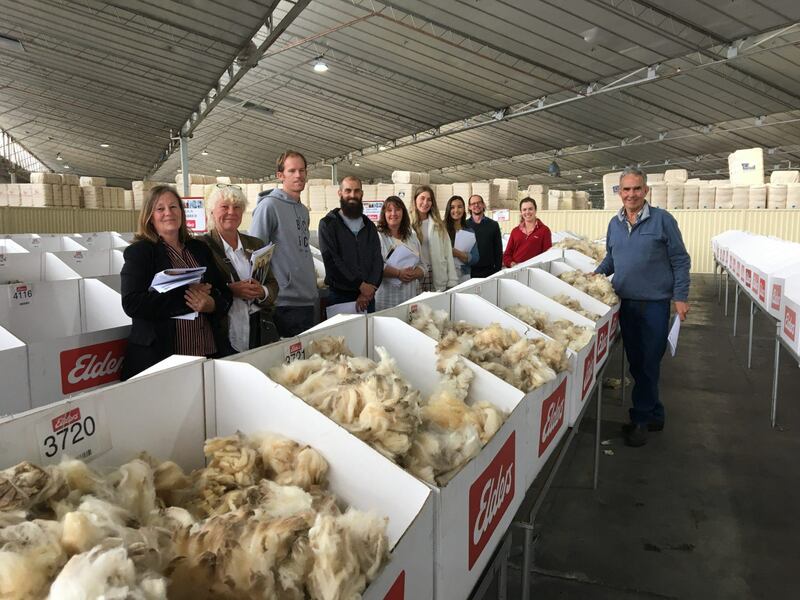 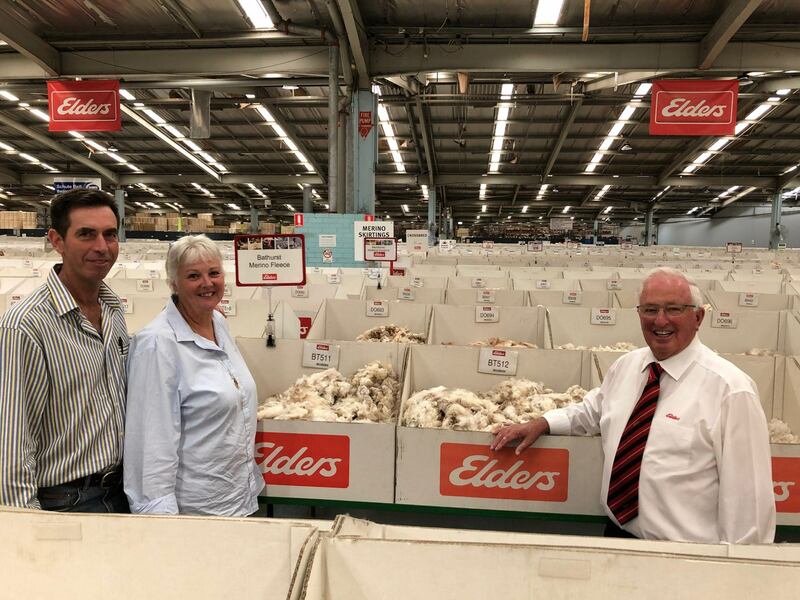 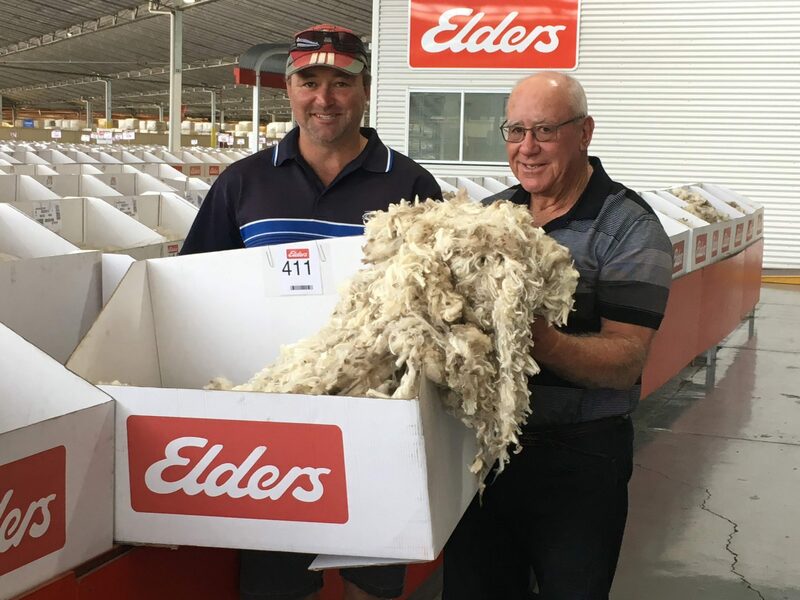 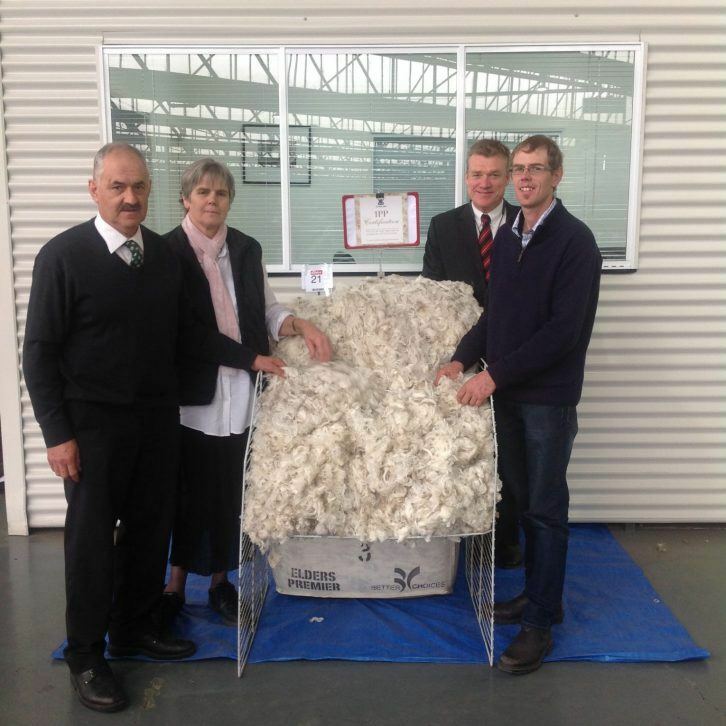 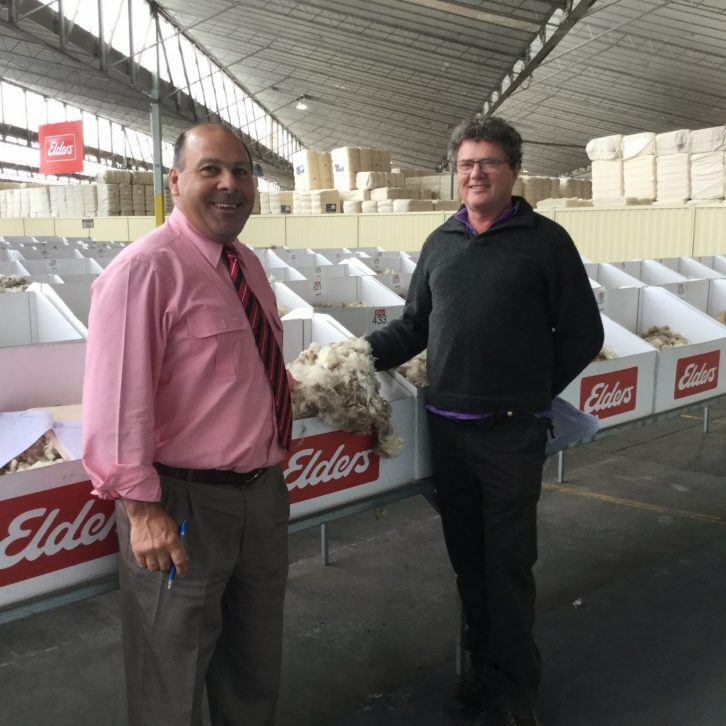 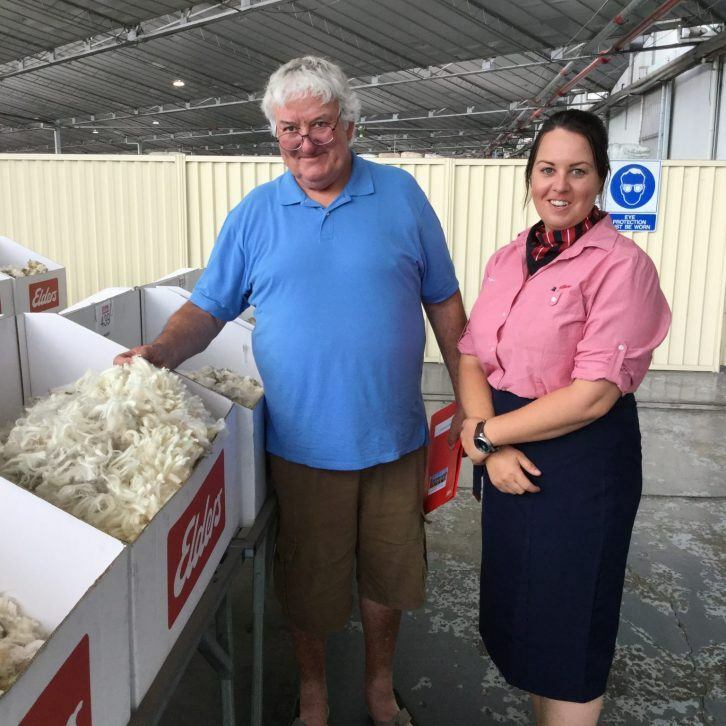 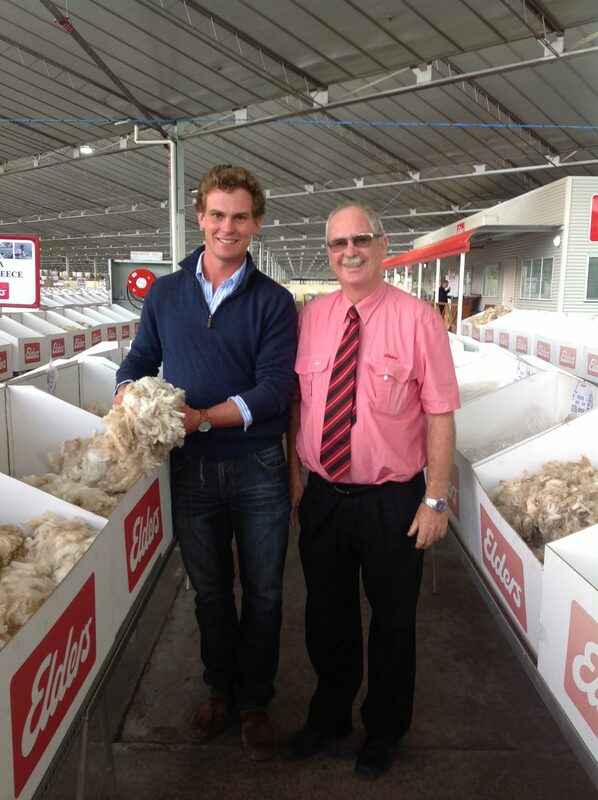 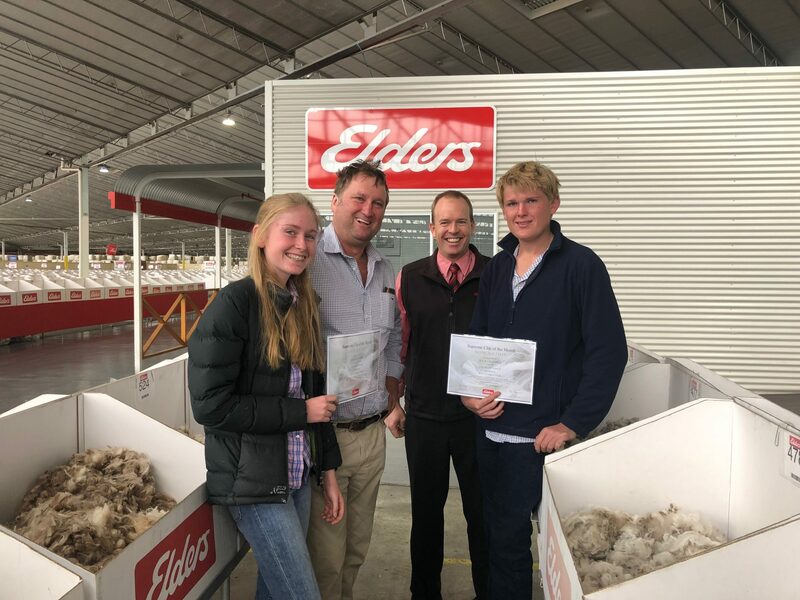 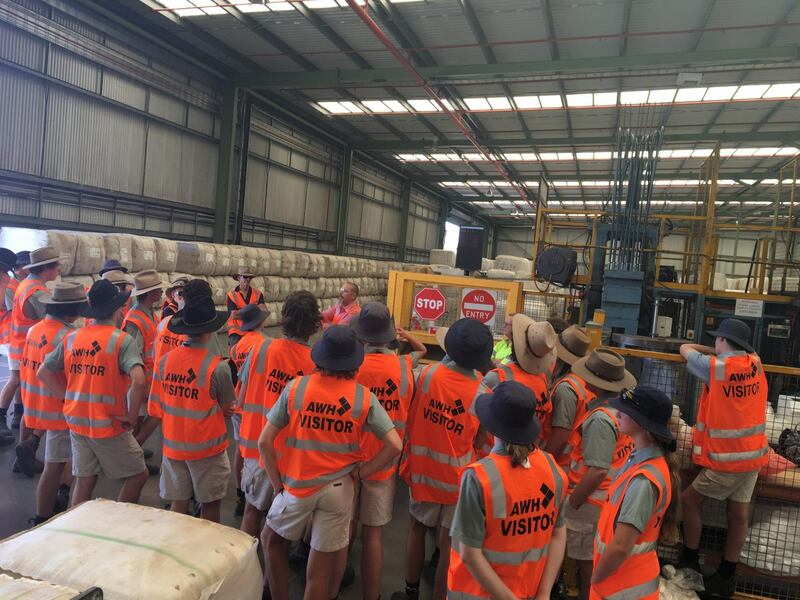 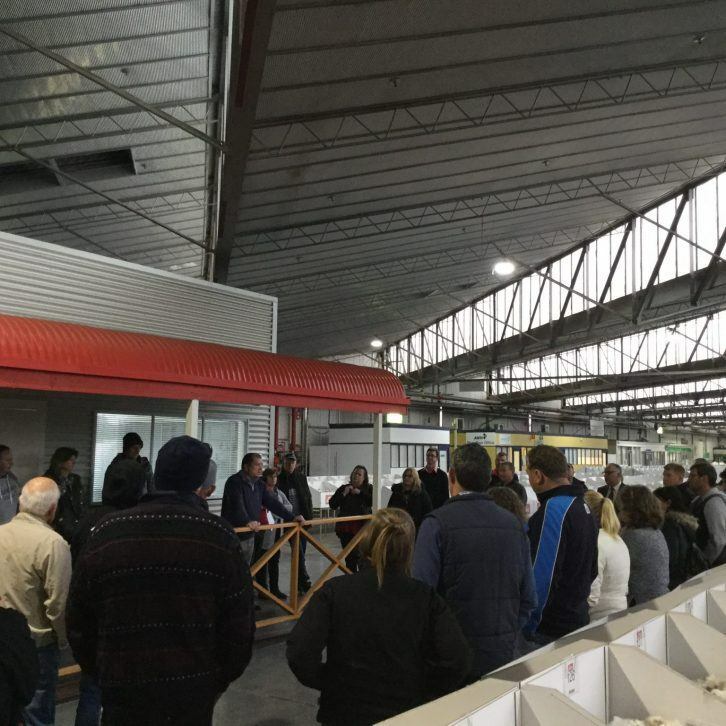 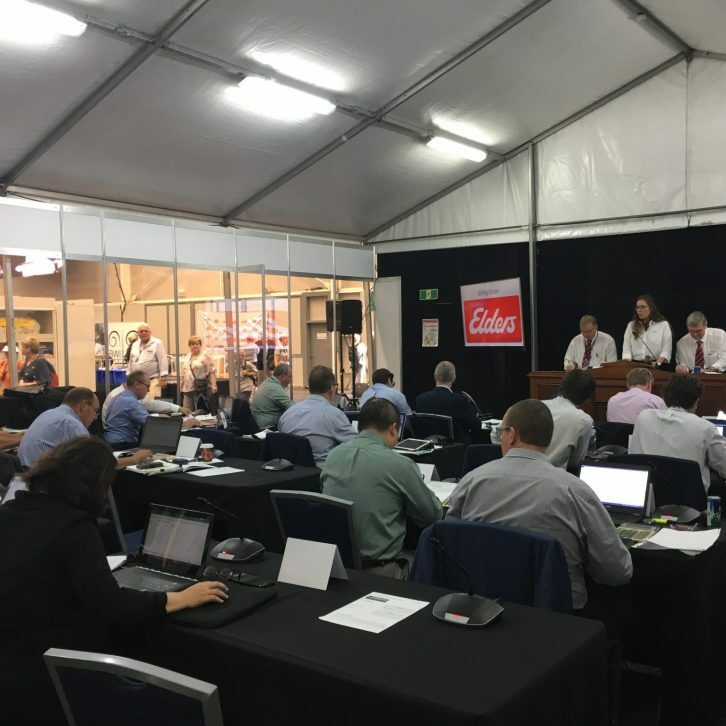 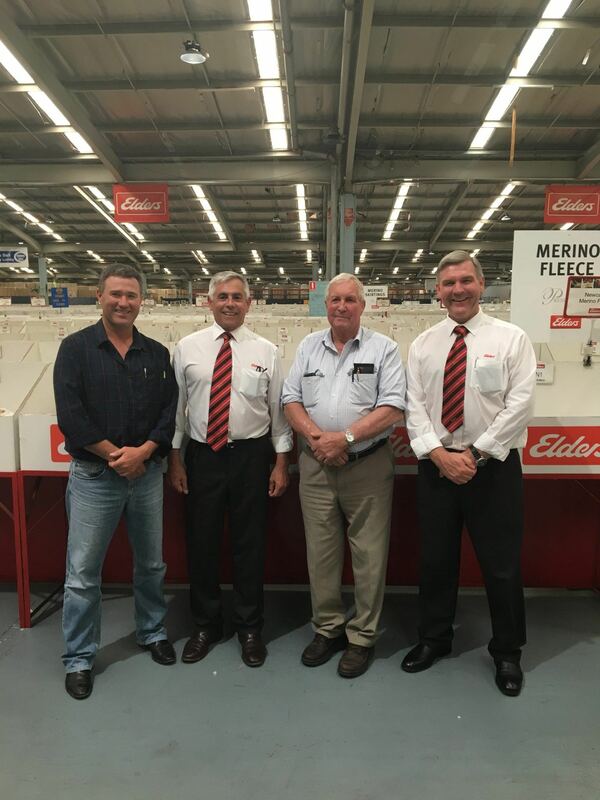 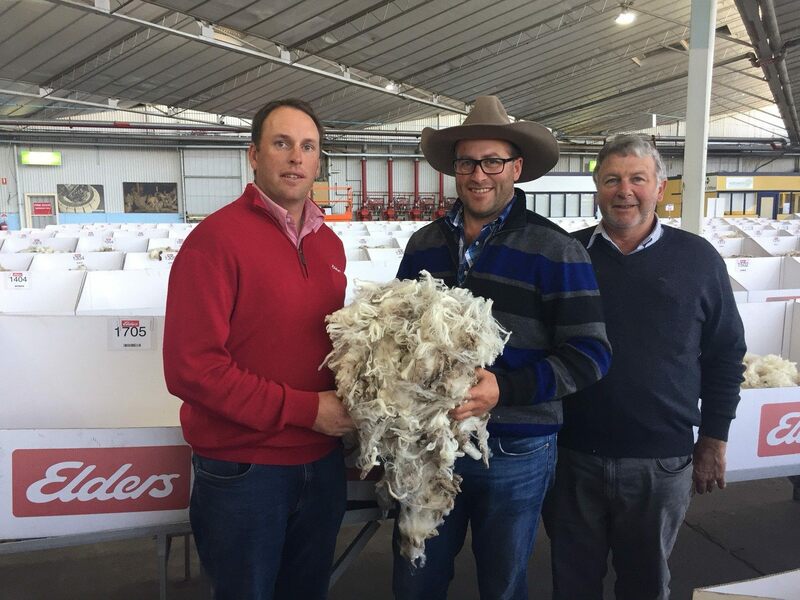 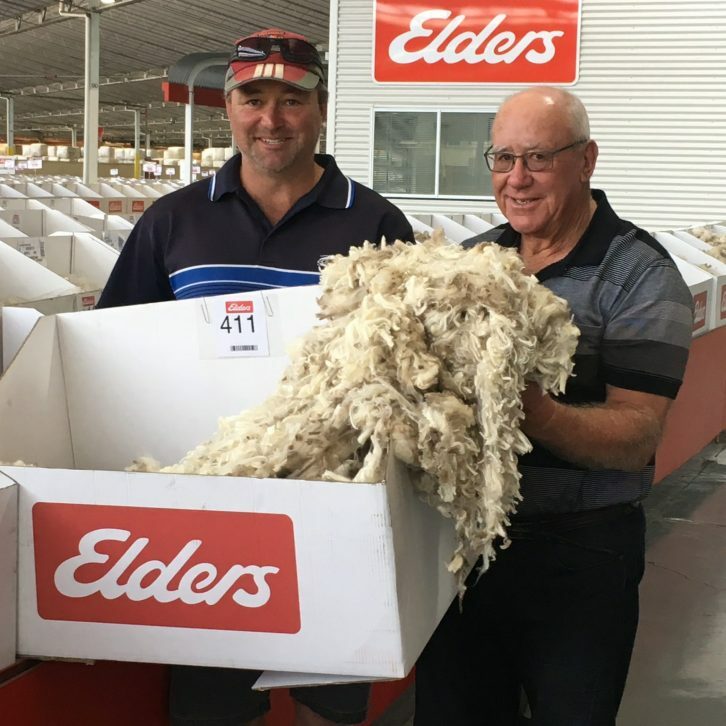 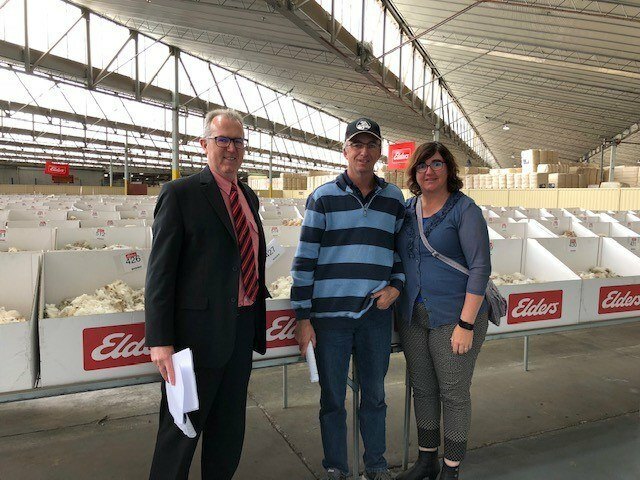 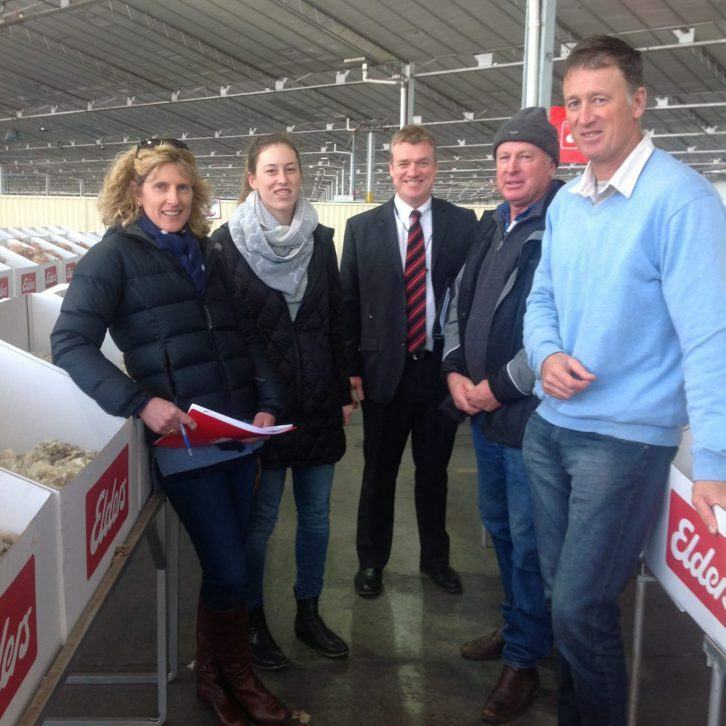 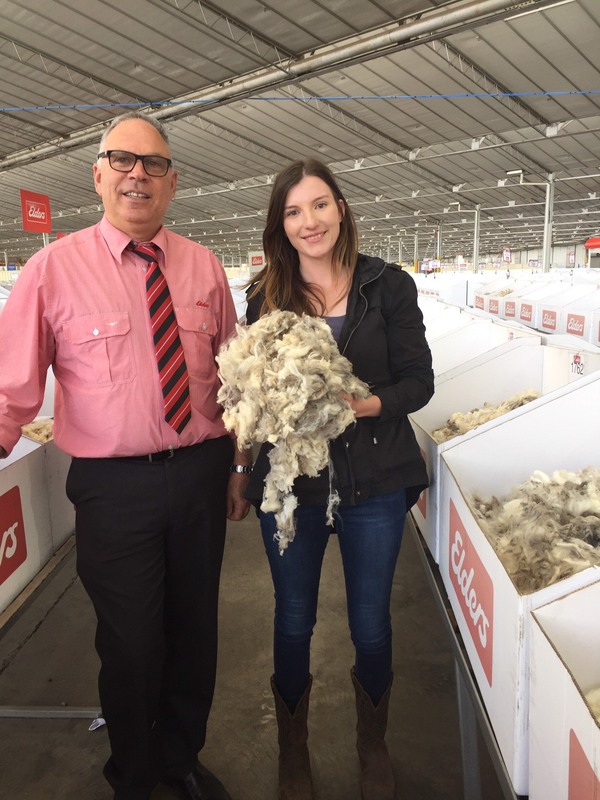 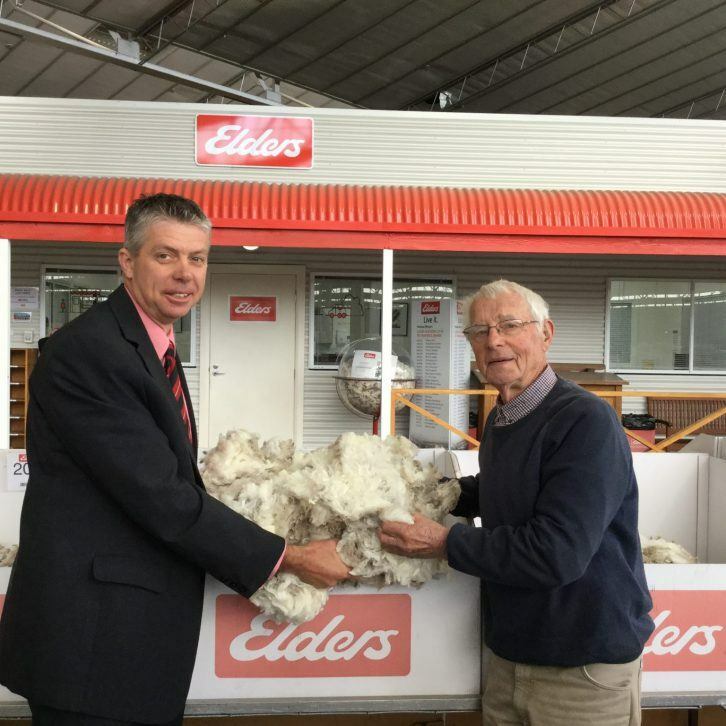 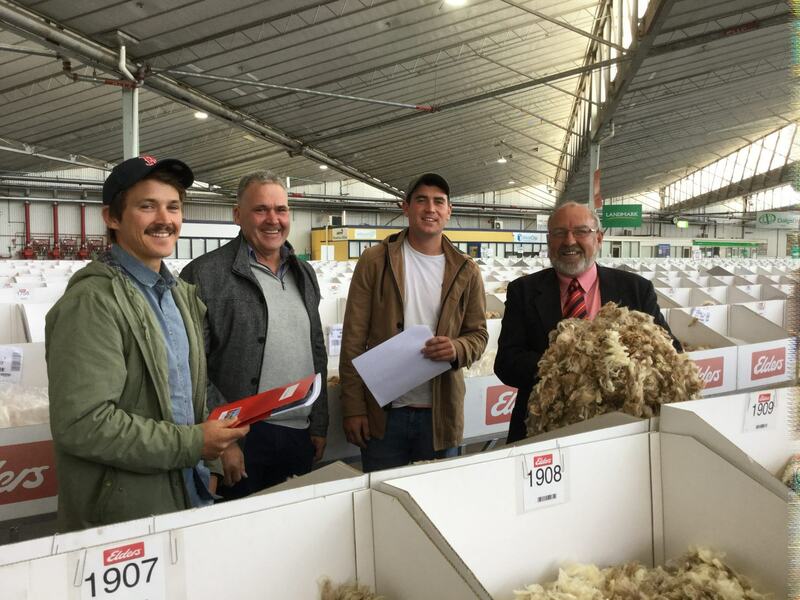 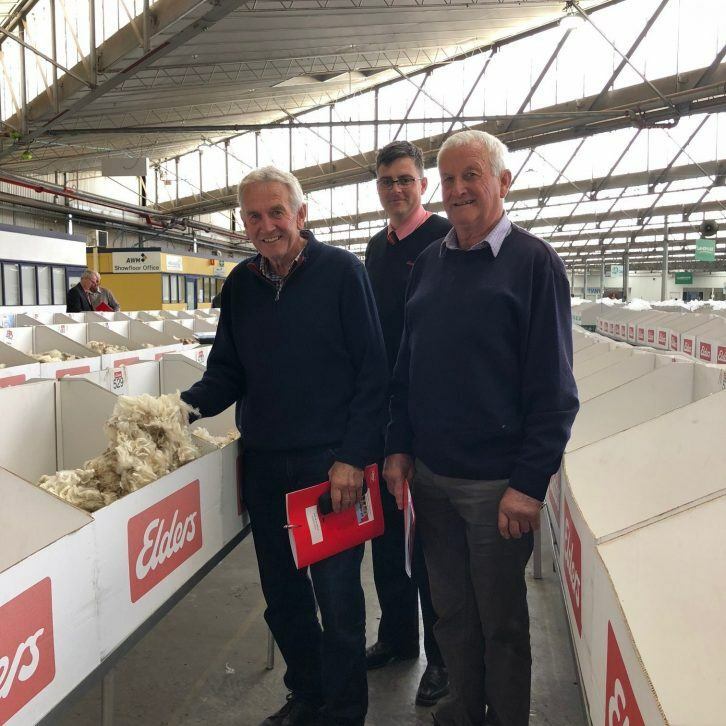 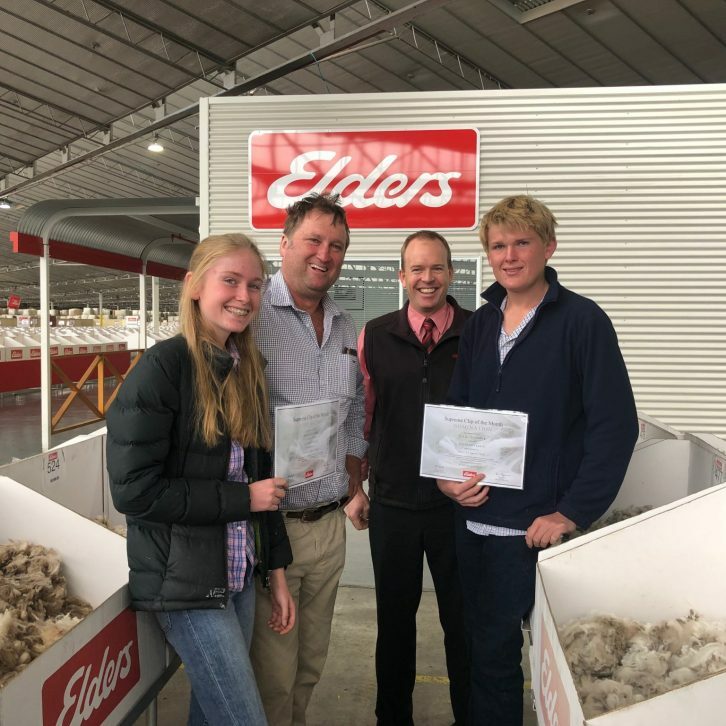 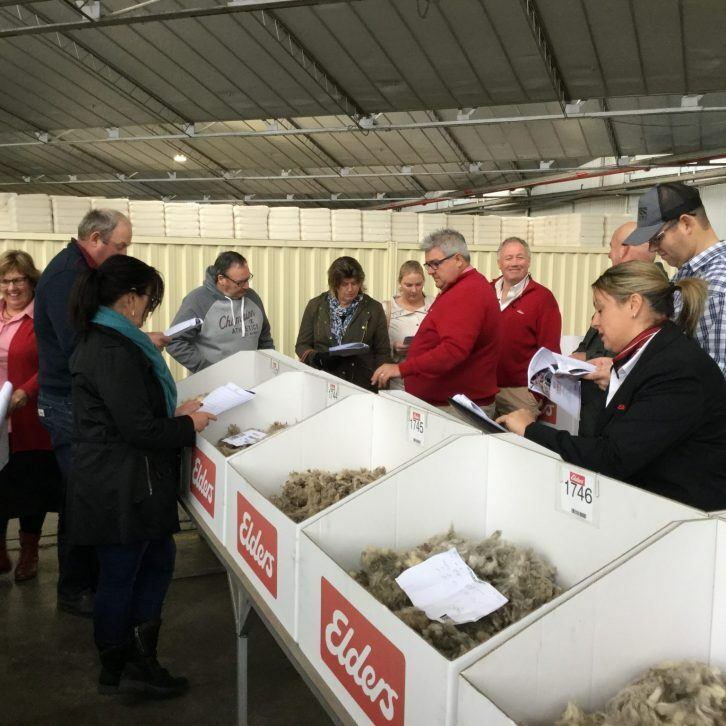 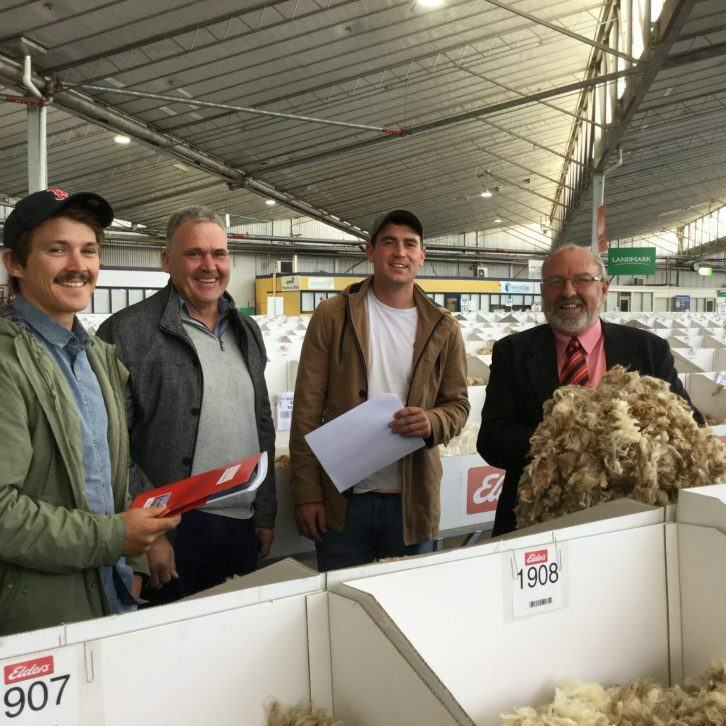 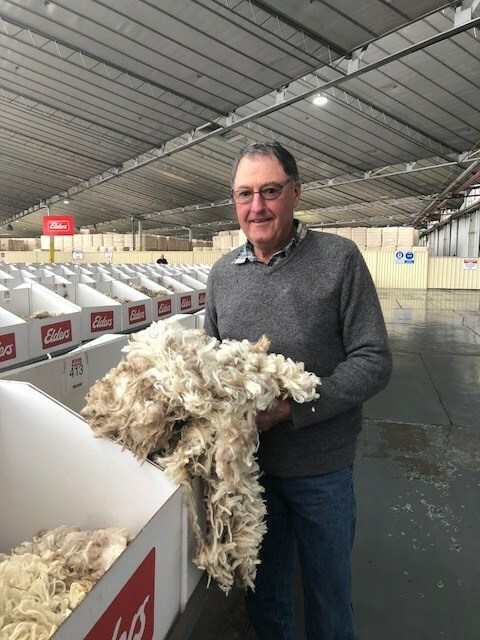 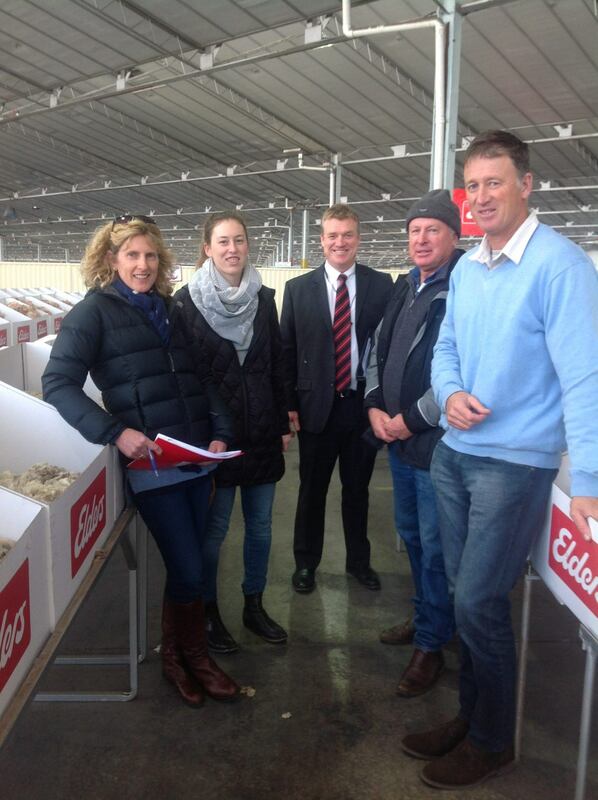 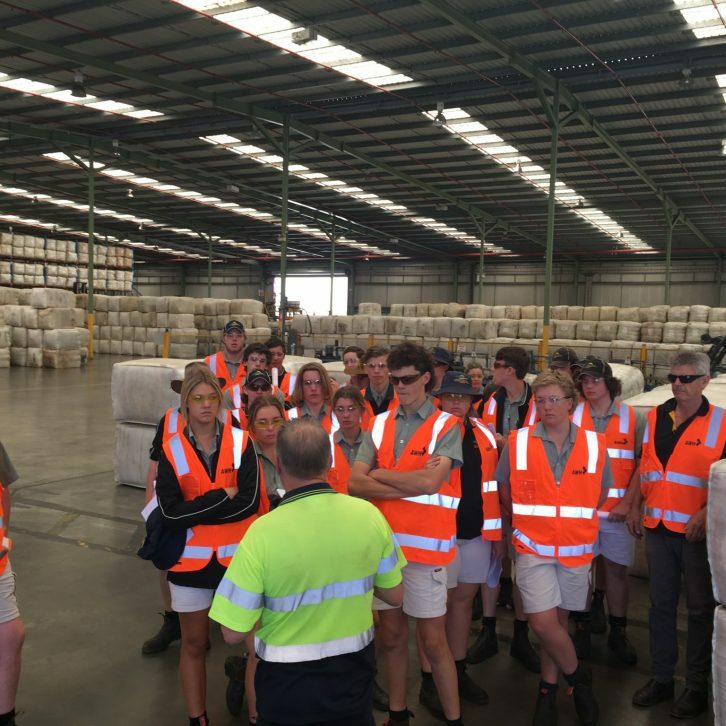 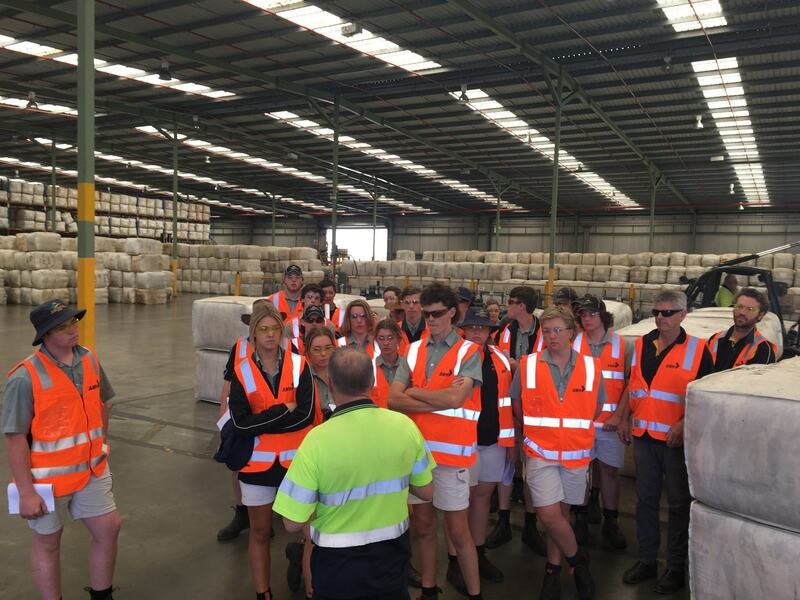 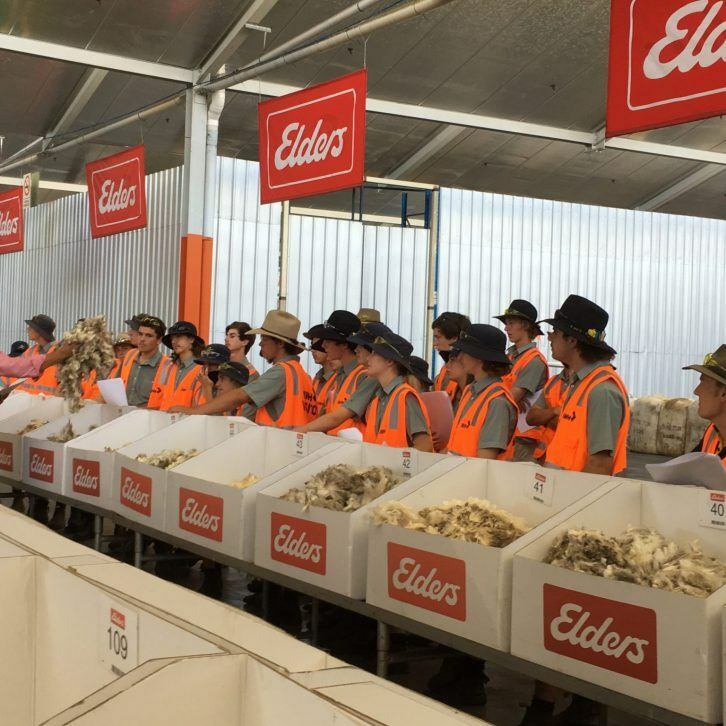 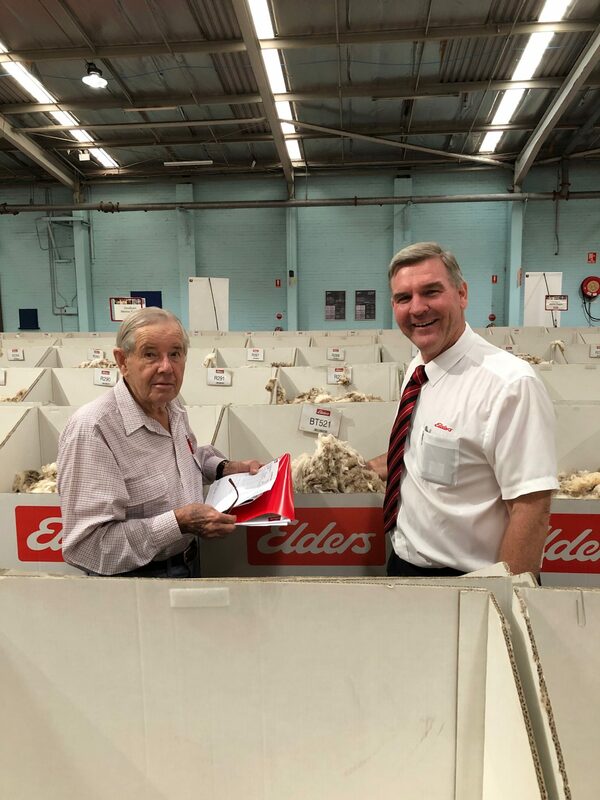 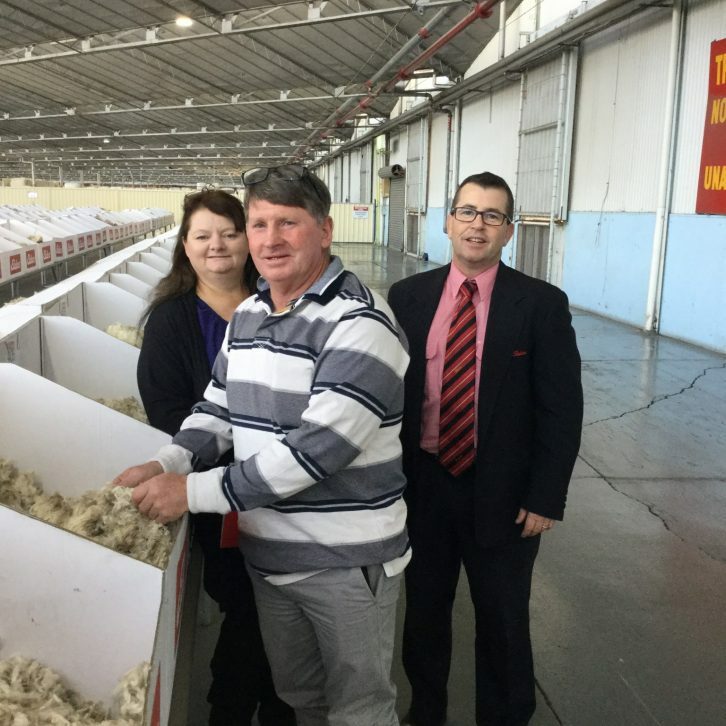 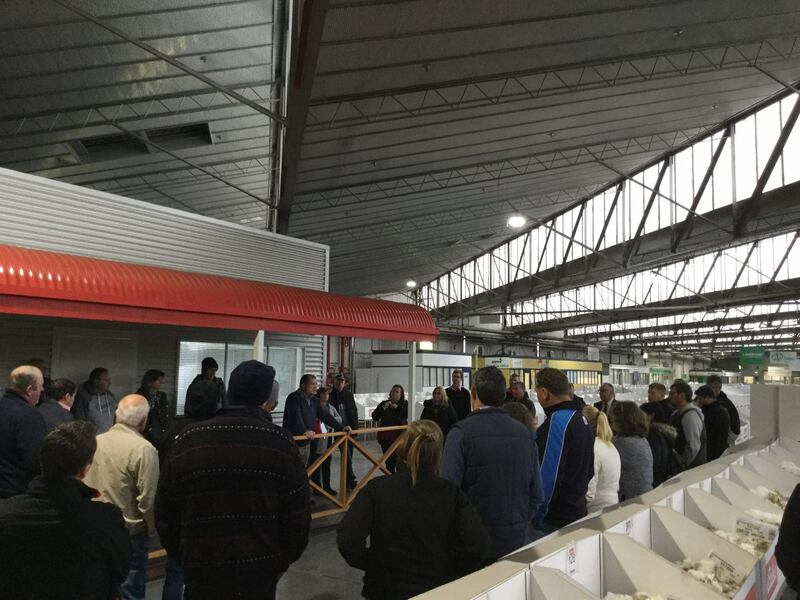 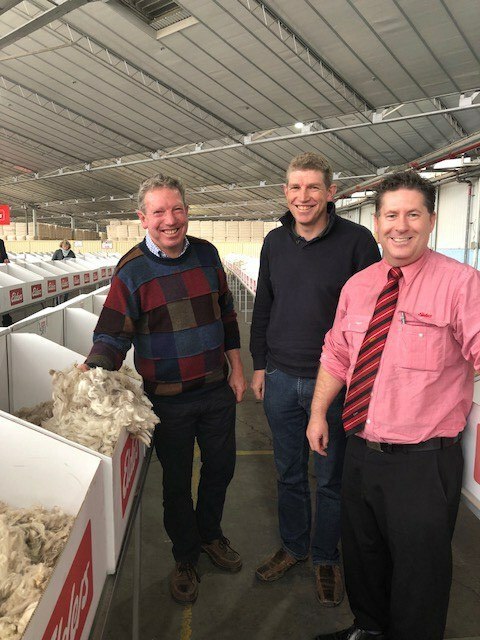 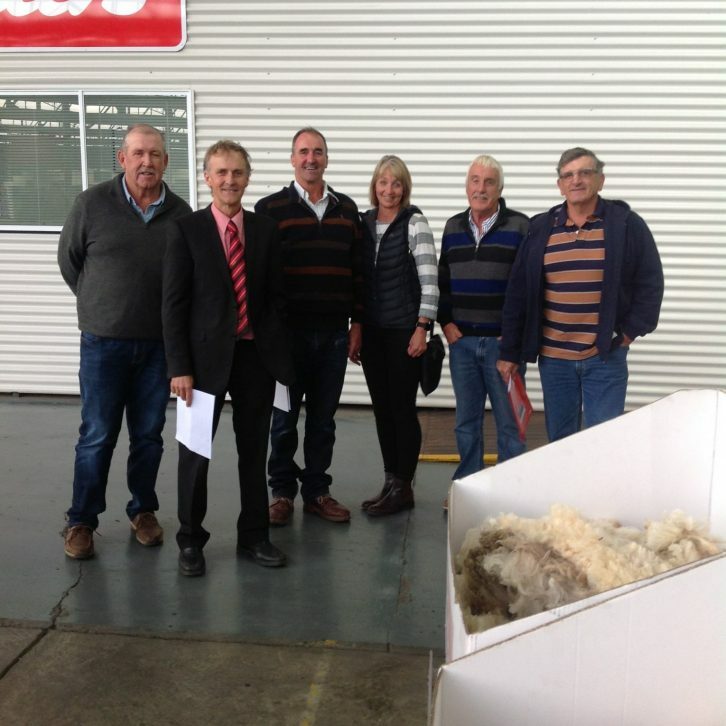 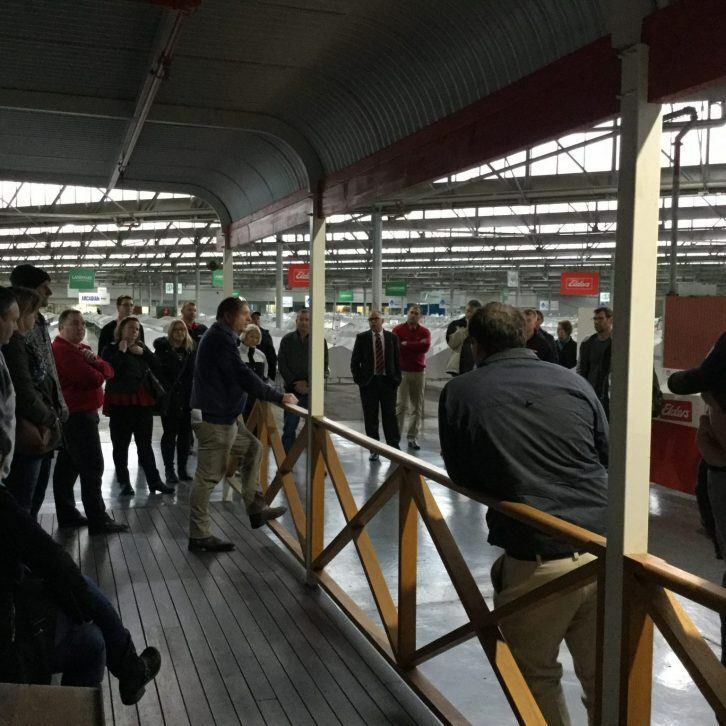 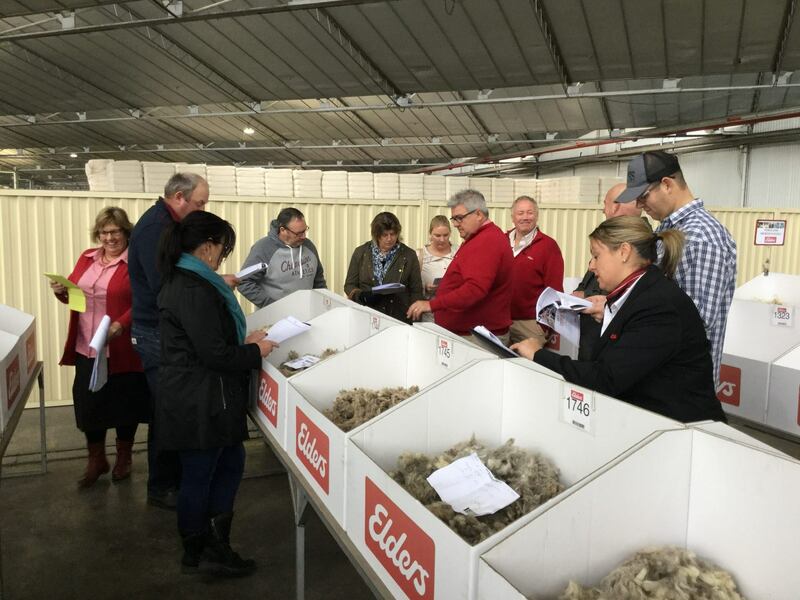 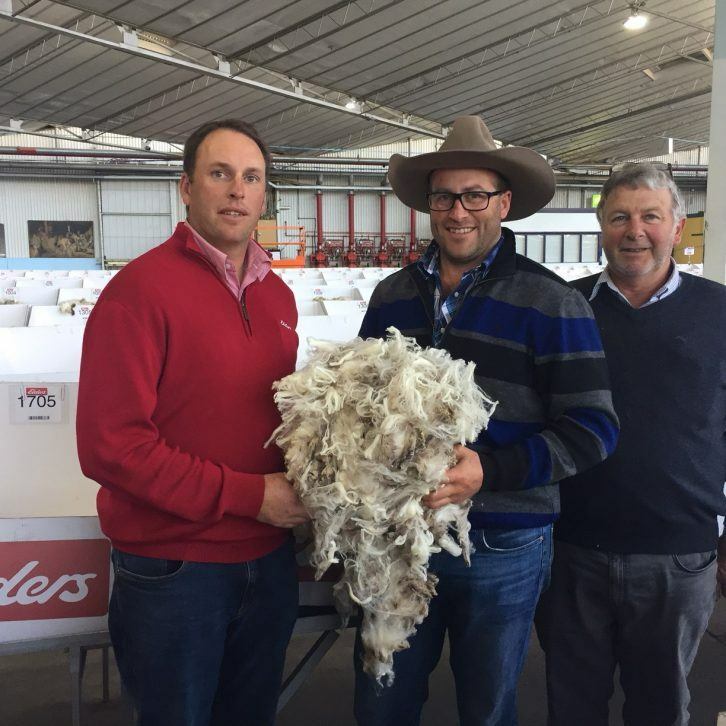 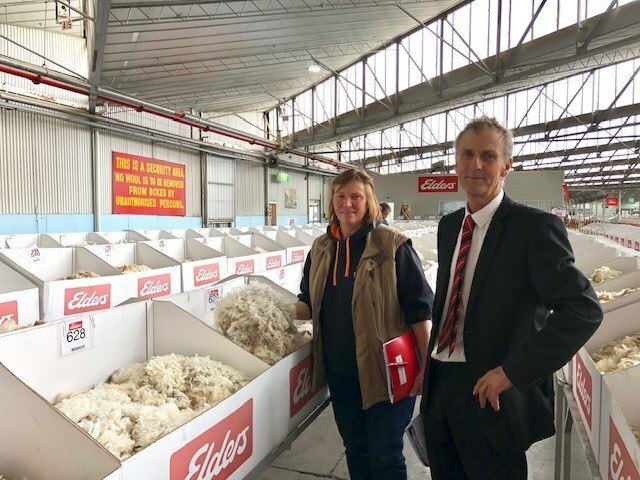 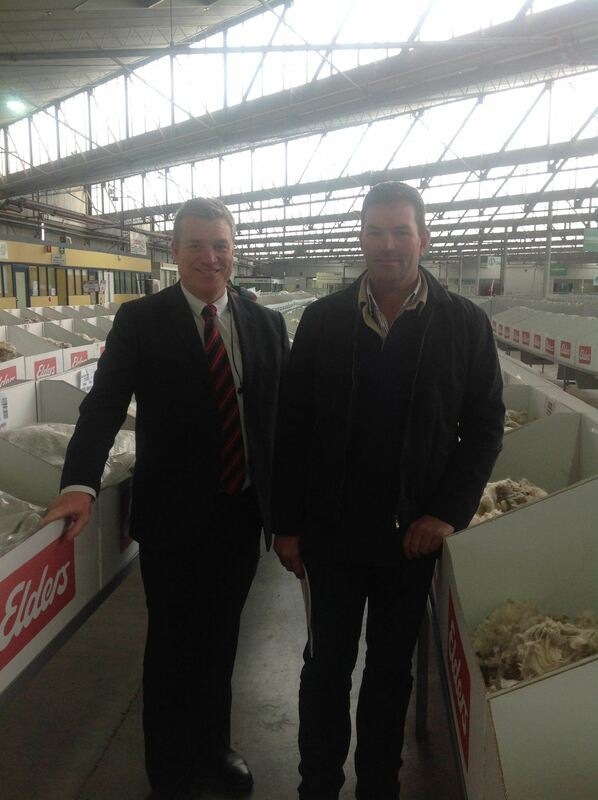 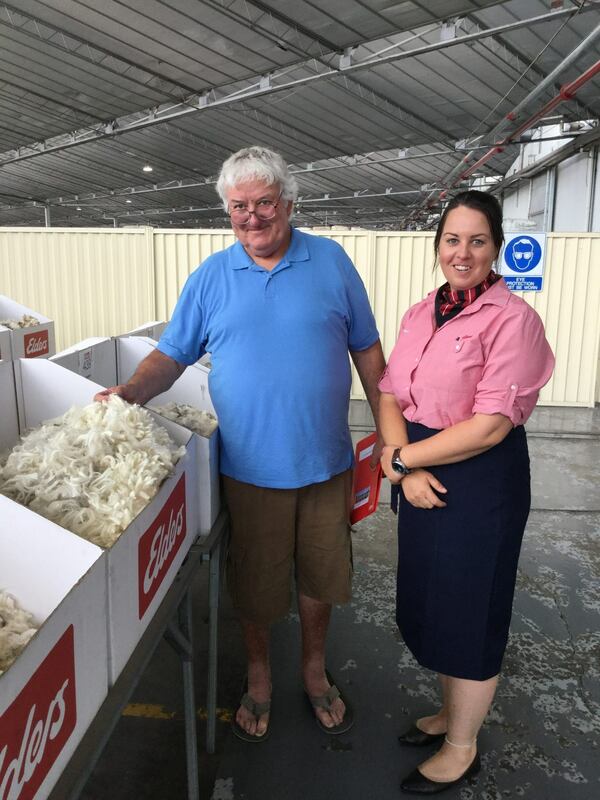 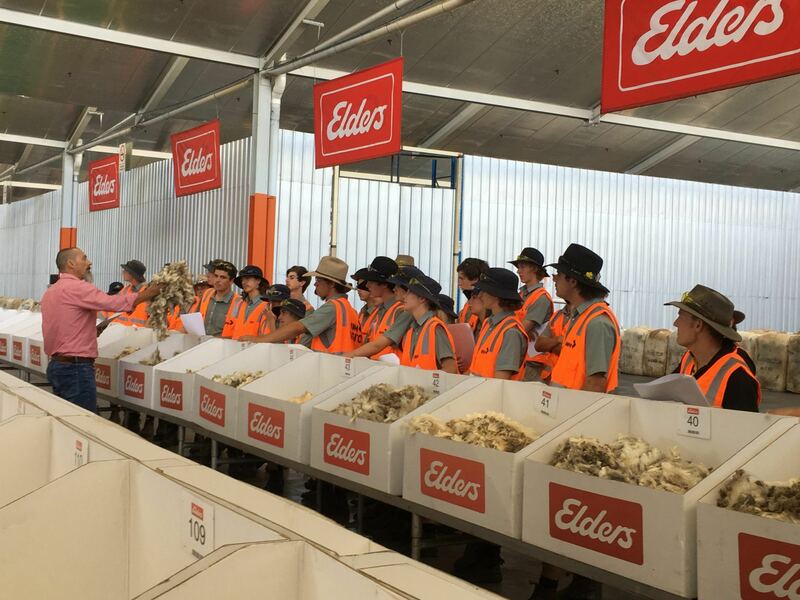 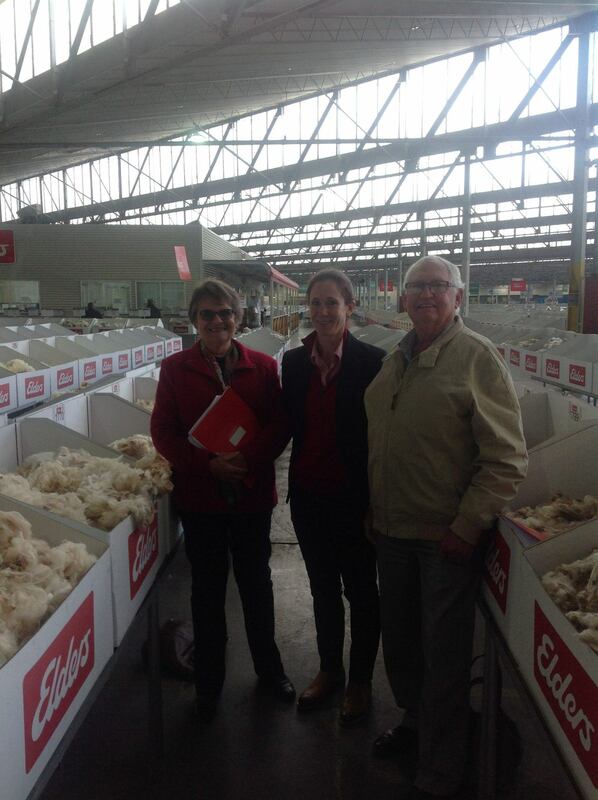 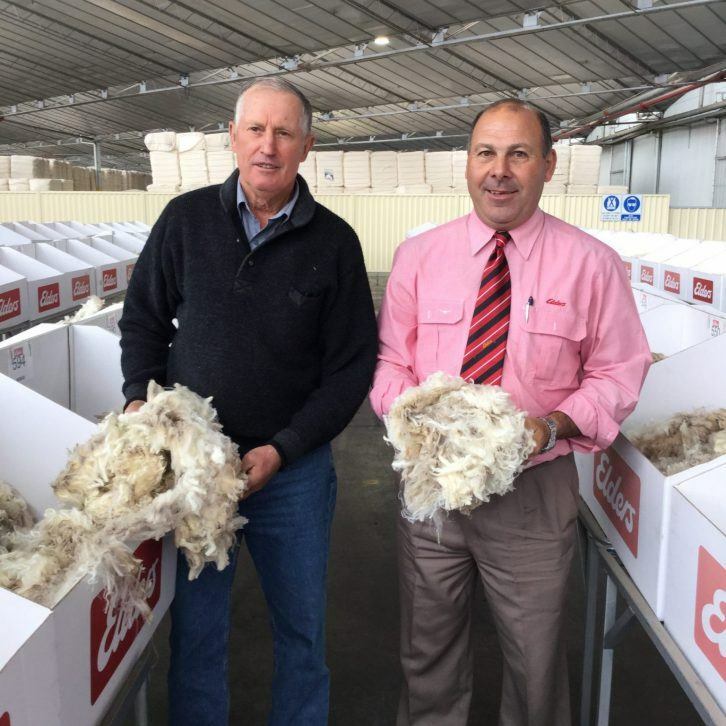 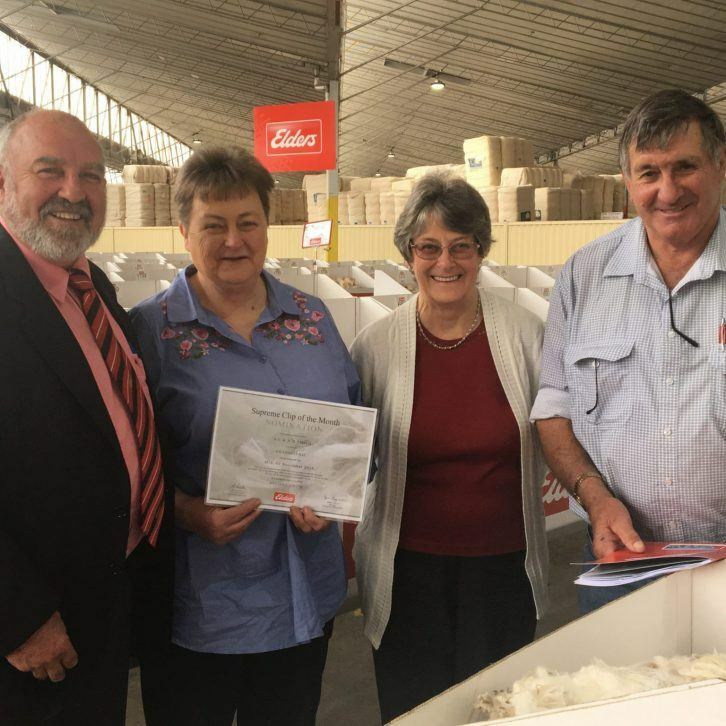 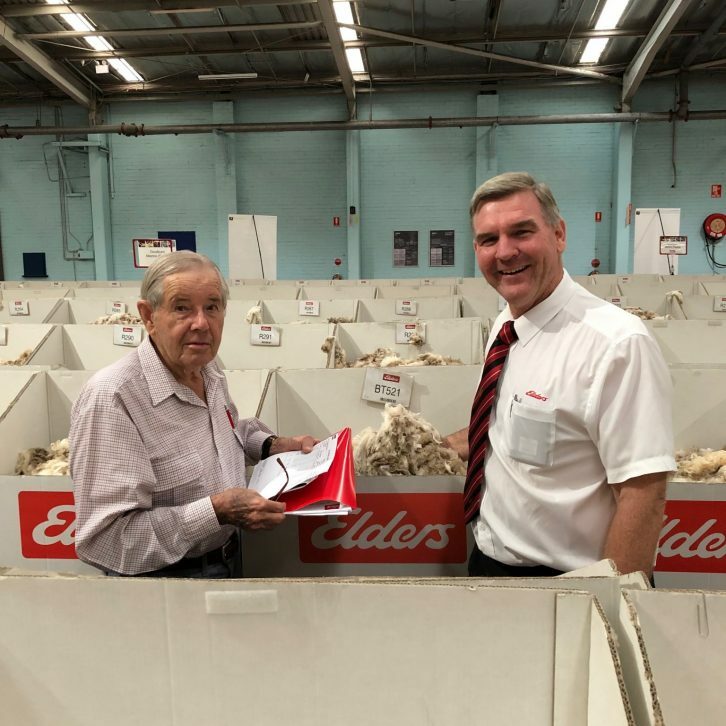 For more information about Elders Wool, contact the National Wool Selling Centre on 03 8325 7000.